Porsche's new turbocharged Carreras literally raise the bar. 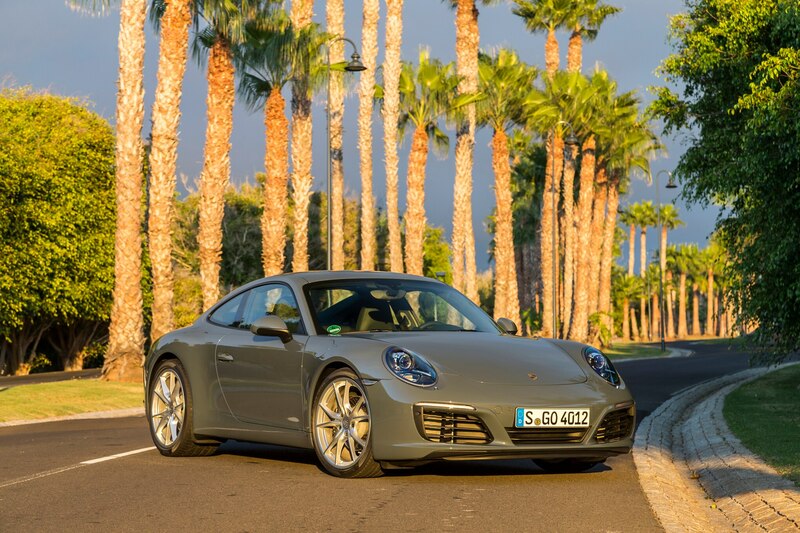 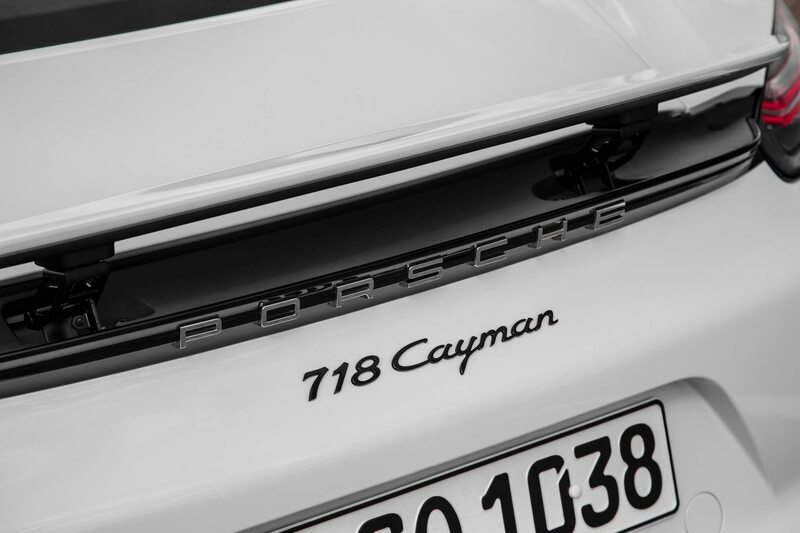 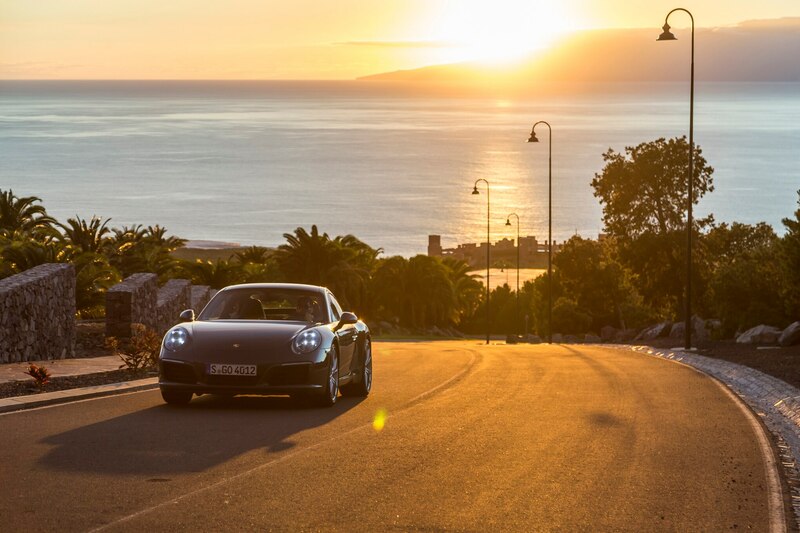 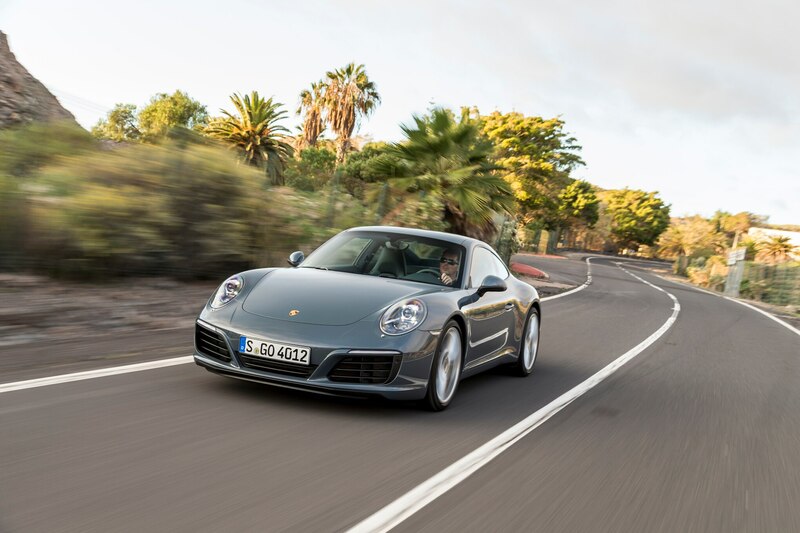 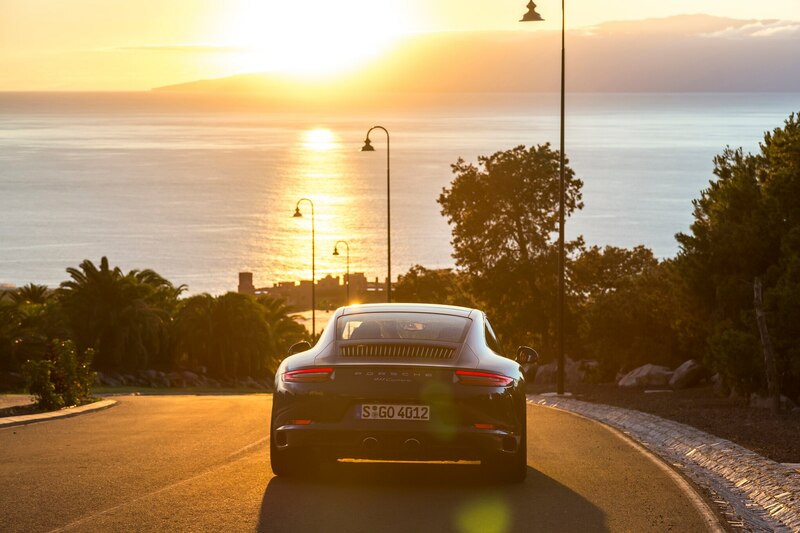 TENERIFE, Canary Islands – Here’s the shocking news regarding the substantially revised 2017 911: Porsche has blown it. 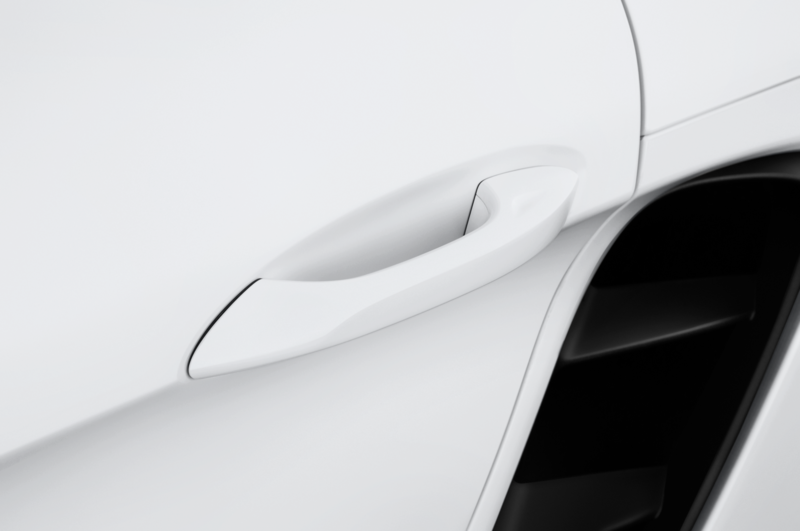 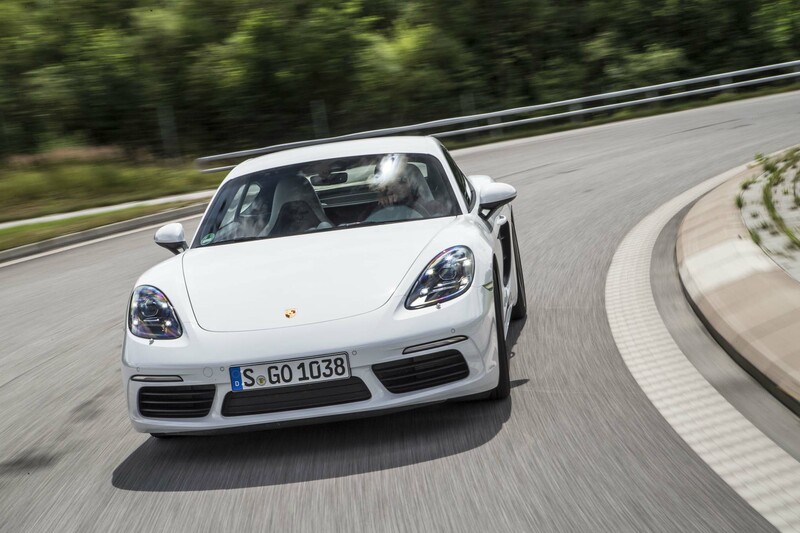 No need for fans of the Stuttgart marque to slash their wrists, though. 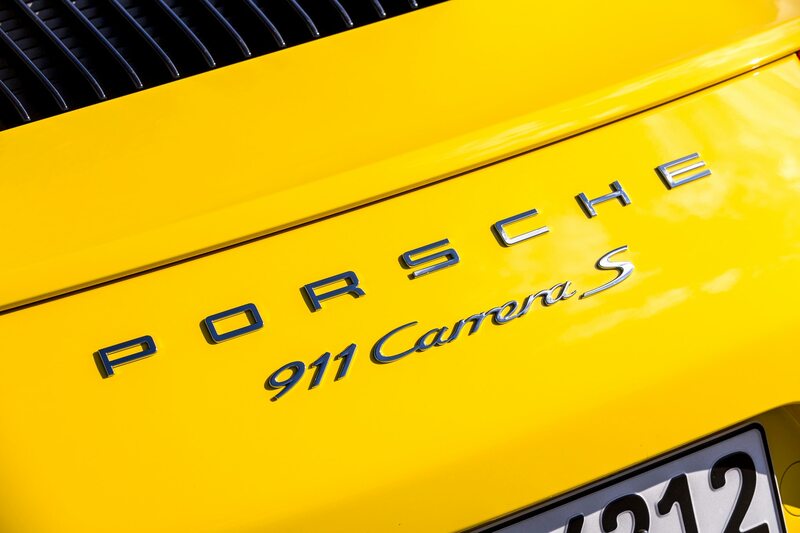 It turns out this news is actually very good. 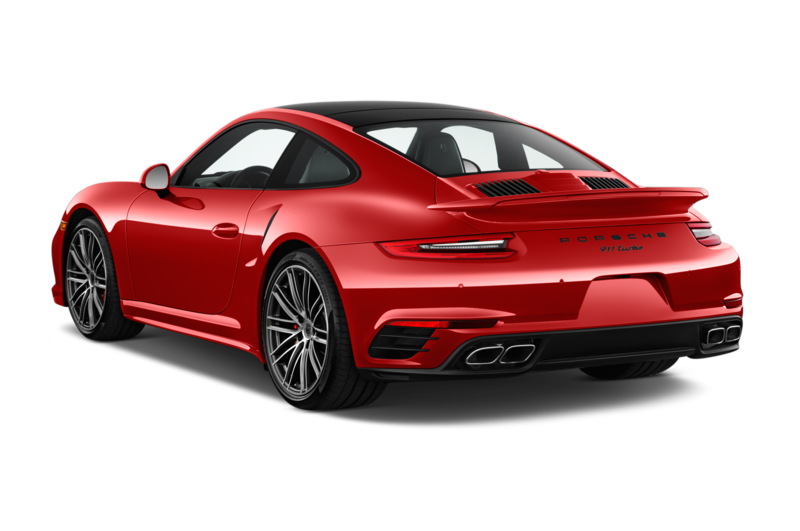 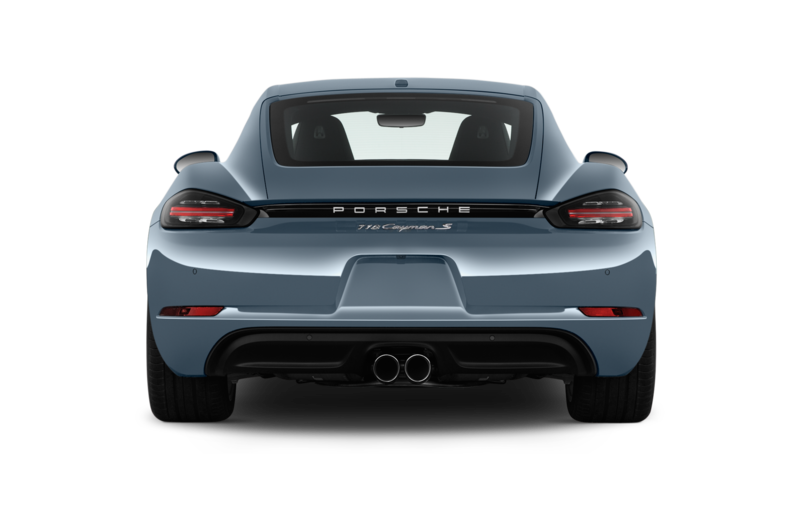 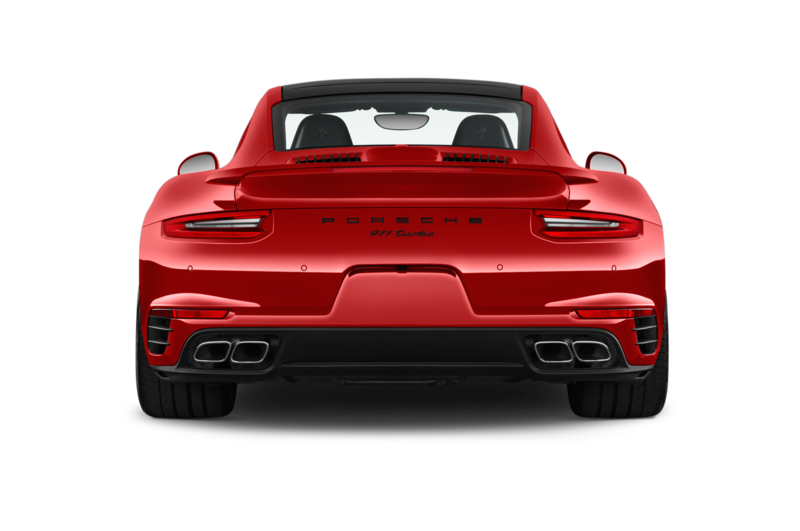 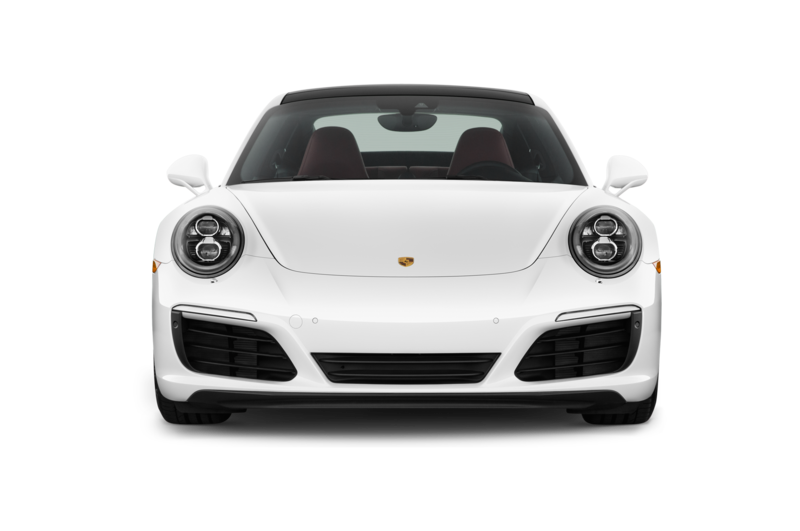 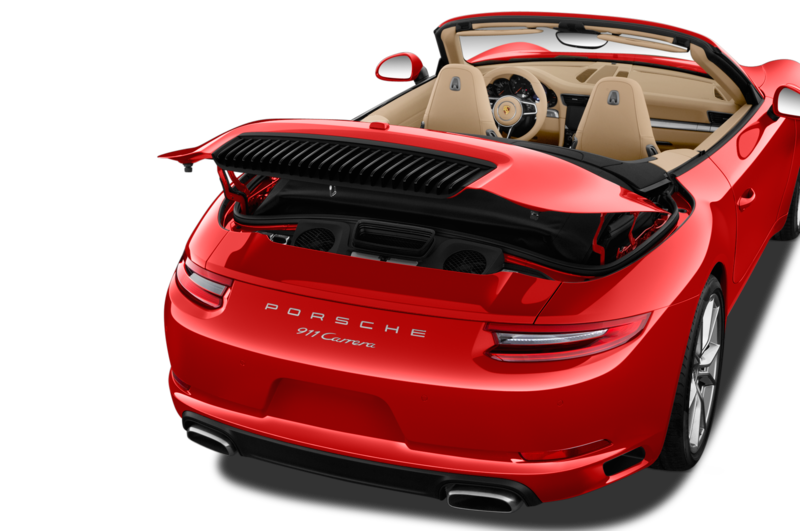 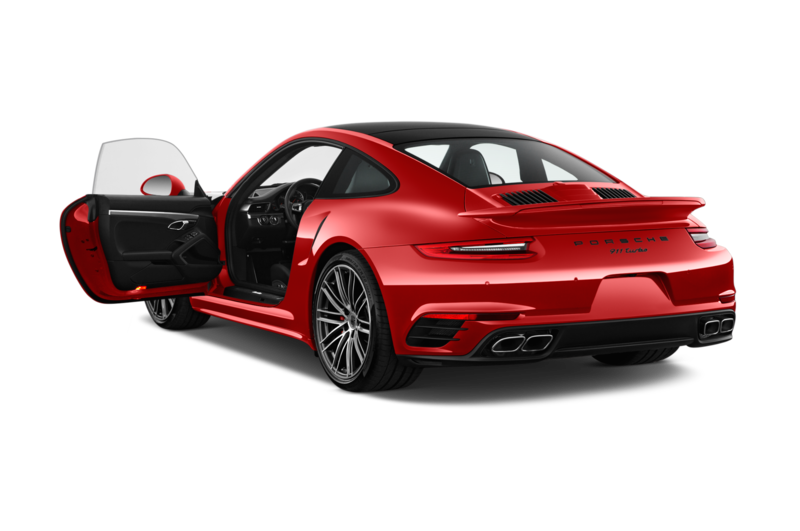 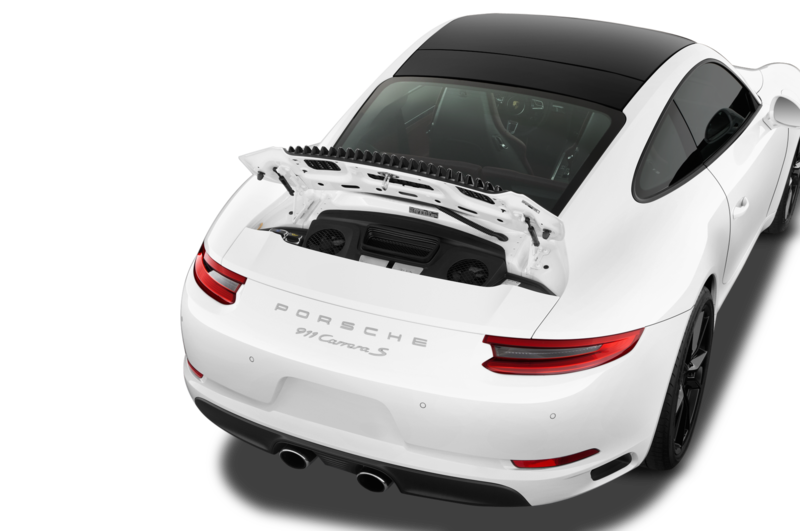 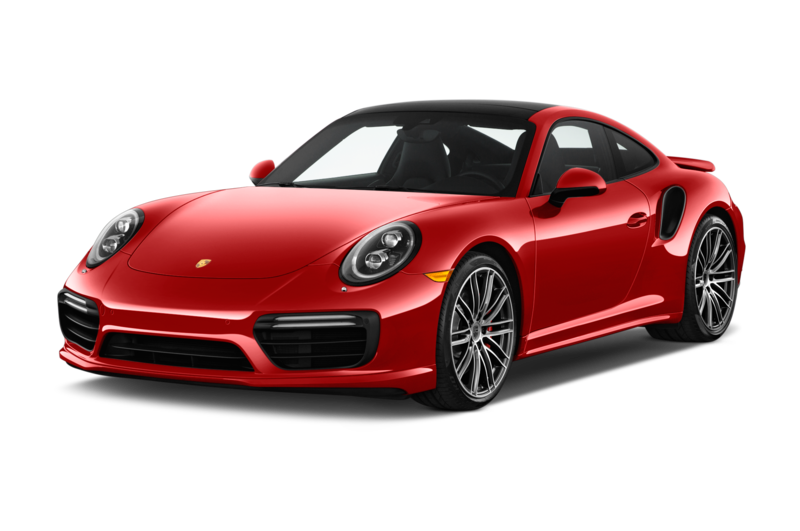 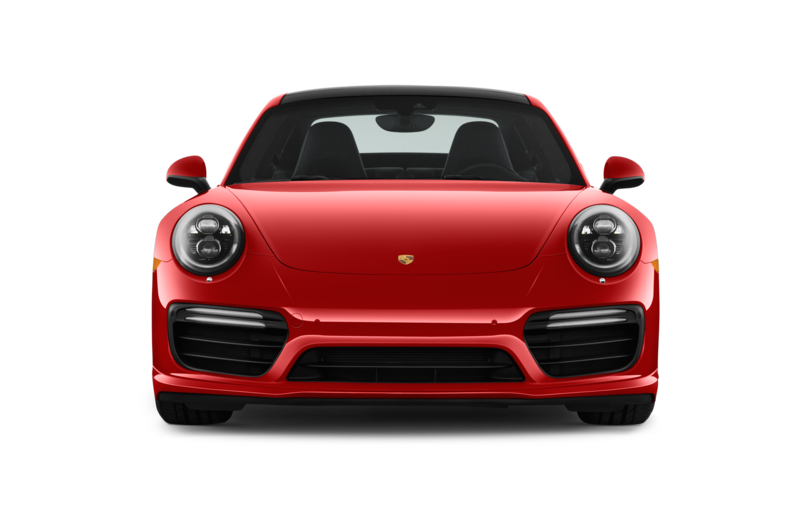 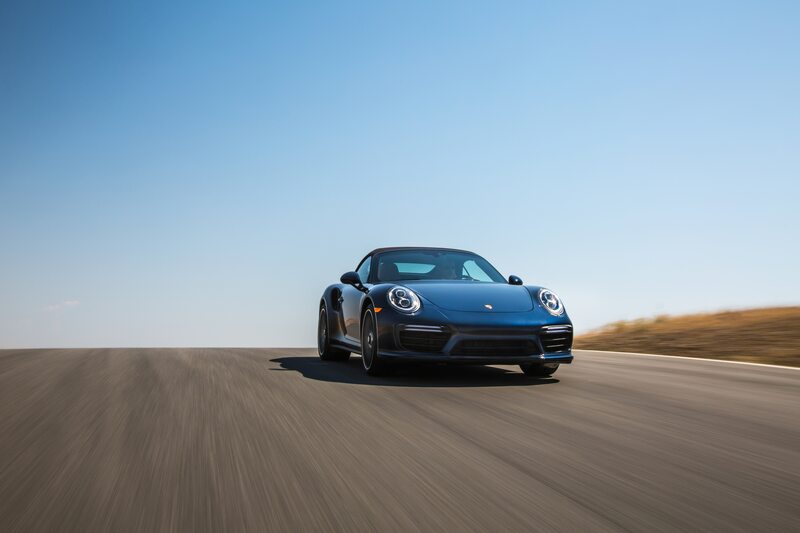 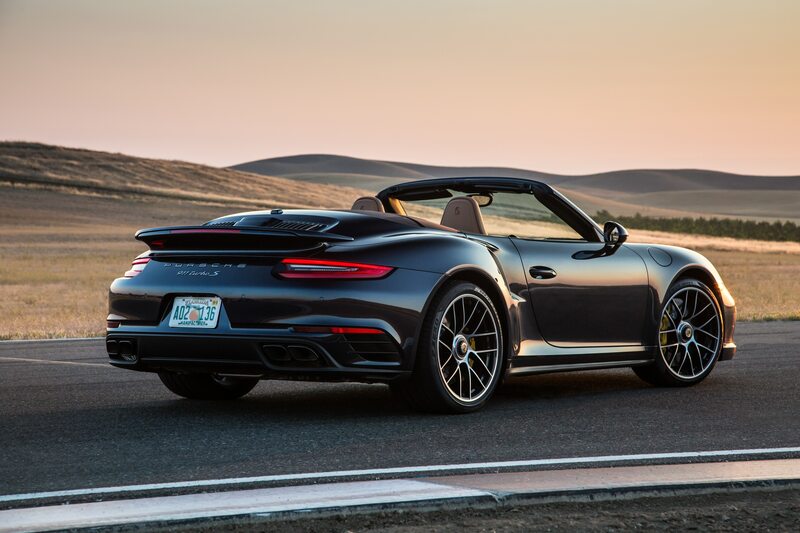 The new 2017 Porsche Carrera and Carrera S now sport twin turbochargers, increasing torque and efficiency but – crucially — not fundamentally altering the 911 experience purists have loved for half a century. 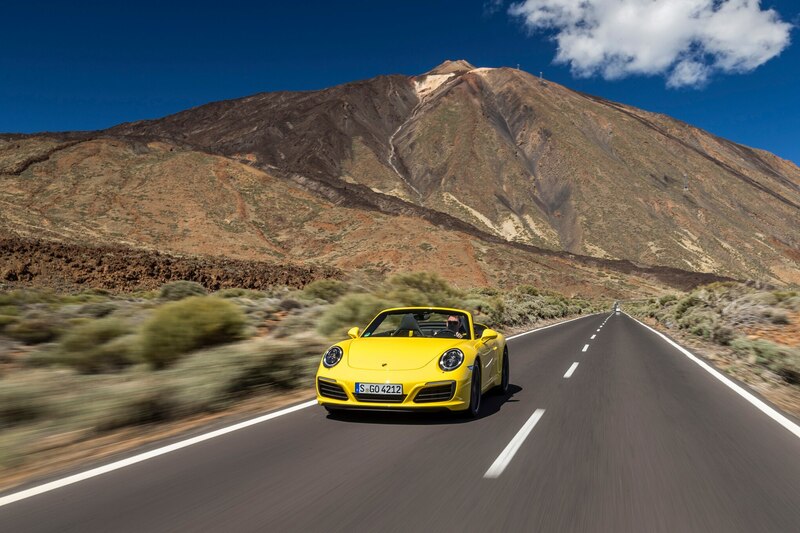 As to why I’ve flown nearly halfway around the world to this small Spanish archipelago of banana plantations and lava rock sprouting from the Atlantic just off the northwest coast of Africa, well, I like to think it’s because Porsche wanted a driving venue just as volcanic as its new sports car. 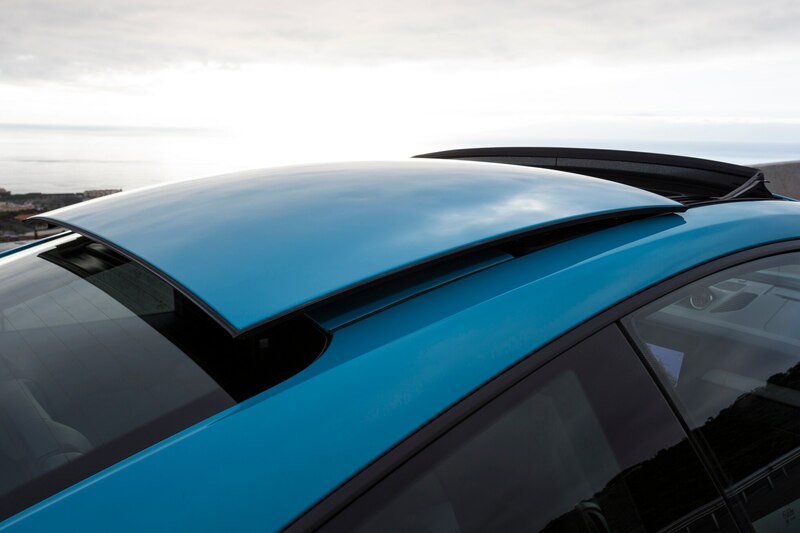 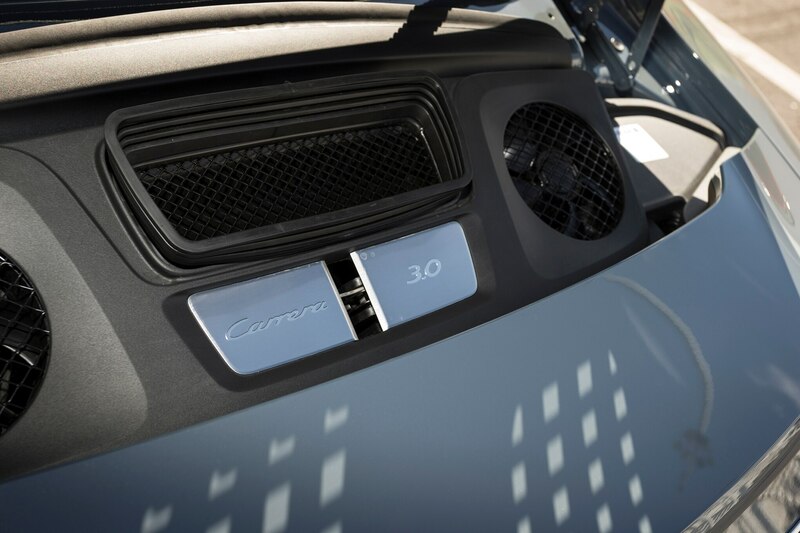 Not since the 911 swapped air-cooling for water has the car undergone such a radical shift in technology. 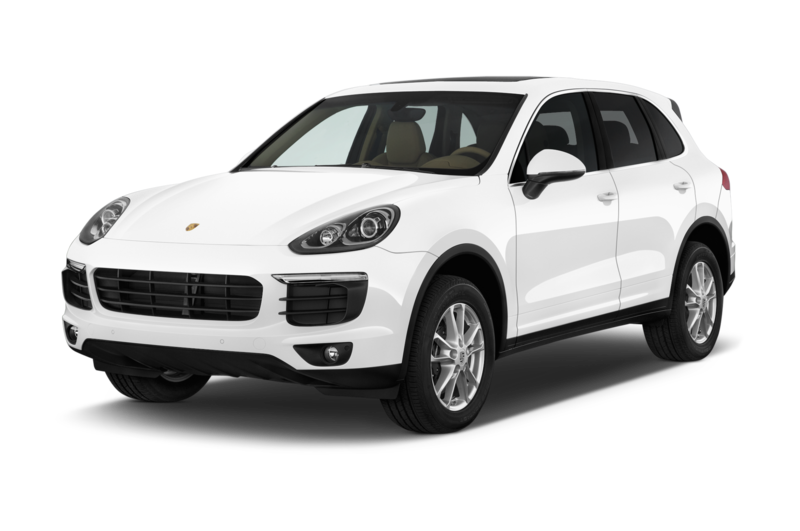 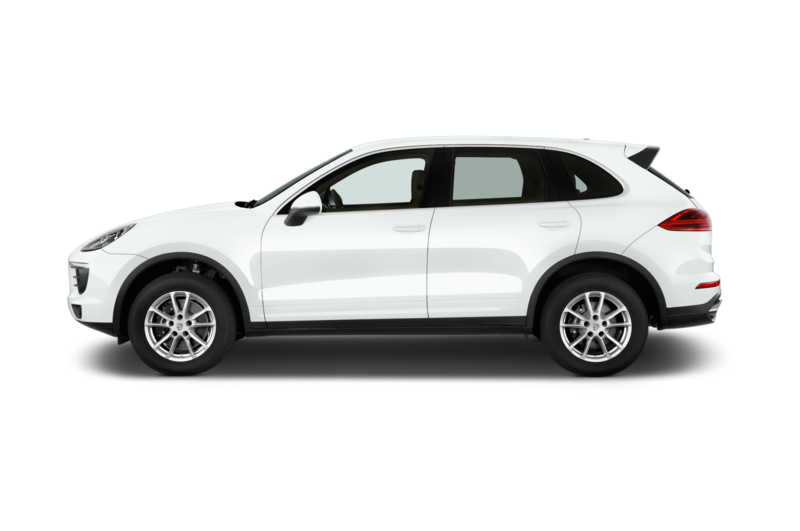 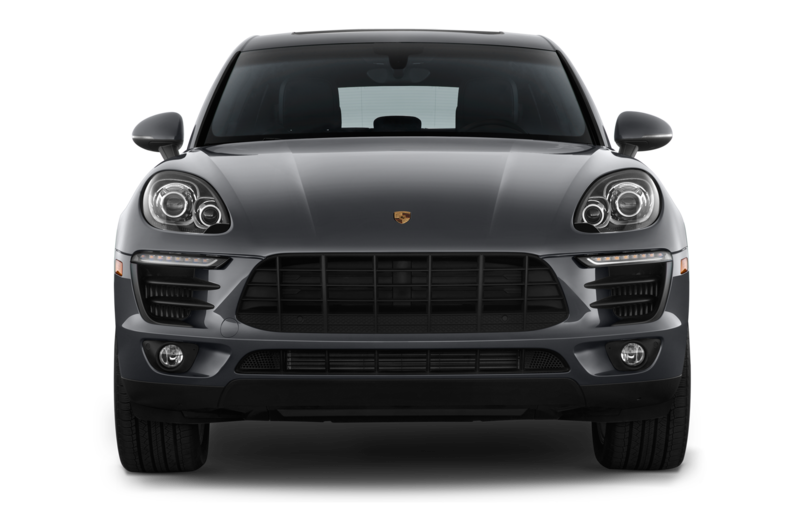 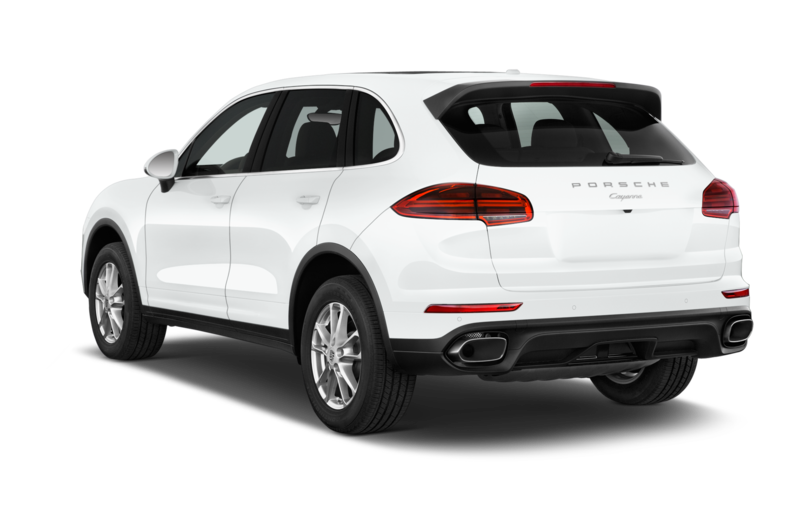 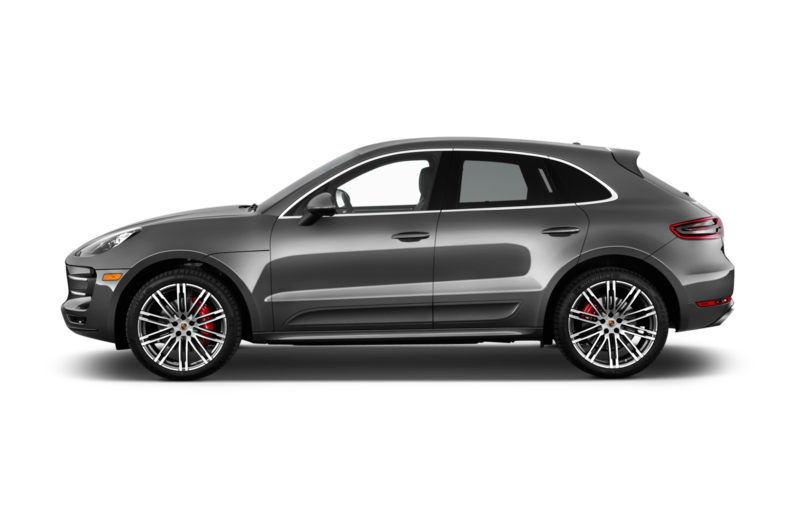 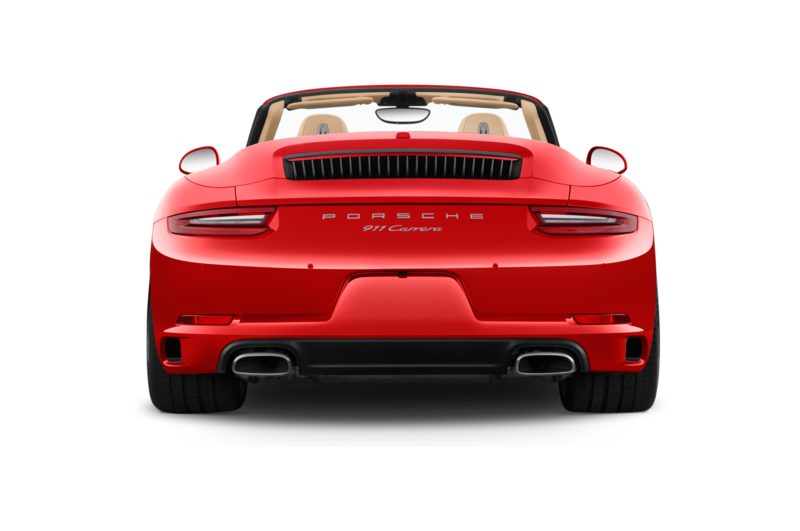 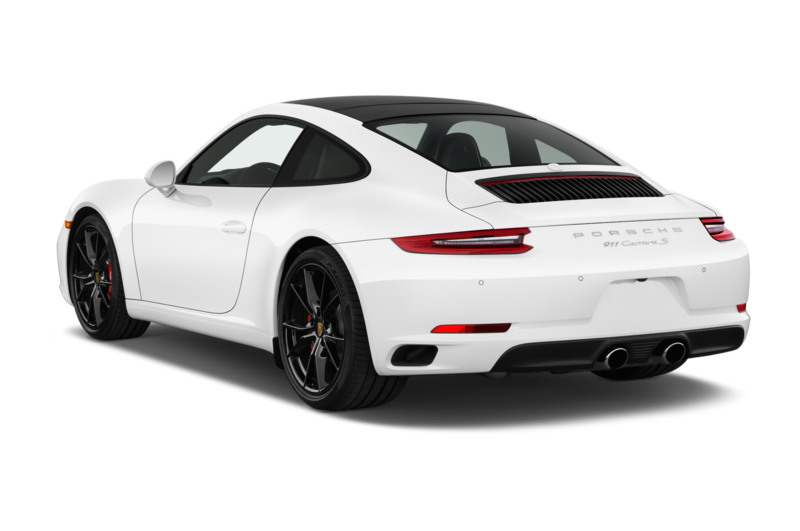 Truthfully, I feared the worst: dampened exhaust music, laggy throttle response, maybe even the ghost of Ferdinand Alexander Porsche himself wailing in my ears. 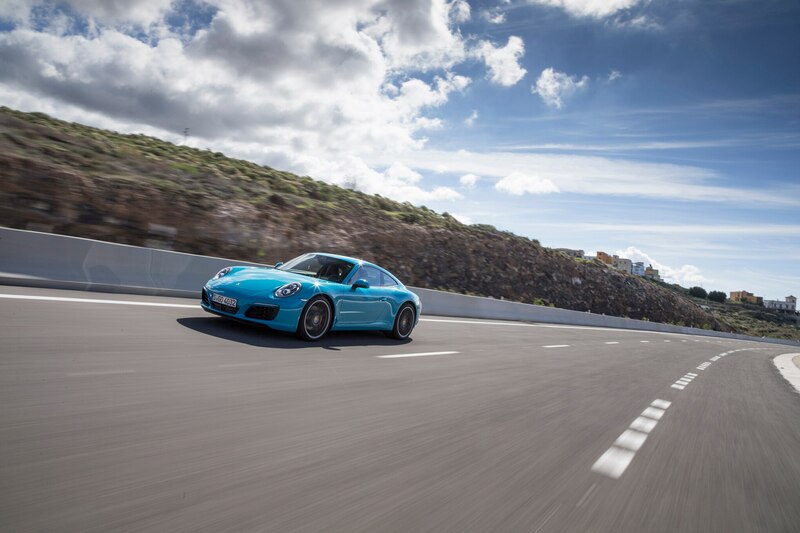 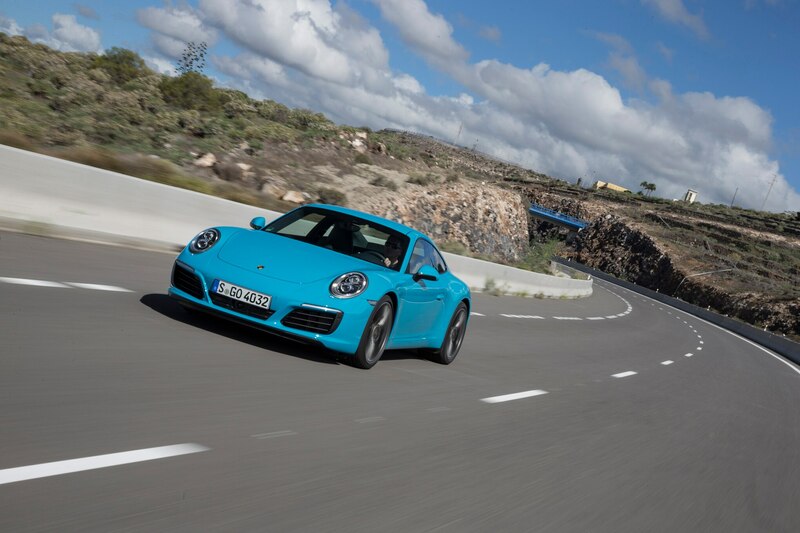 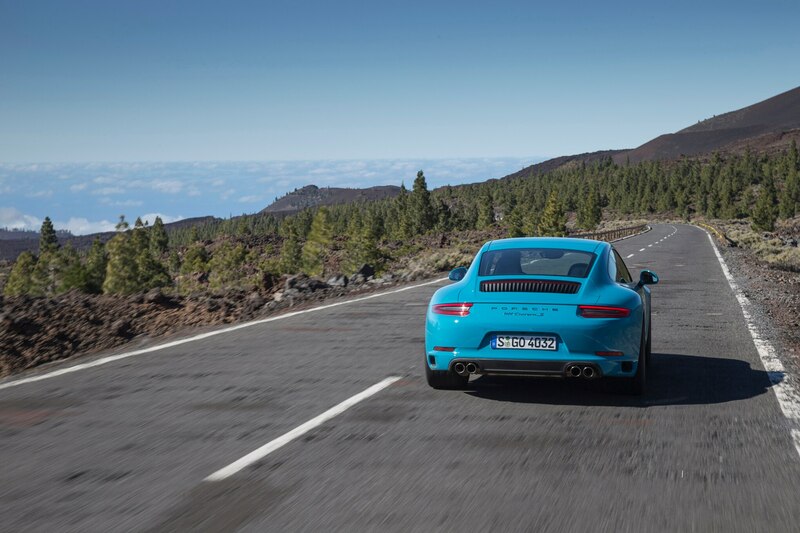 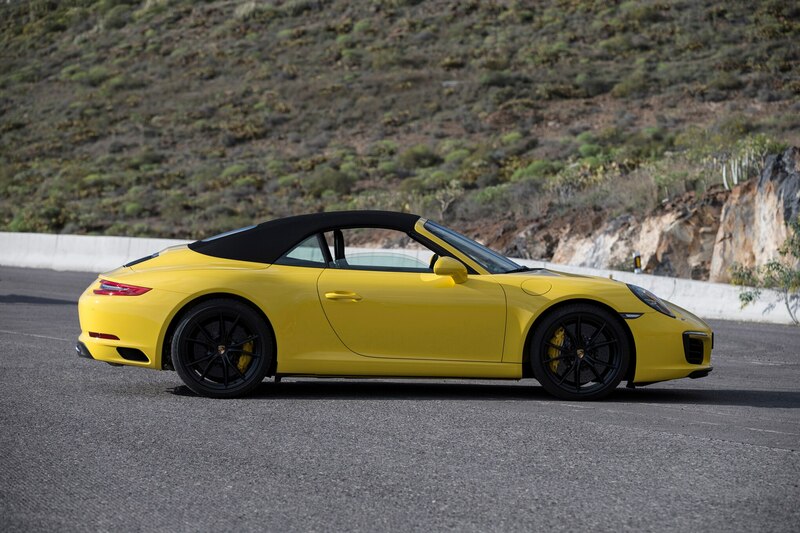 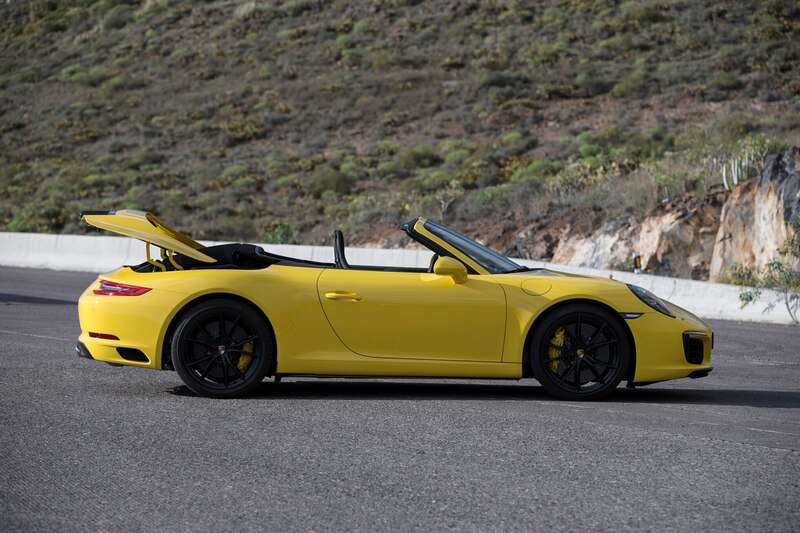 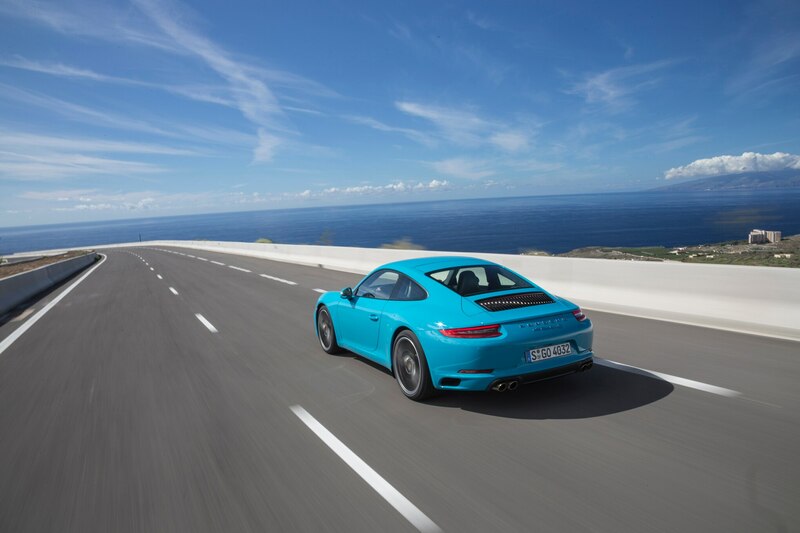 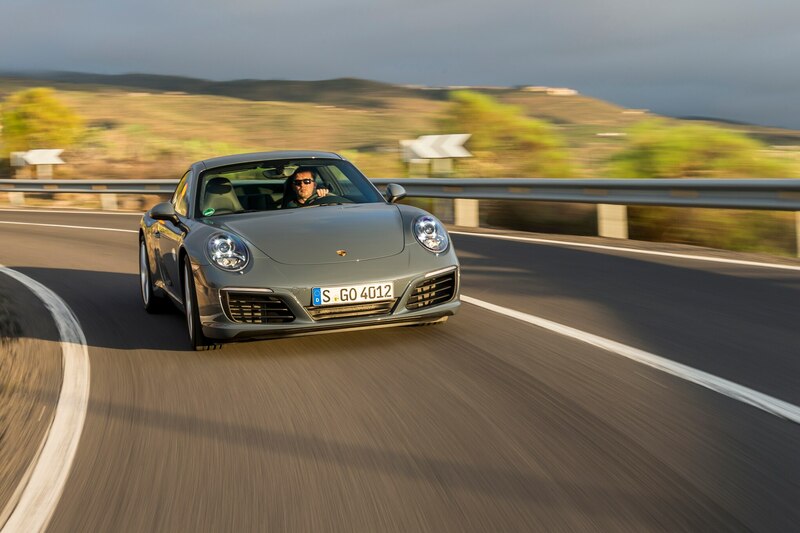 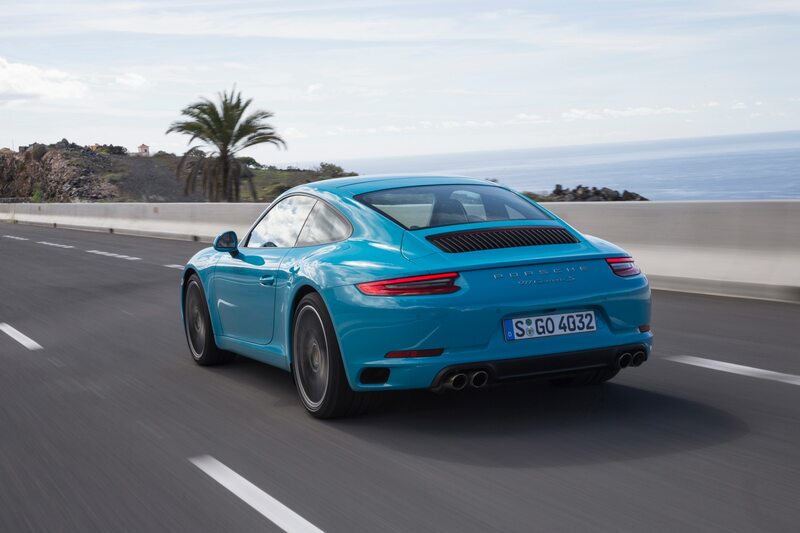 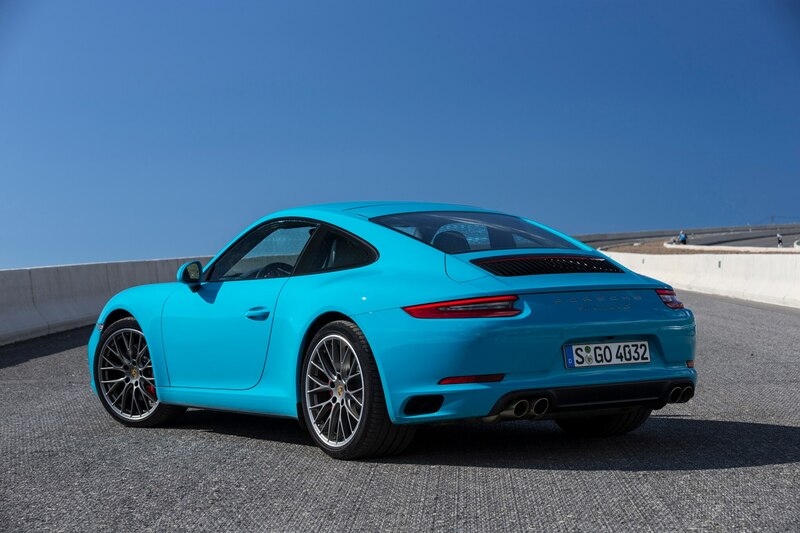 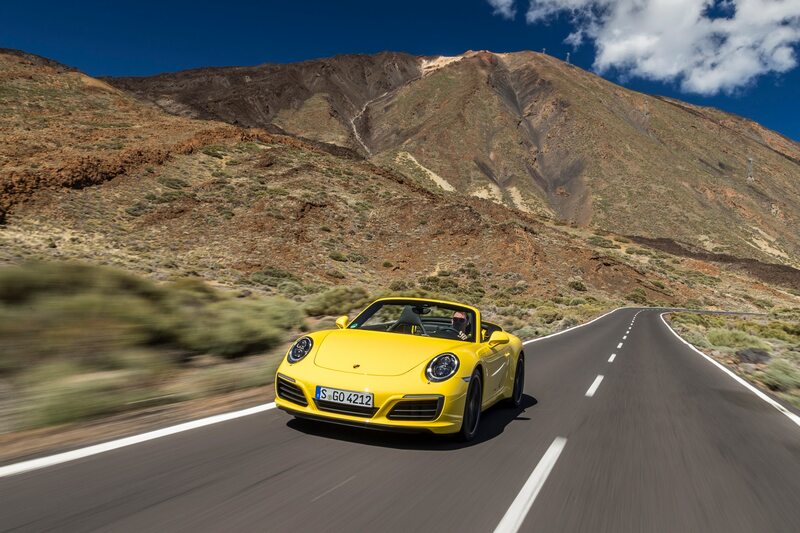 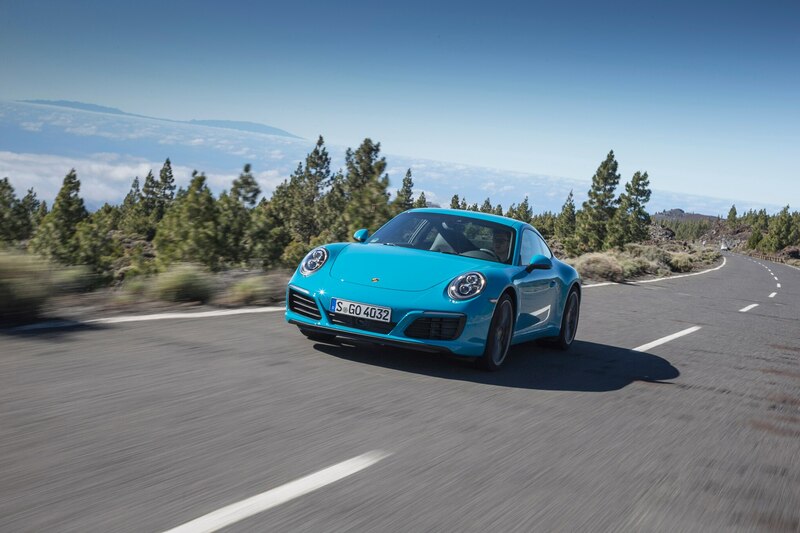 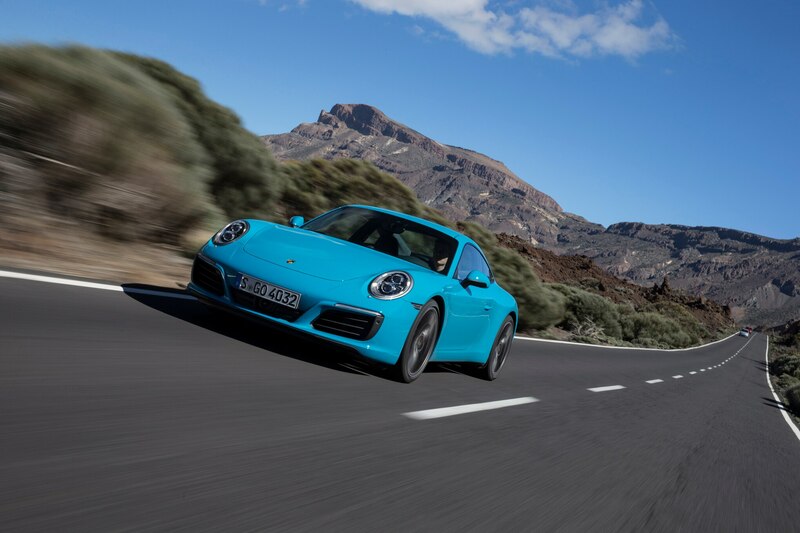 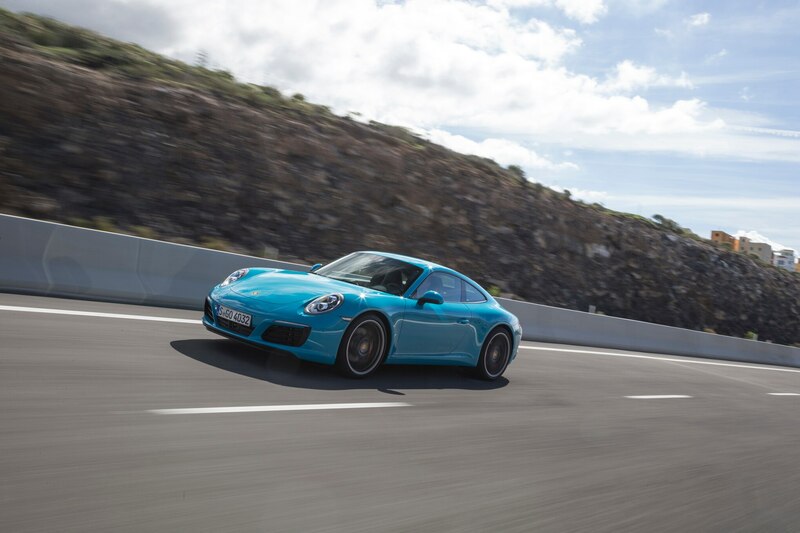 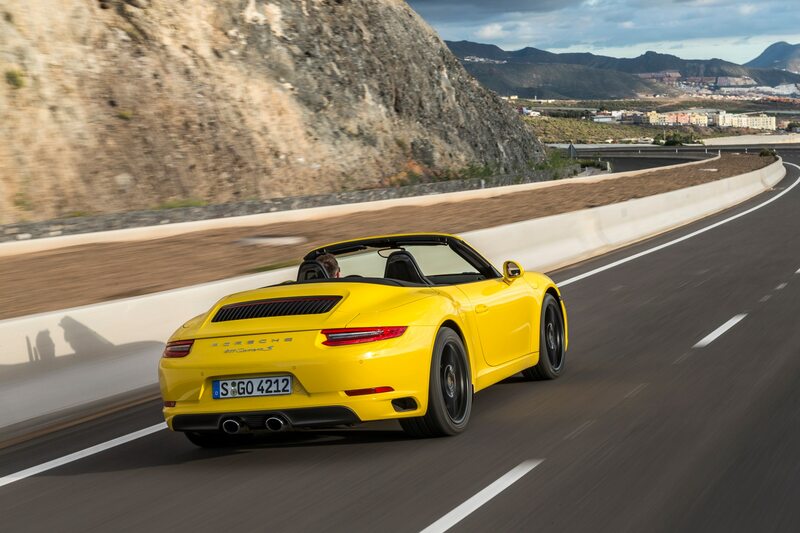 But after just a few minutes rocketing the updated 991-gen car through Tenerife’s serpentine mountain two-lanes, my fears had evaporated into the tropical island air. 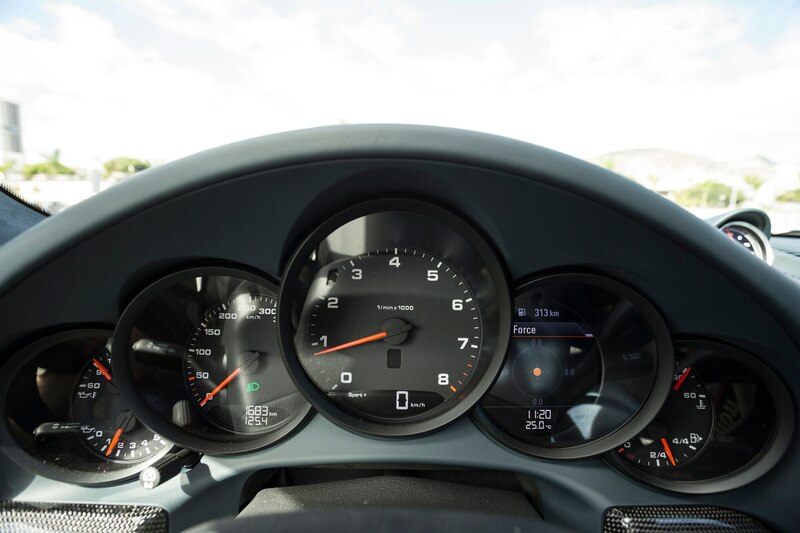 Yes, you can hear the two scrolls behind you spooling up in response to your right foot (actually, they make a delightful aural contribution to the flat six’s mechanical symphony). 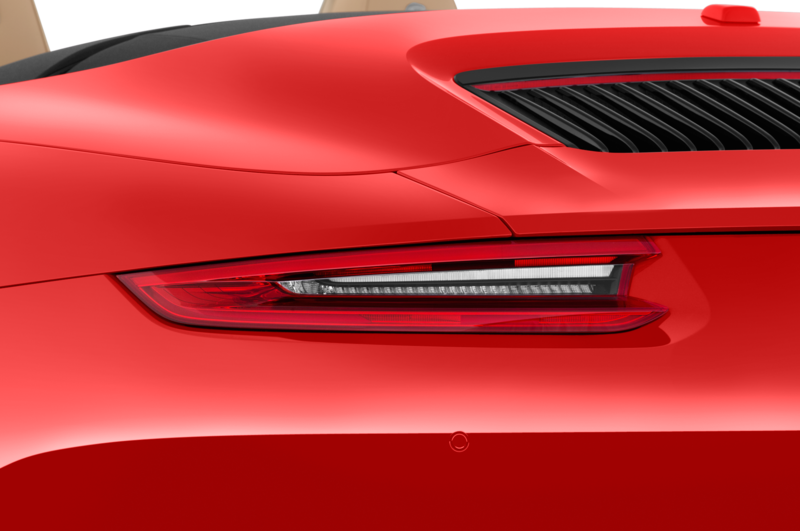 And, yes, the engine feels different, much stronger in the low end, less needful of screaming revs for sustained thrust. 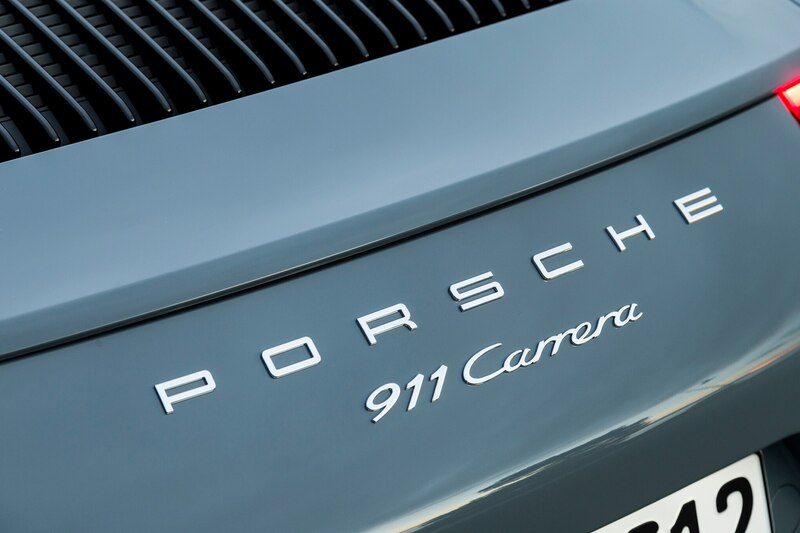 But, no, that crucial, timeless 911 “soul” has not been lost. 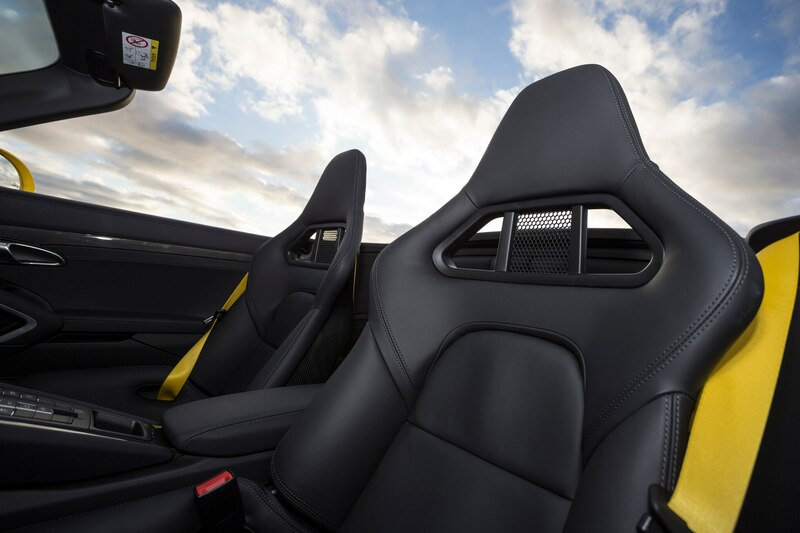 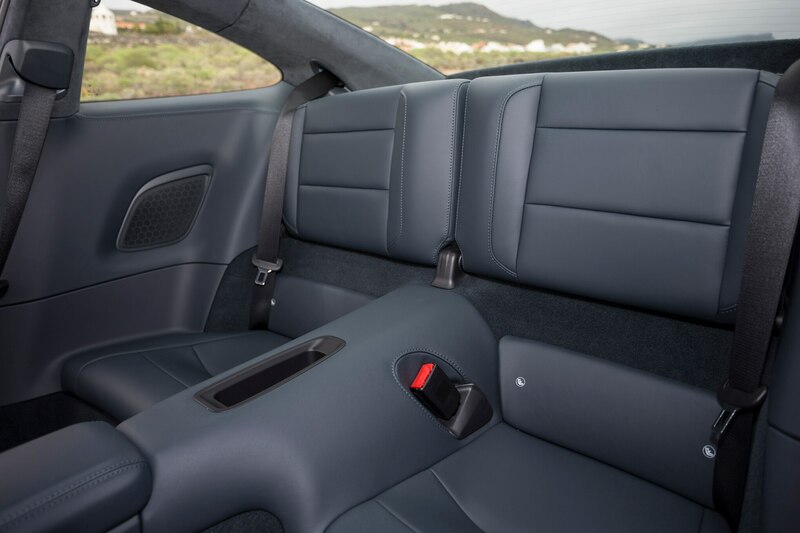 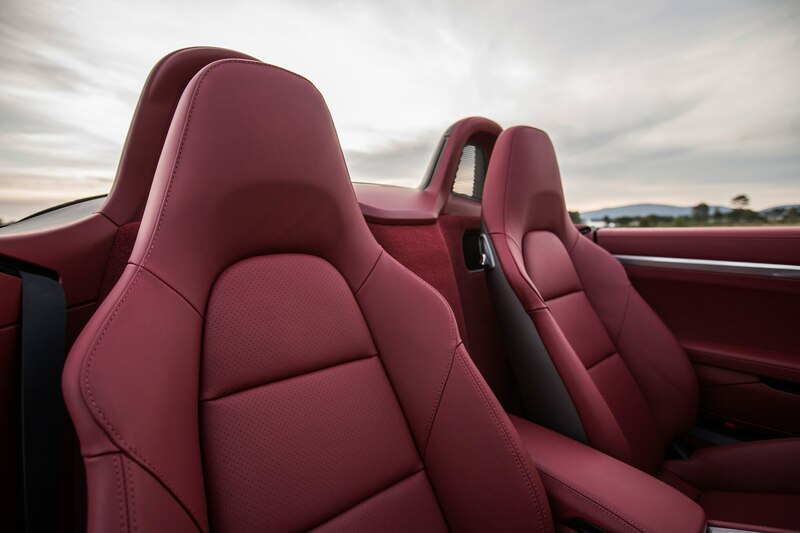 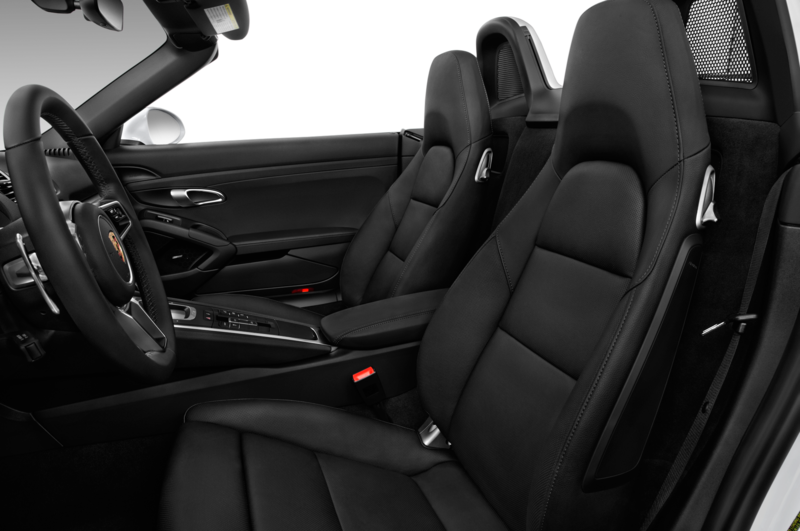 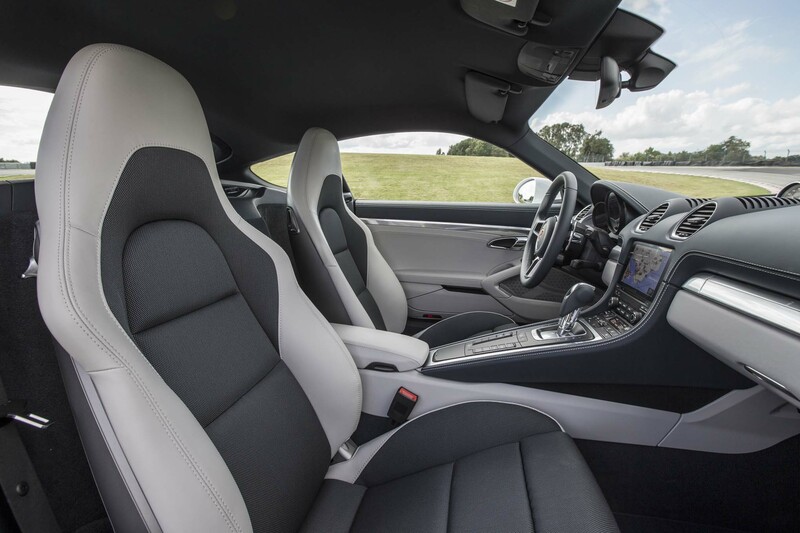 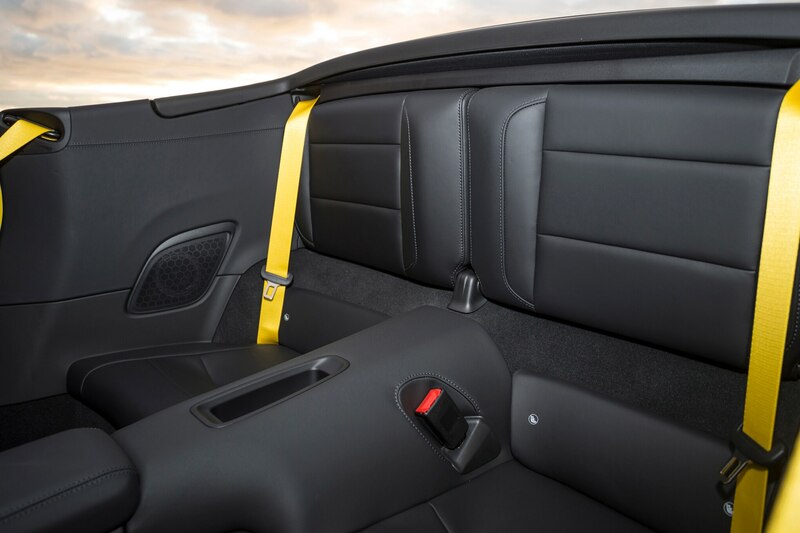 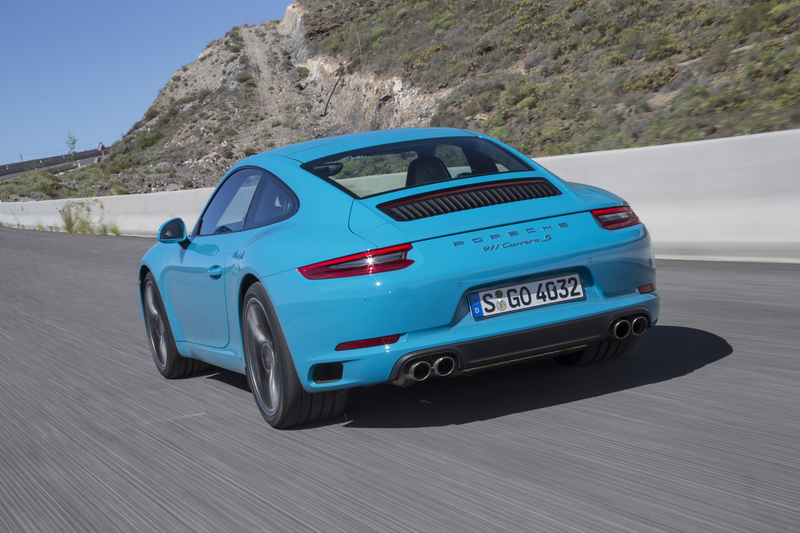 If you’ve driven 911s before, the new car will feel as familiar as your favorite easy chair. 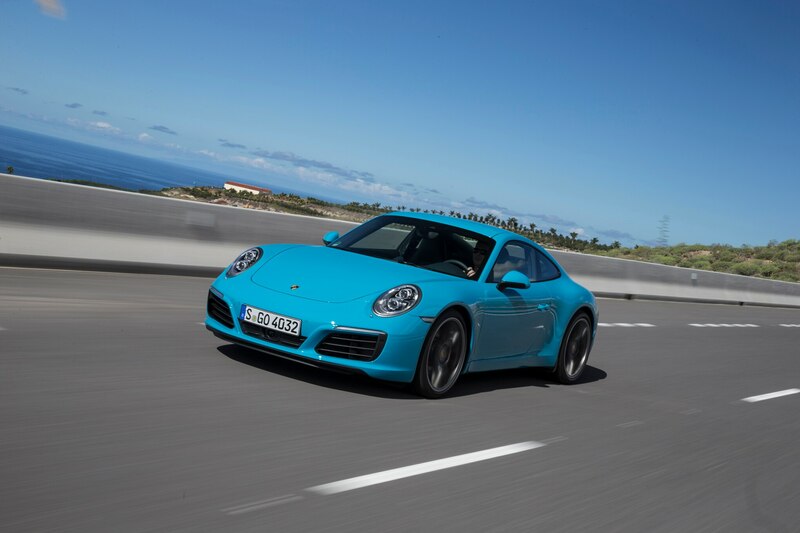 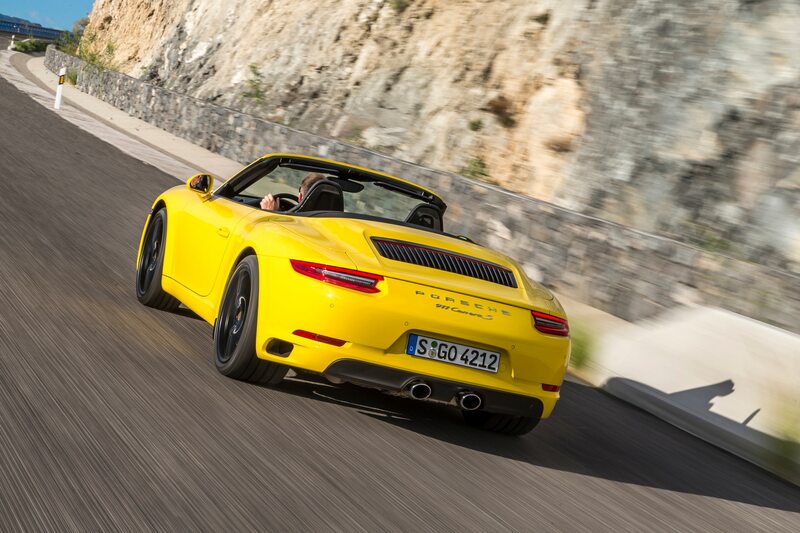 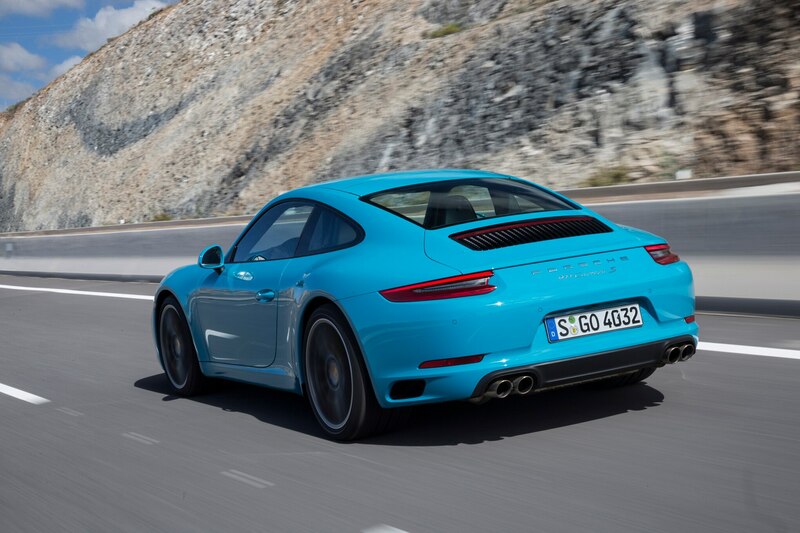 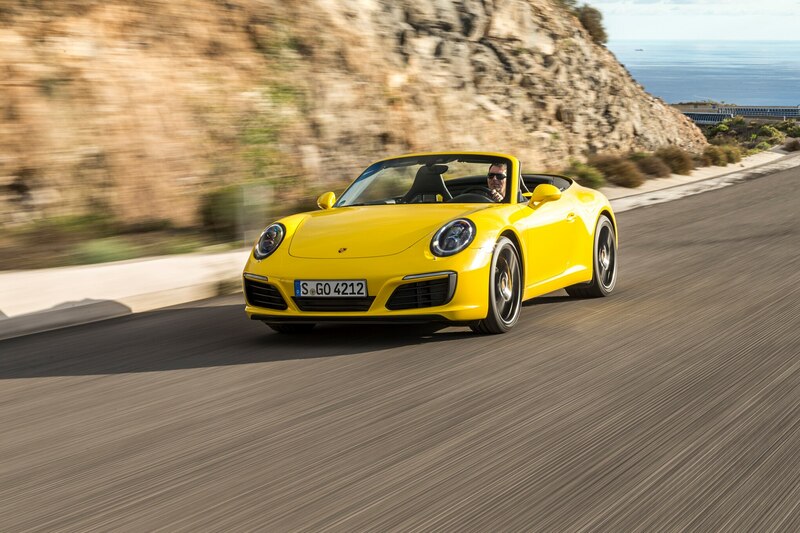 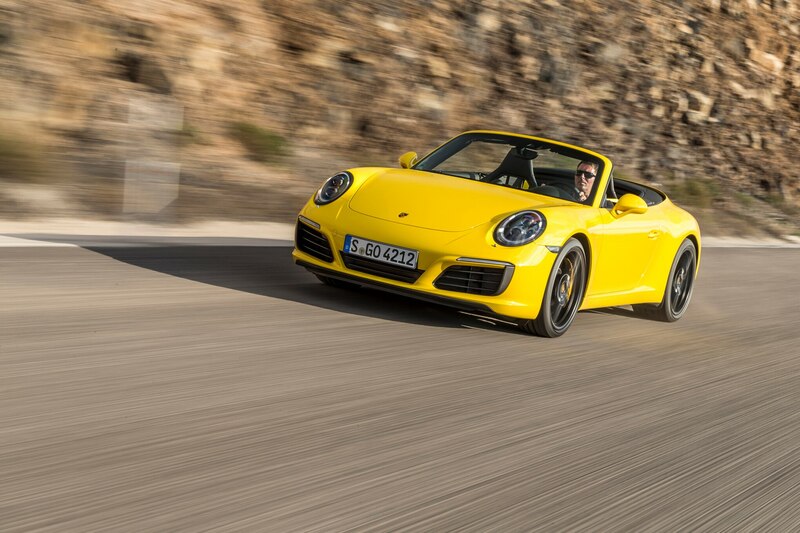 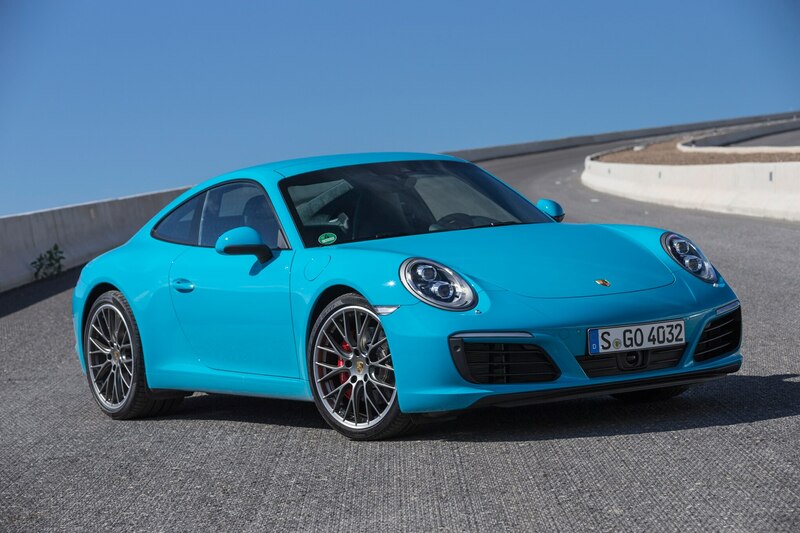 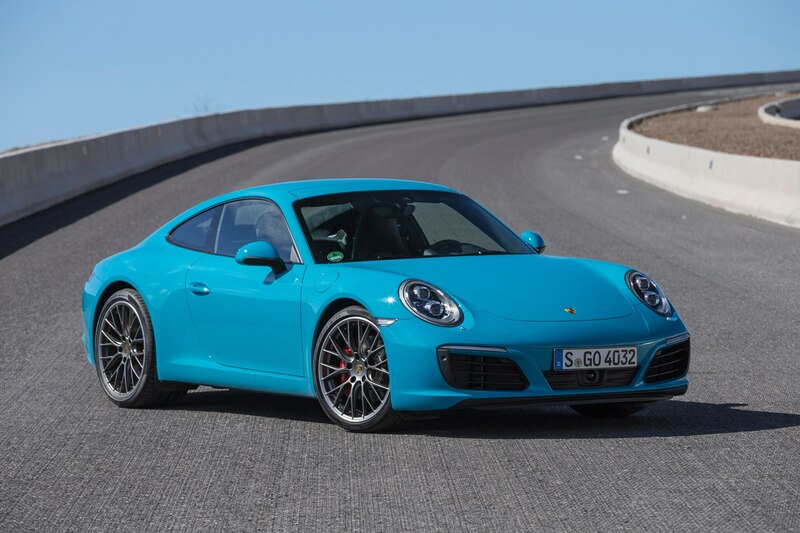 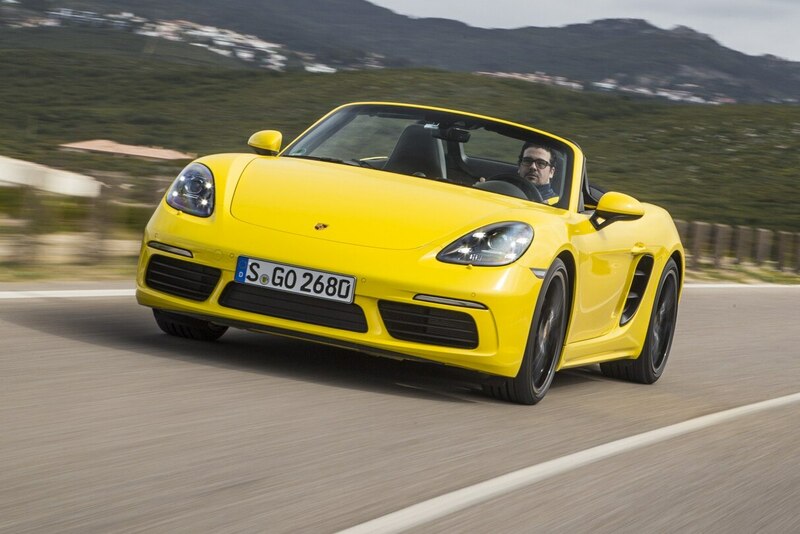 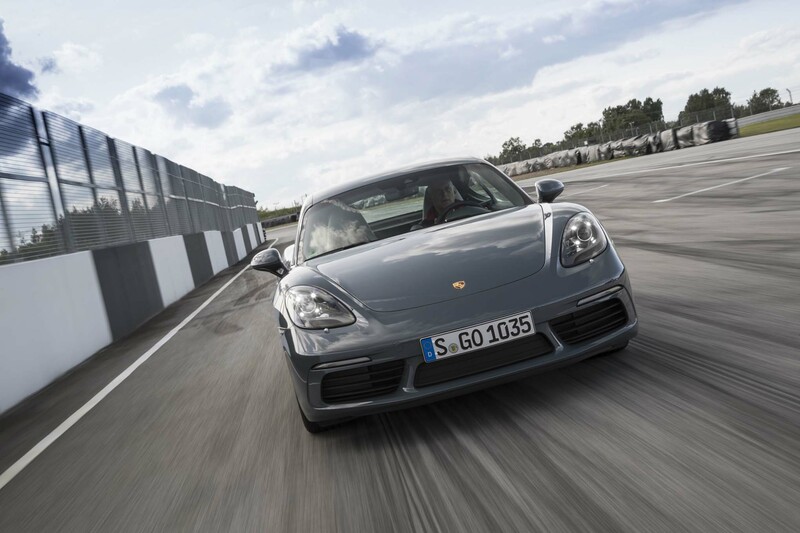 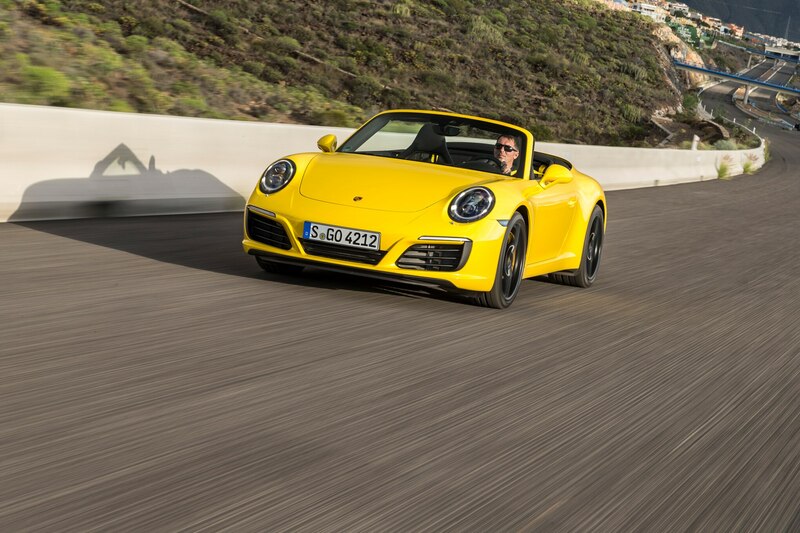 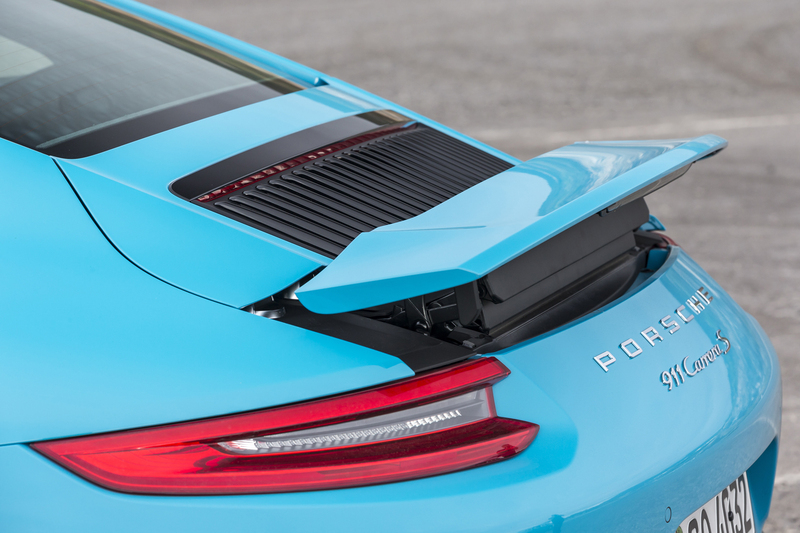 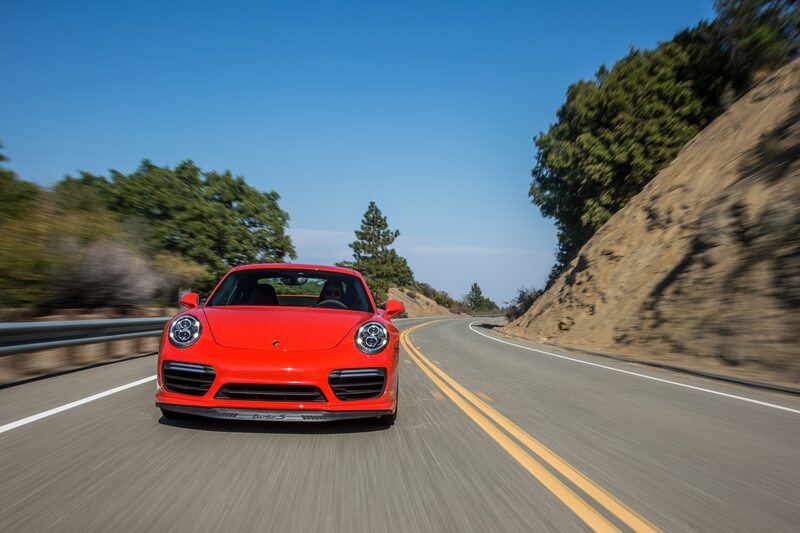 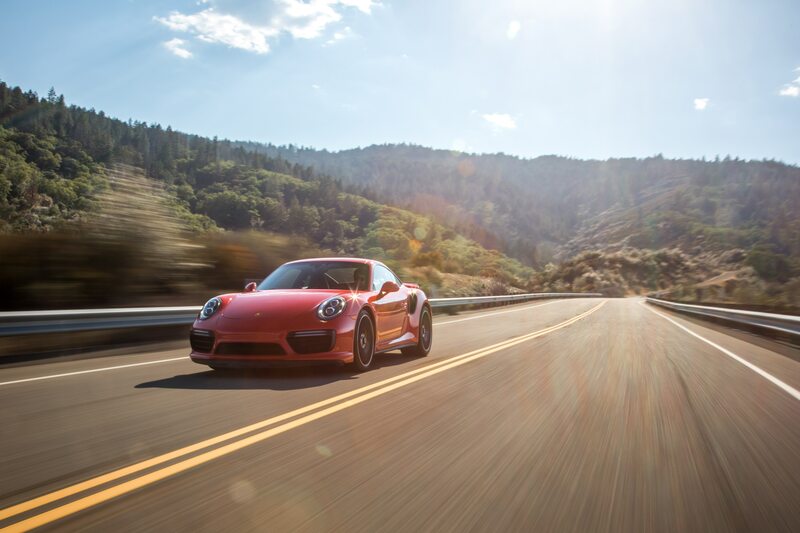 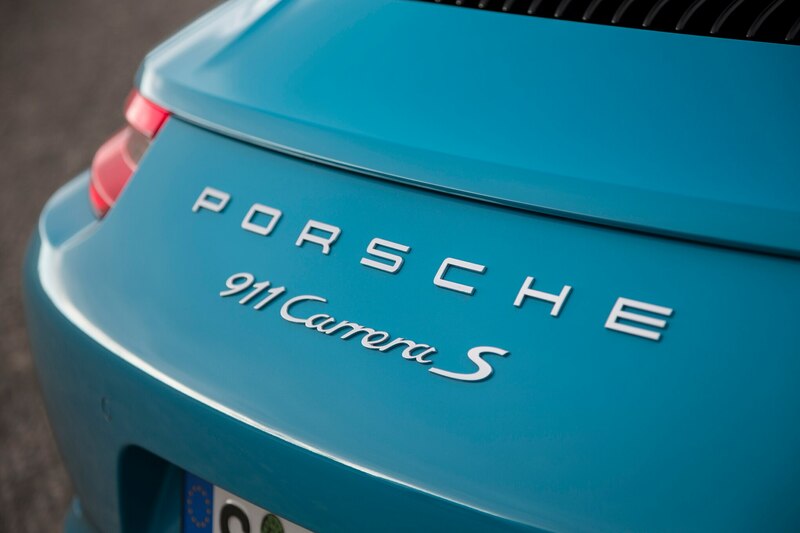 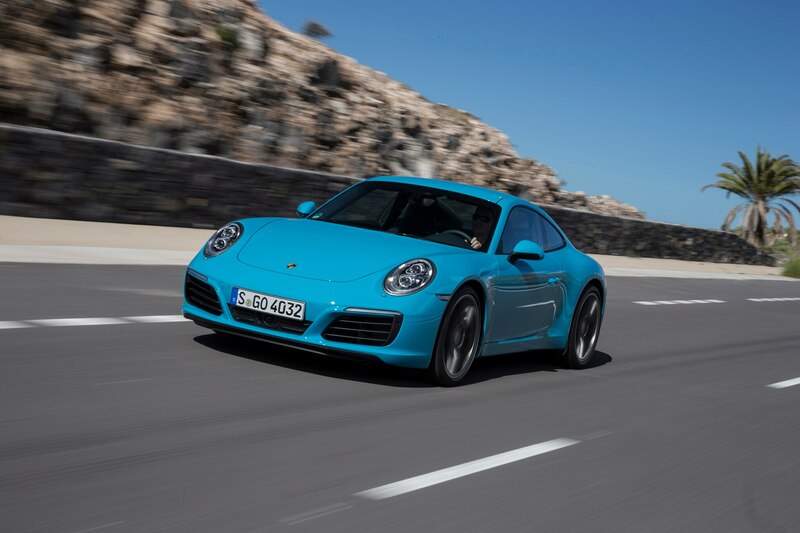 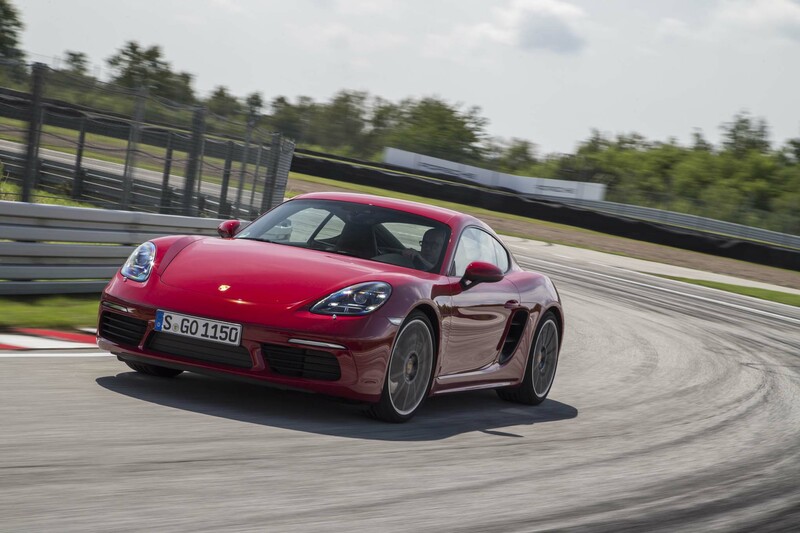 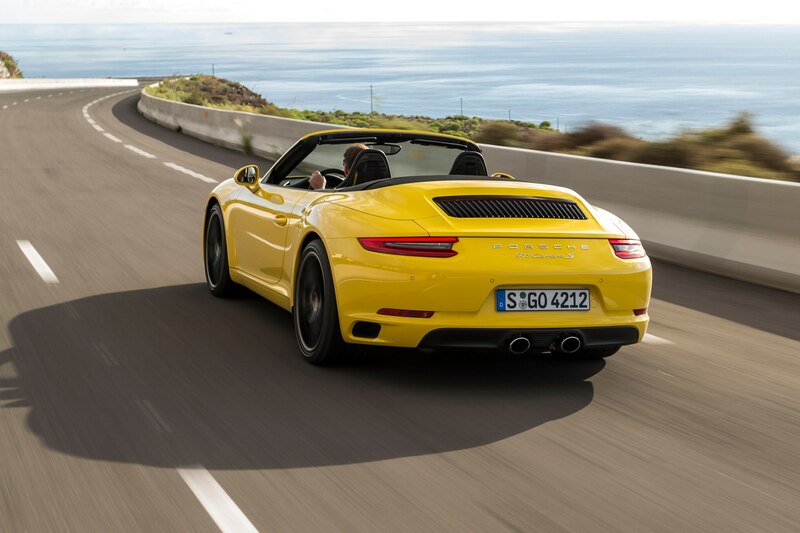 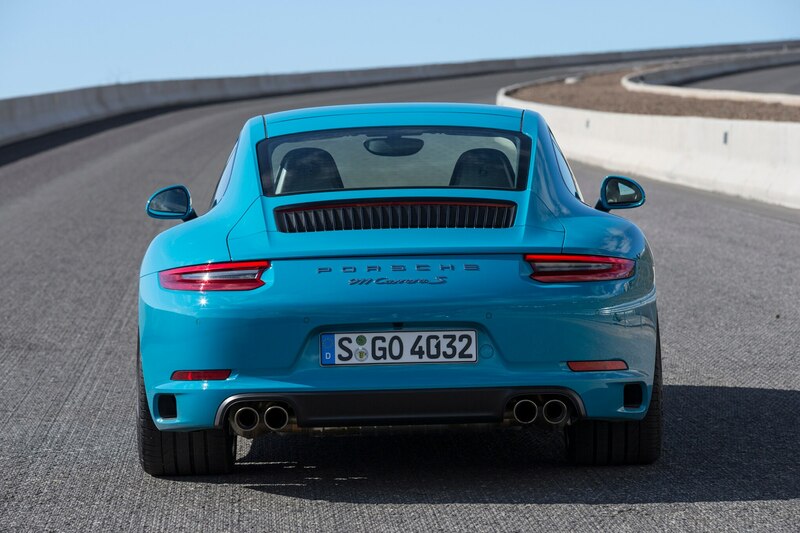 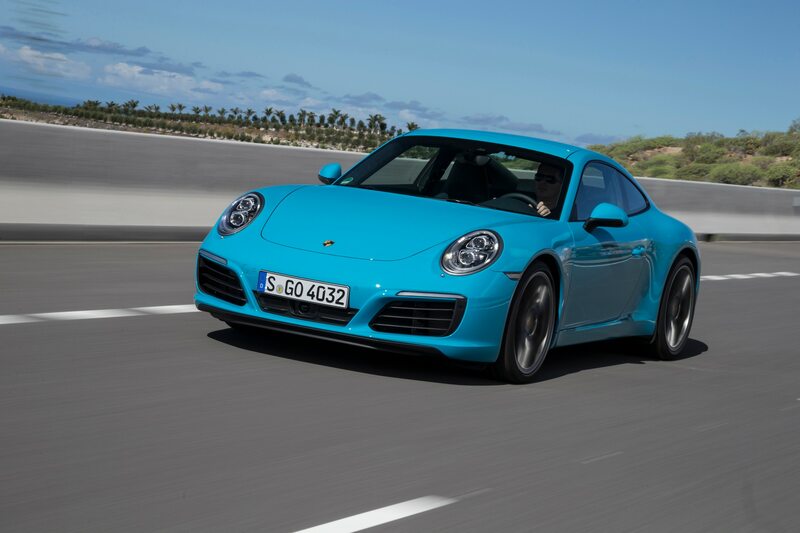 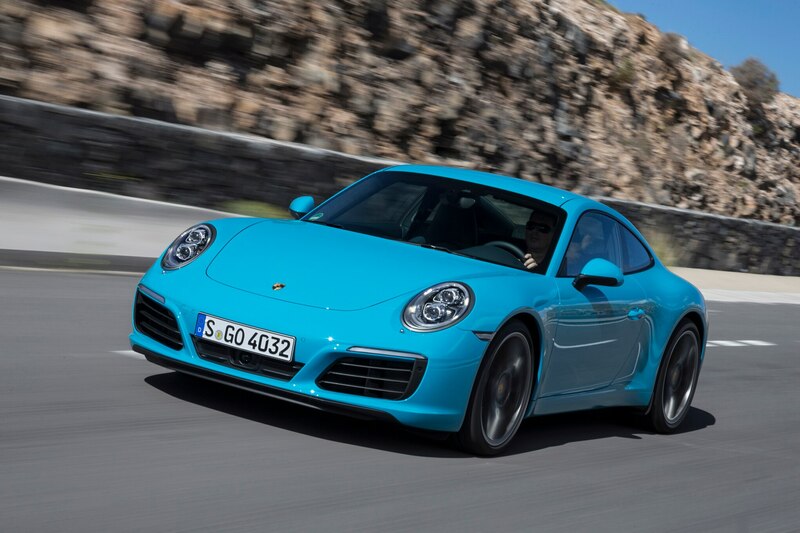 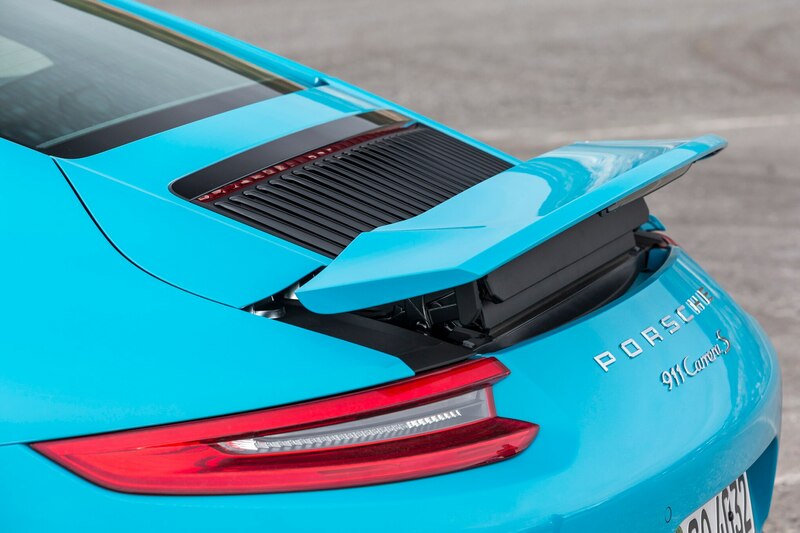 Gone are the previous naturally aspirated 3.4-liter and 3.8-liter 911 powerplants. 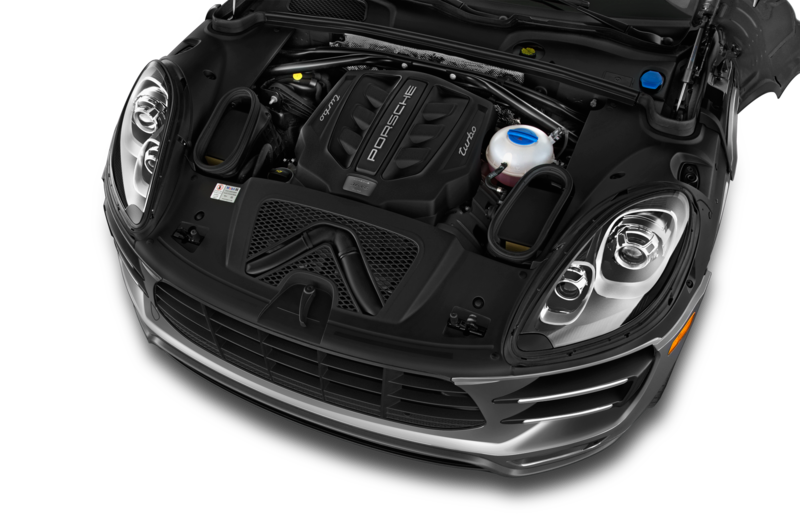 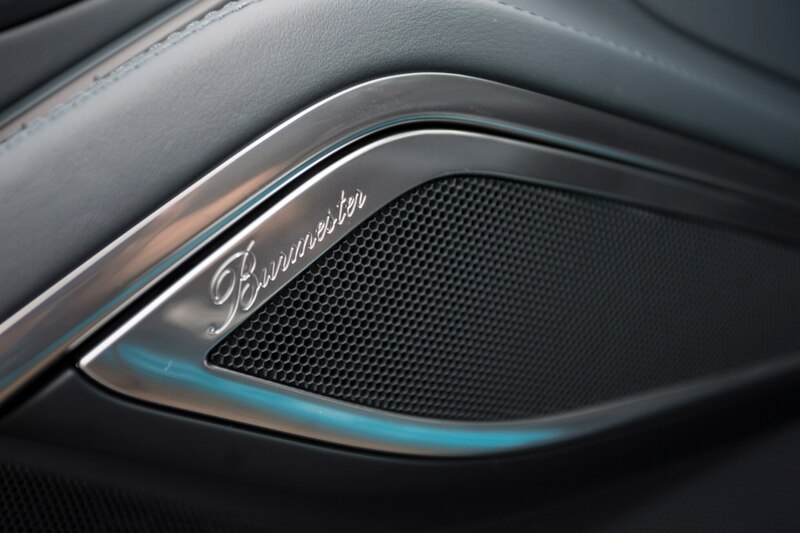 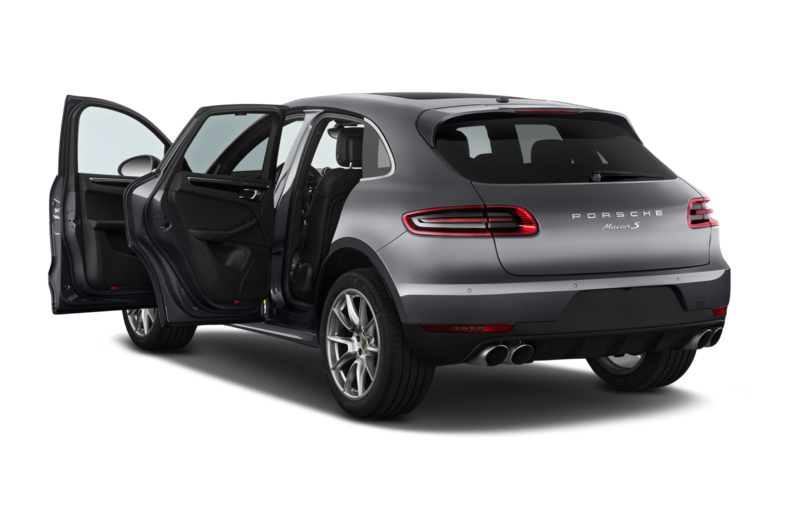 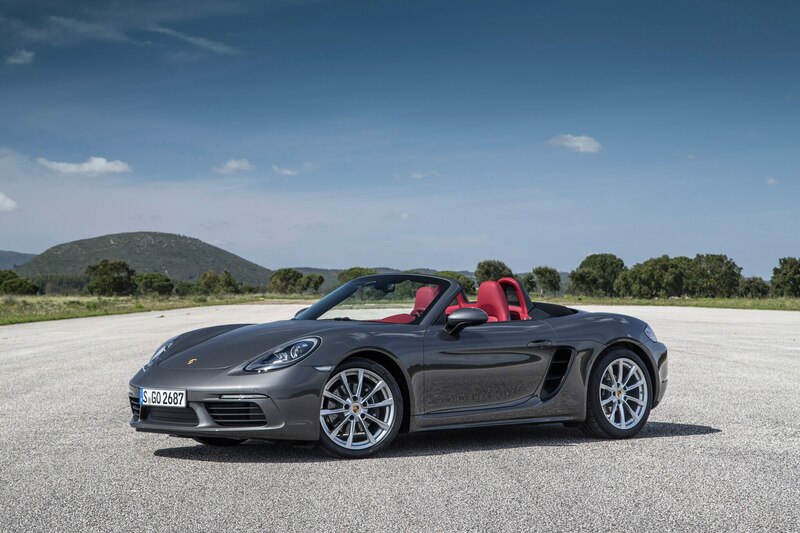 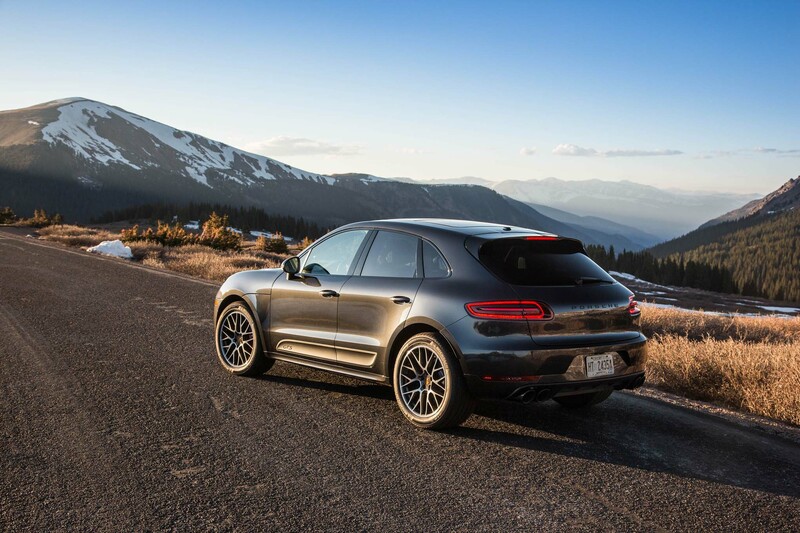 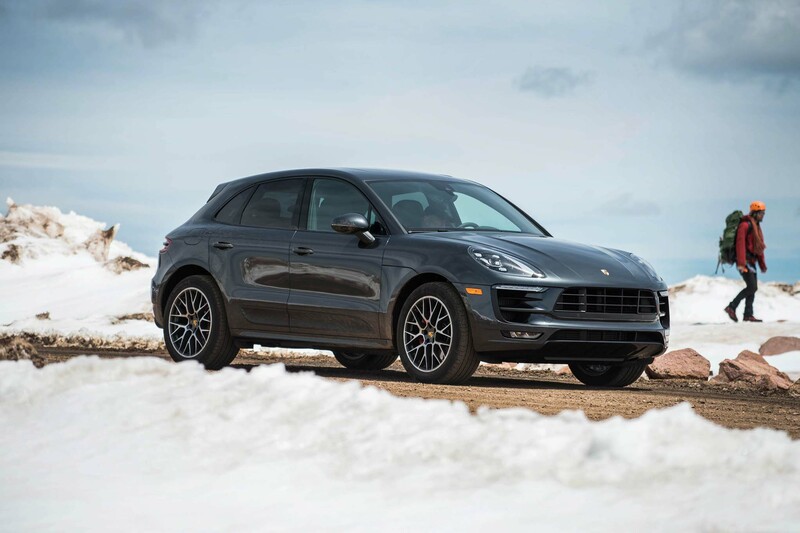 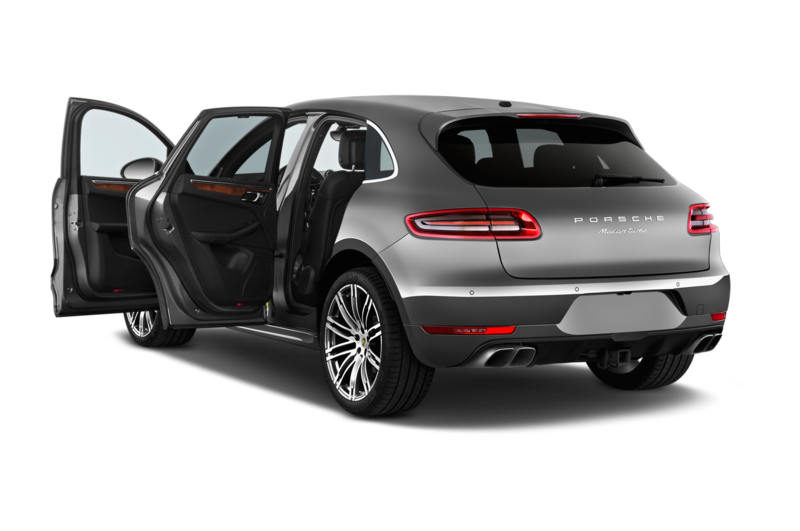 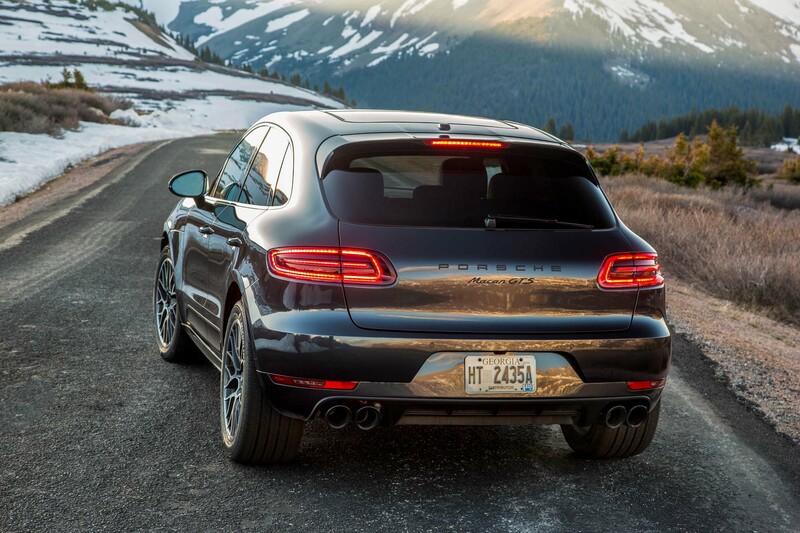 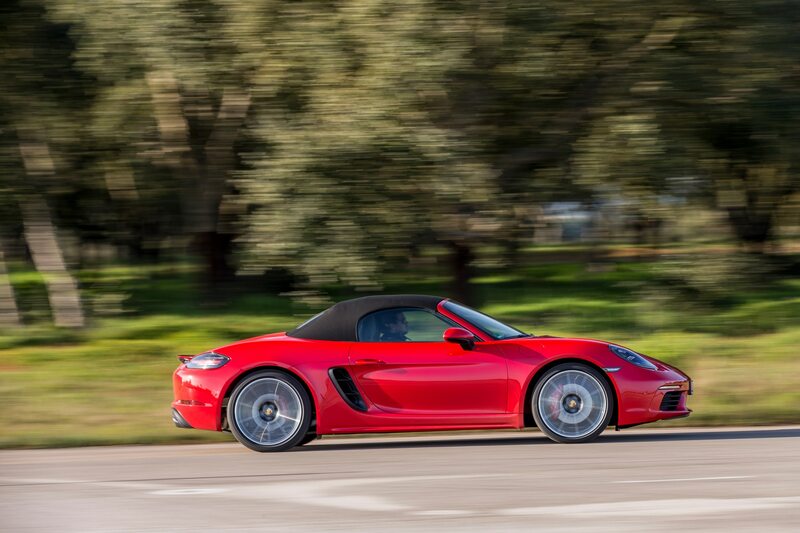 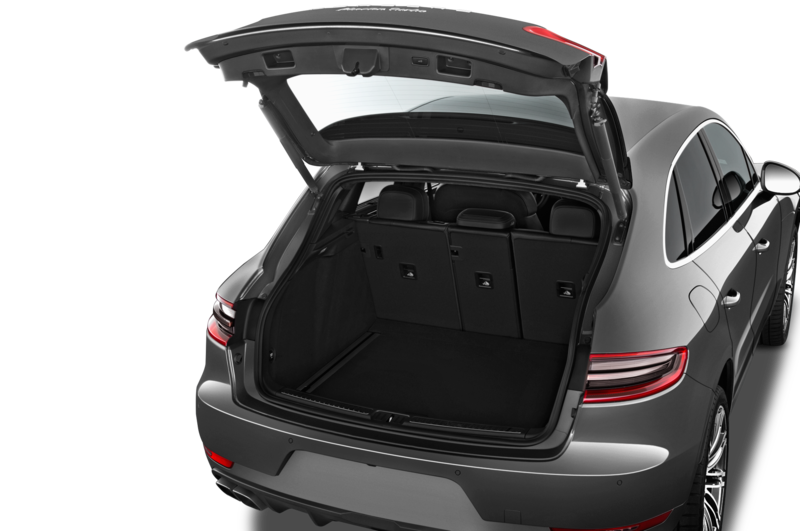 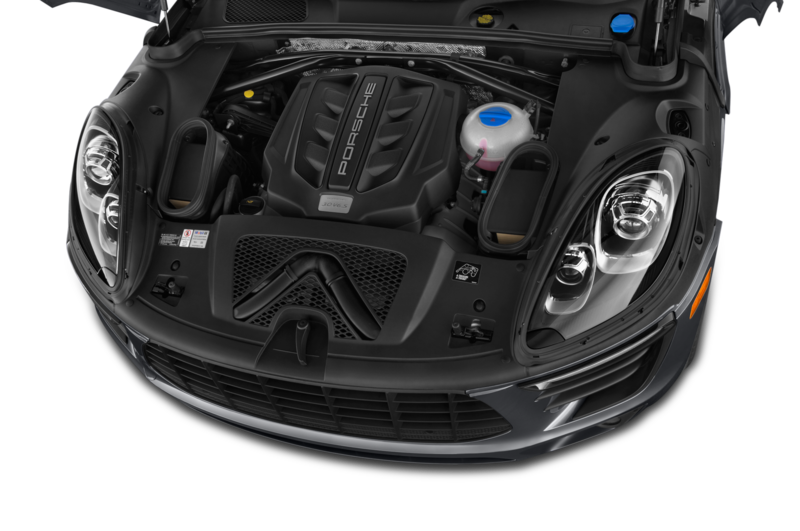 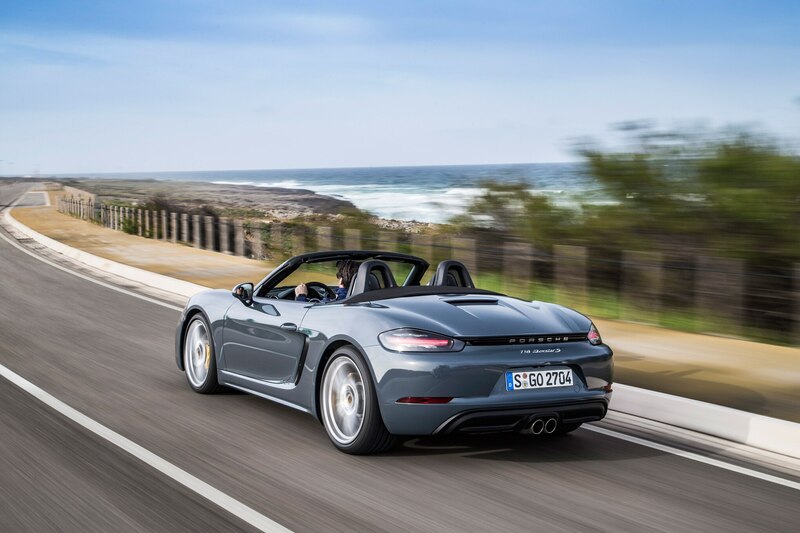 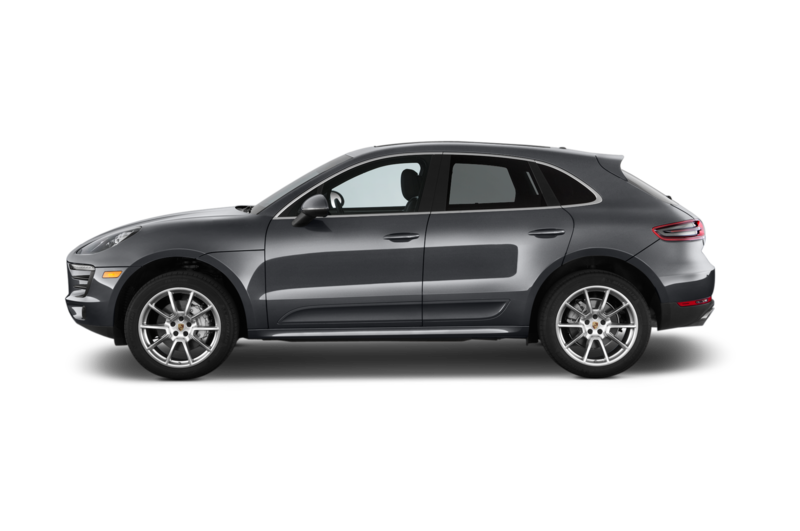 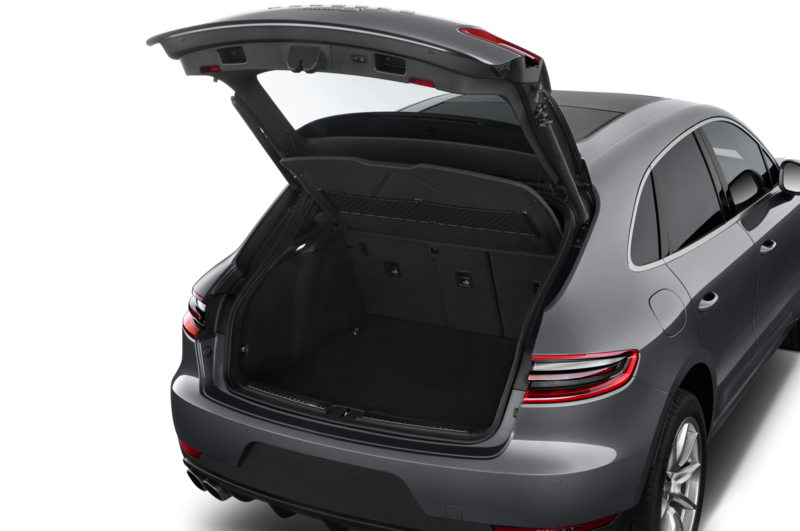 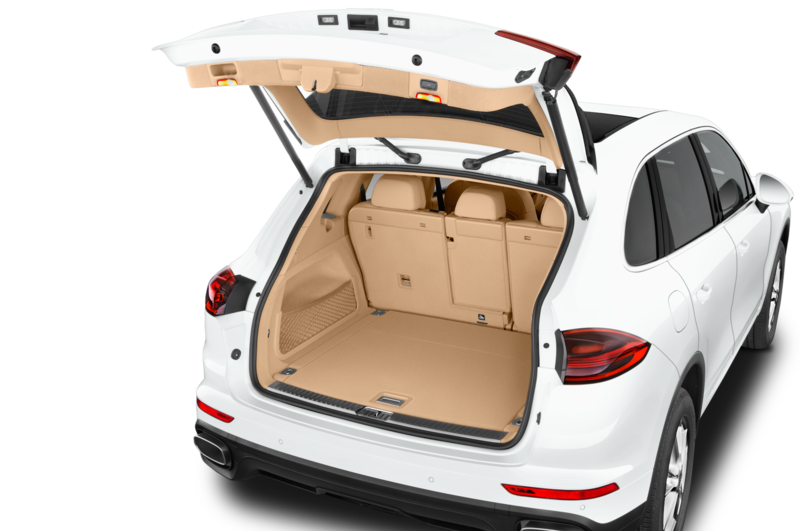 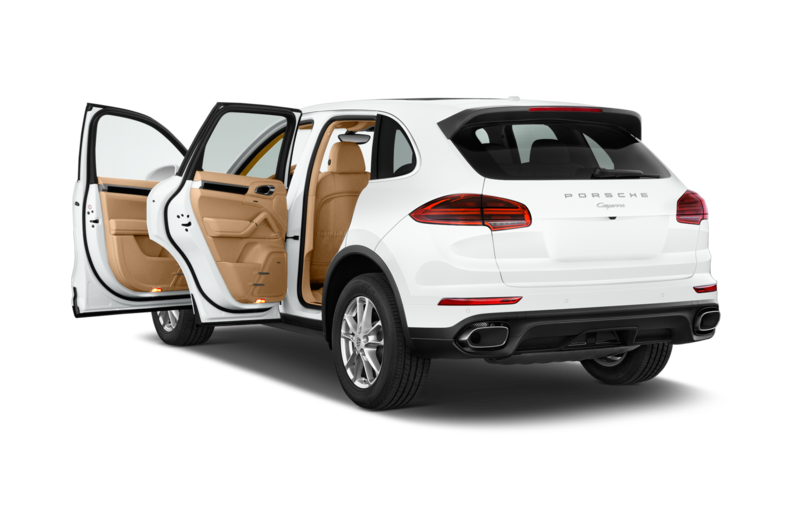 The engines in both new Carreras displace 3.0 liters and feature two fixed-vane turbos; the S enjoys slighter larger compressors and a whiff more boost. 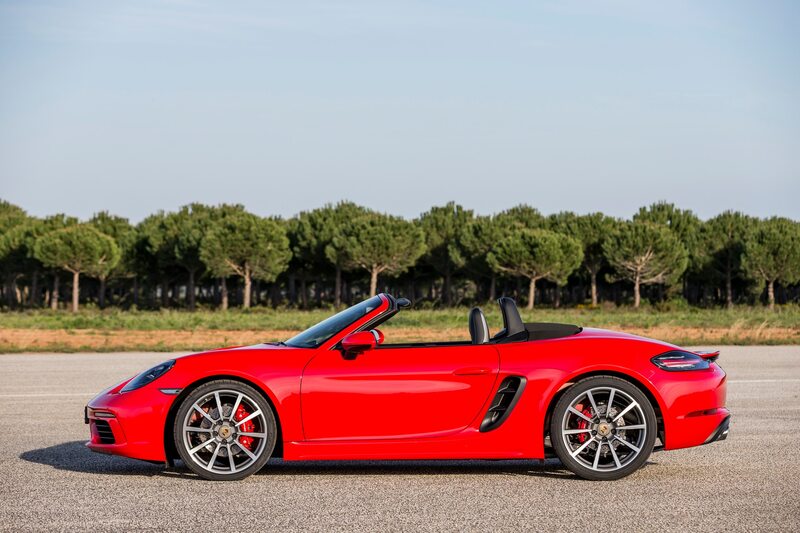 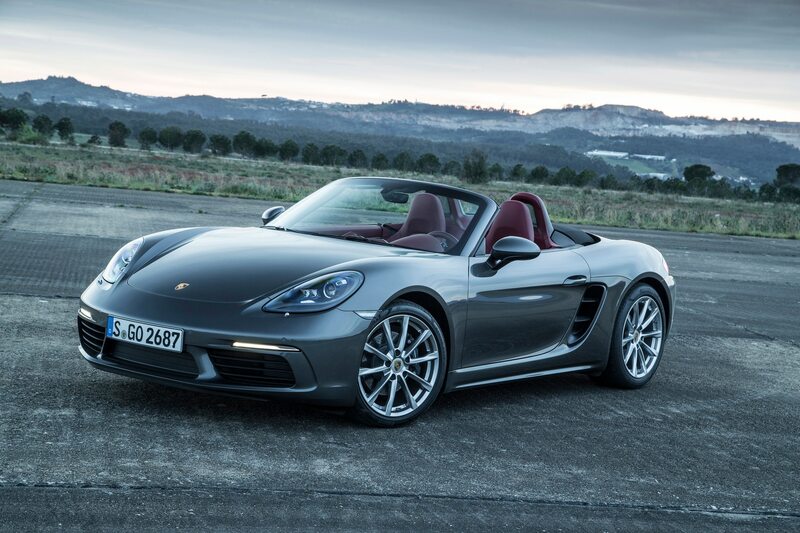 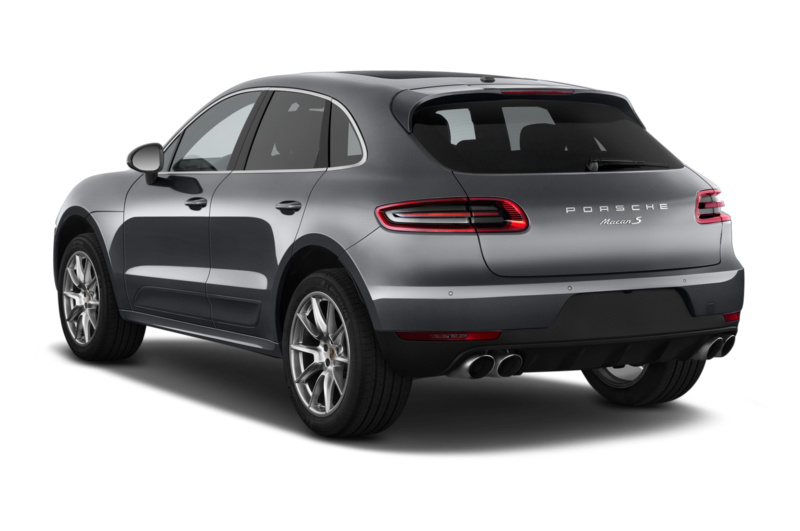 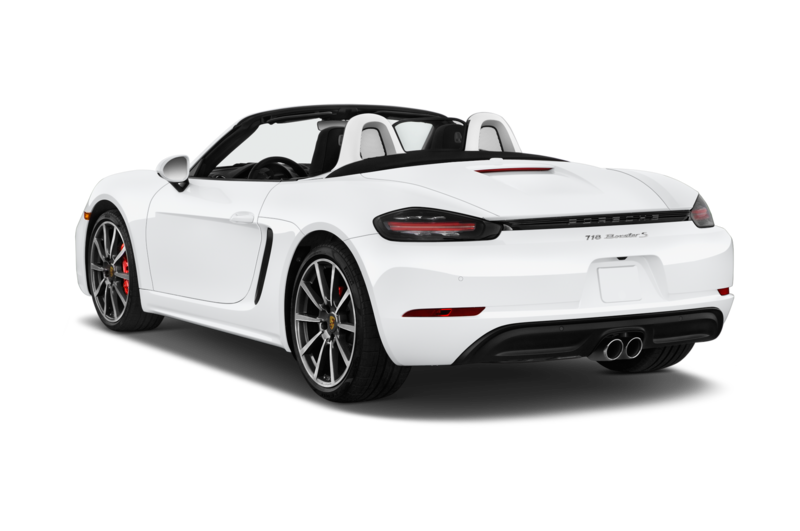 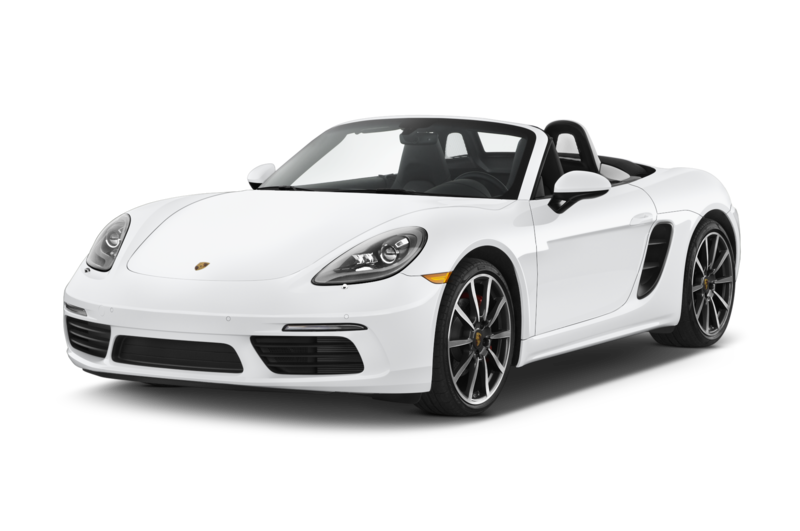 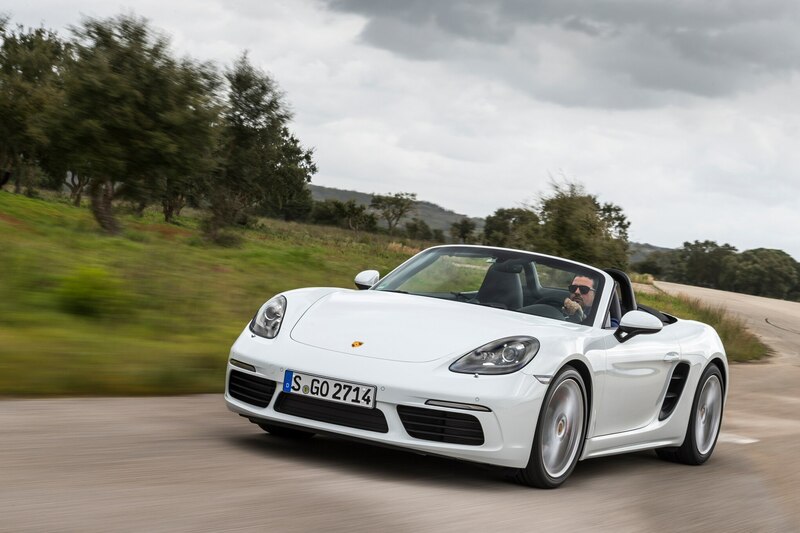 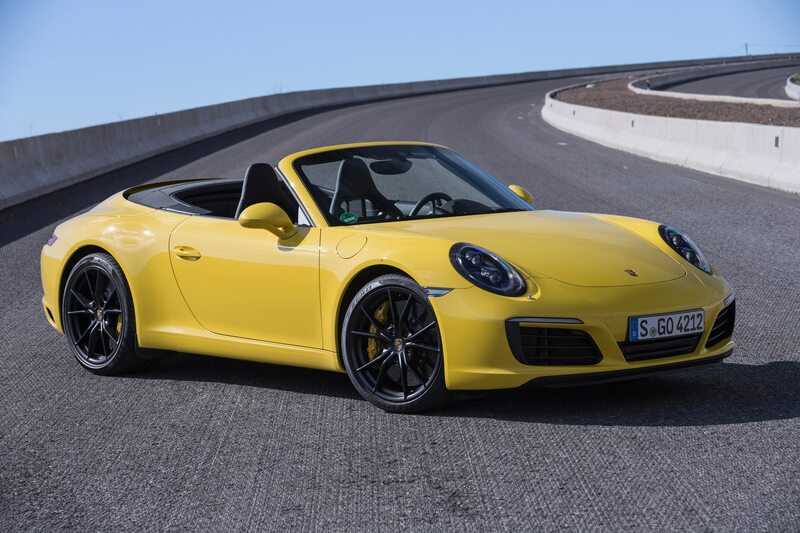 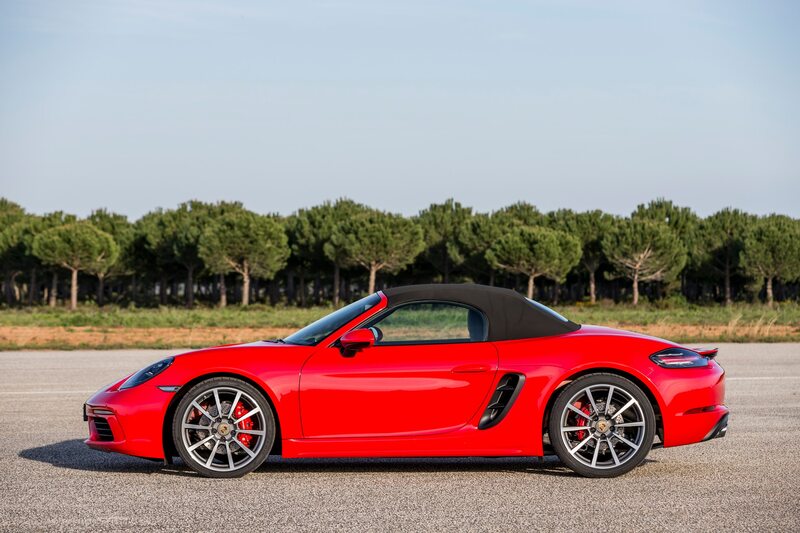 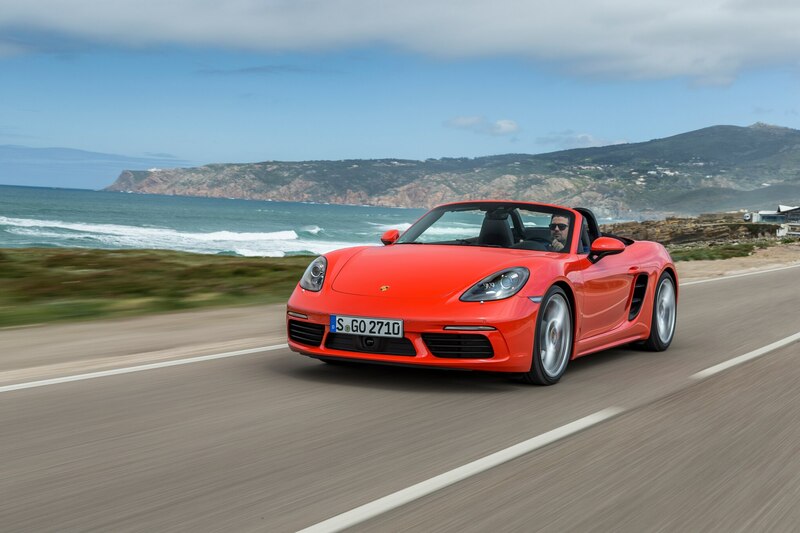 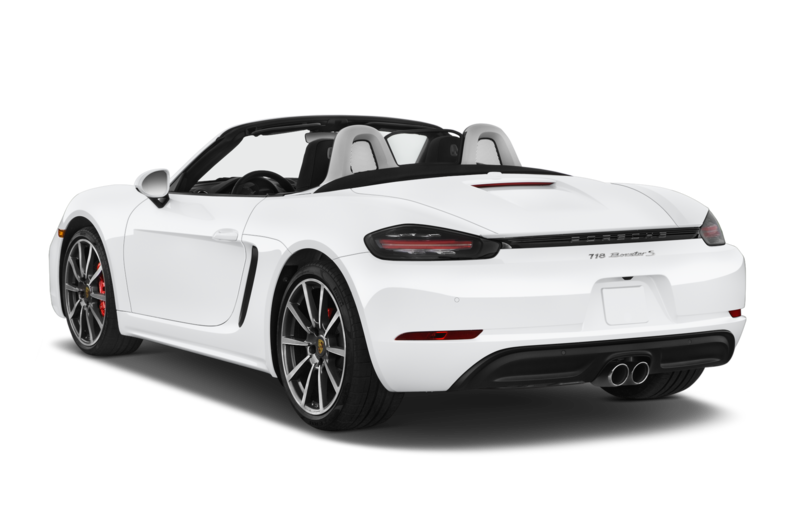 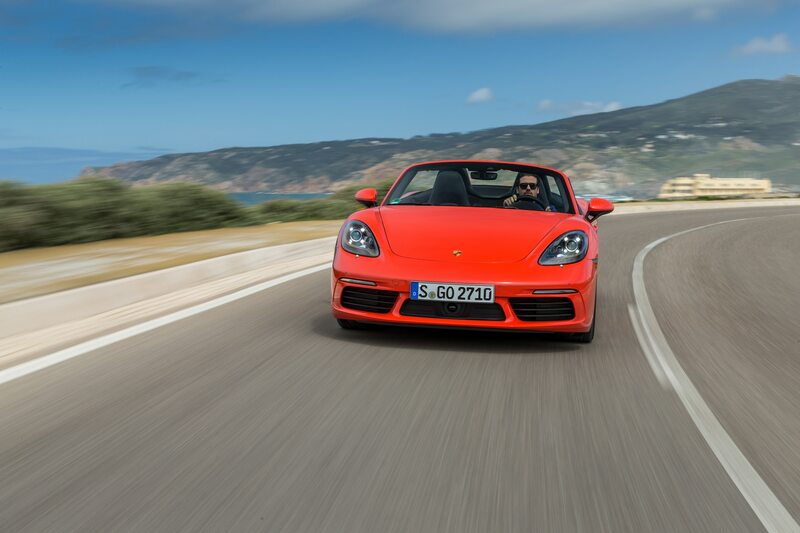 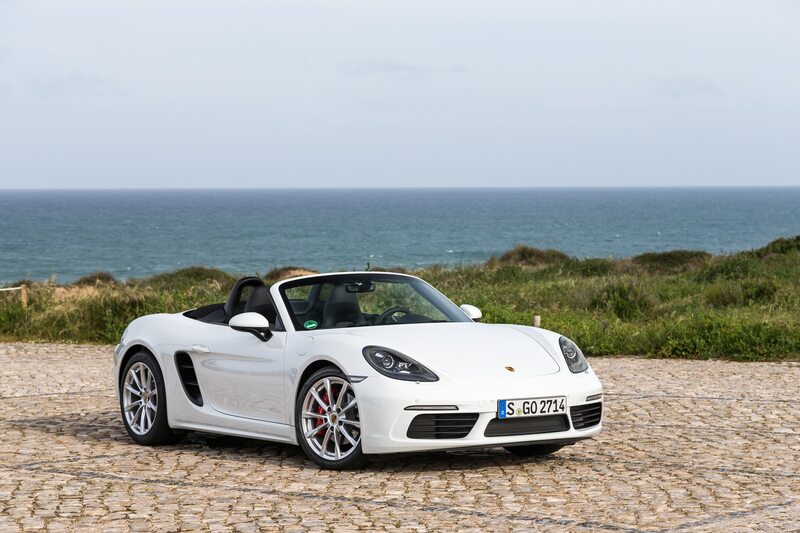 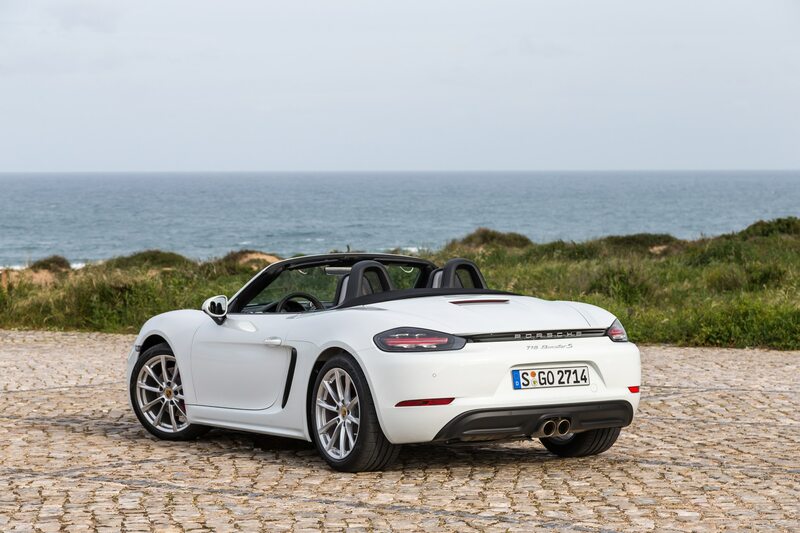 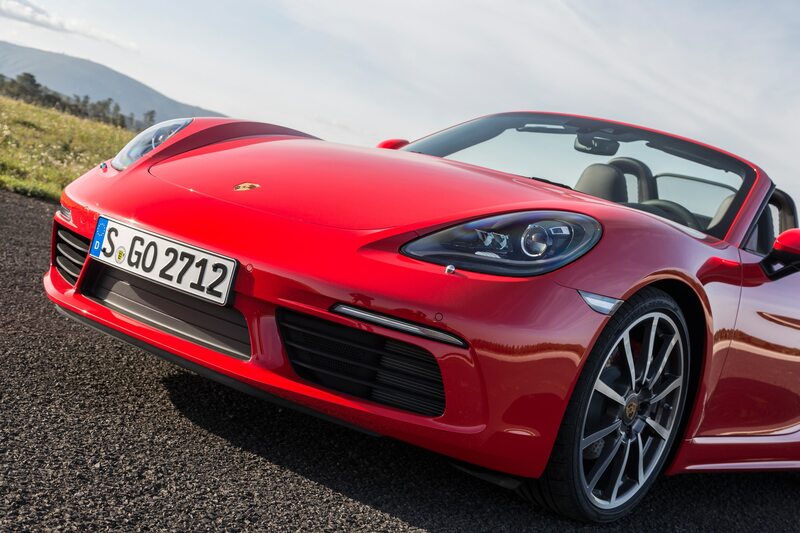 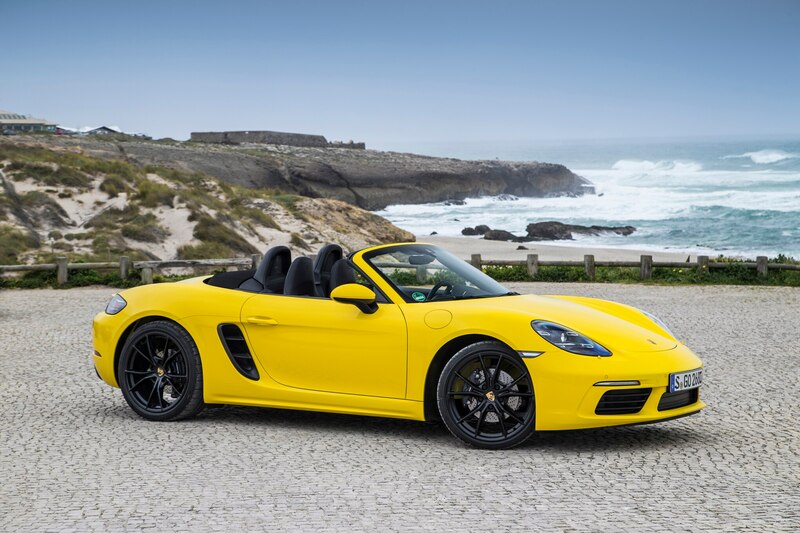 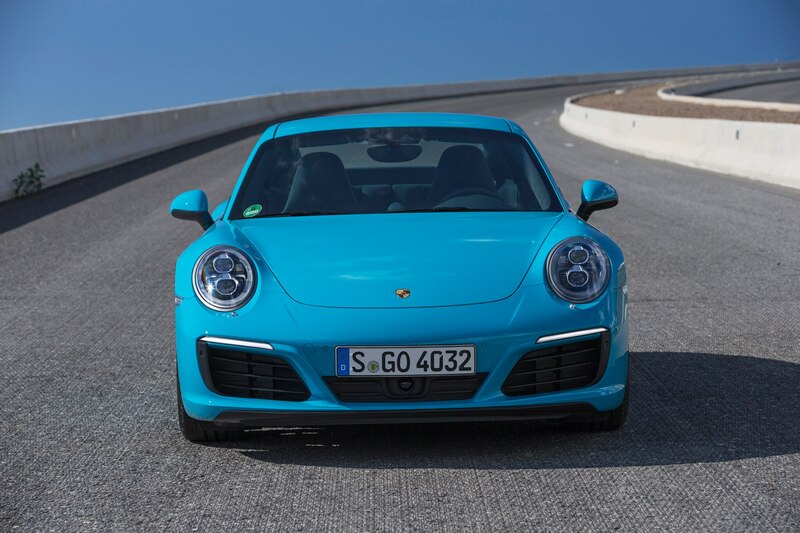 Output increases 20 horsepower in both models (the Carrera making 370 hp, the S 420 hp), while fuel efficiency is said to be improved by 12 percent (final EPA figures are still to be determined). 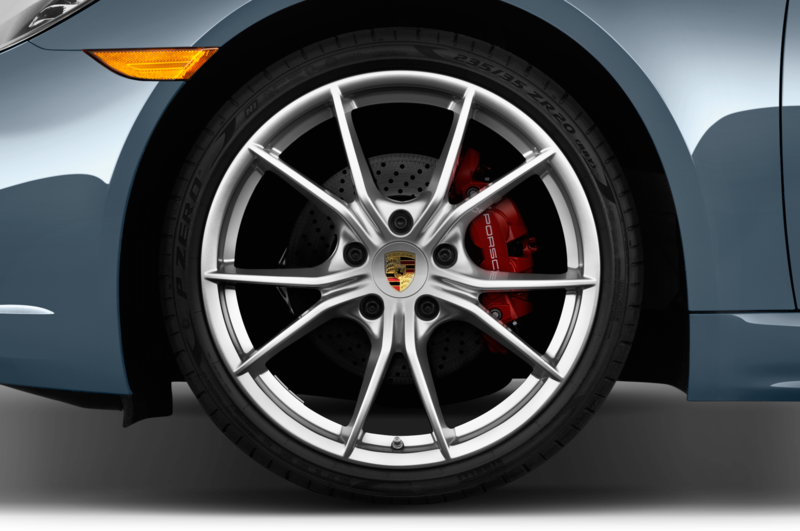 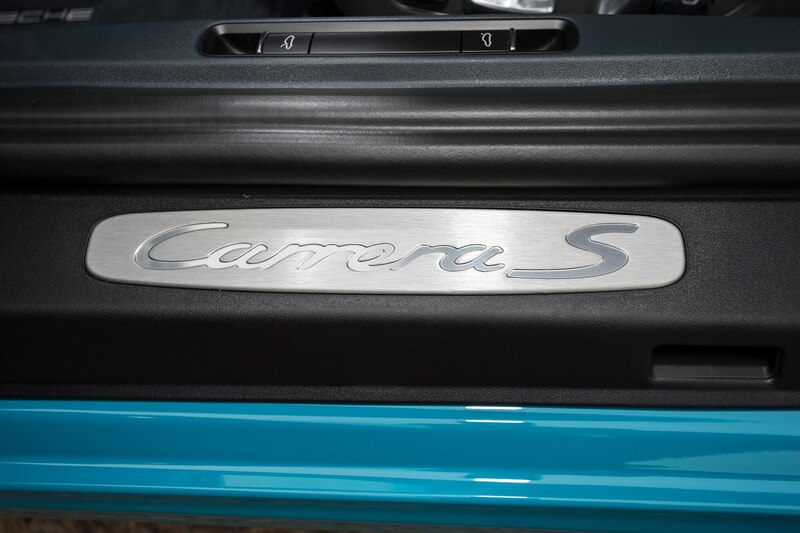 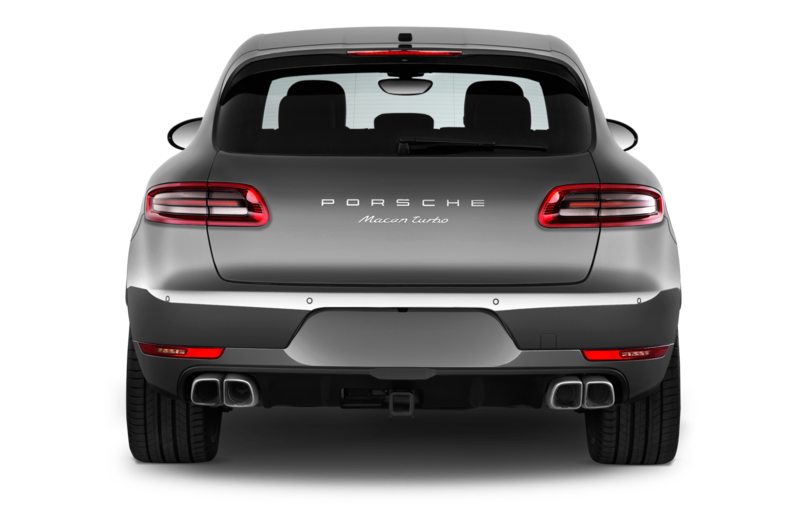 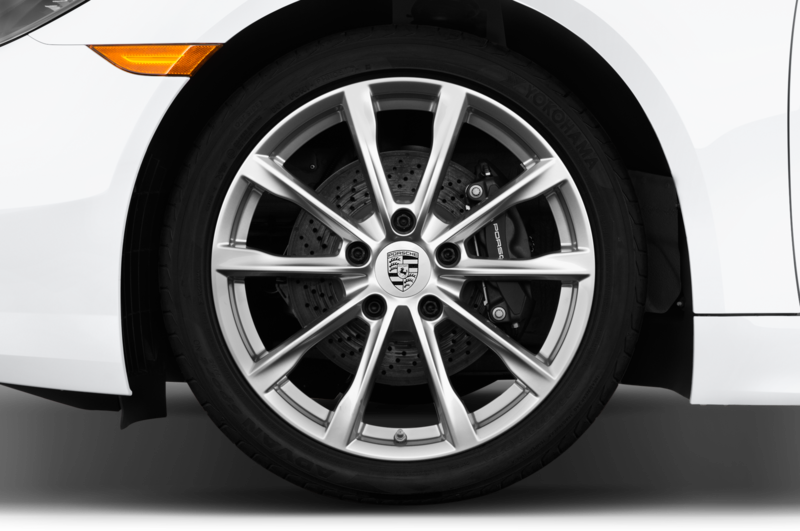 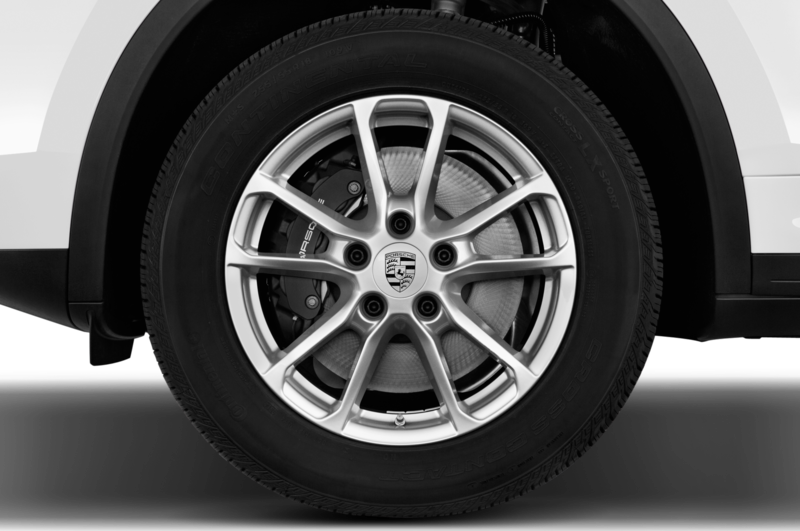 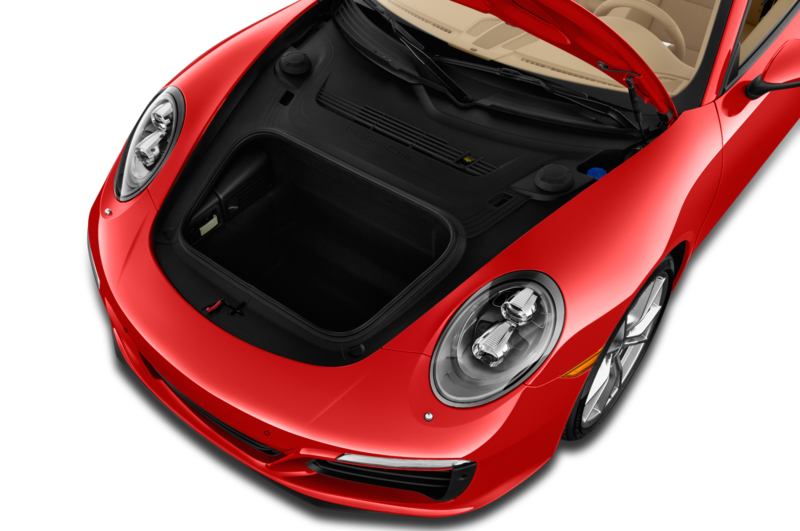 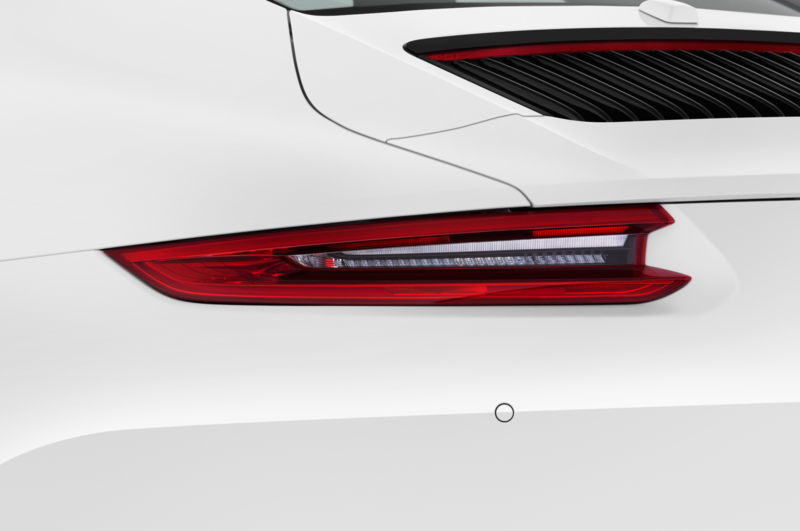 Perhaps most significant torque increases on the base Carrera by 44 lb-ft (to 331 lb-ft) and on the Carrera S by 43 (to 368 lb-ft). 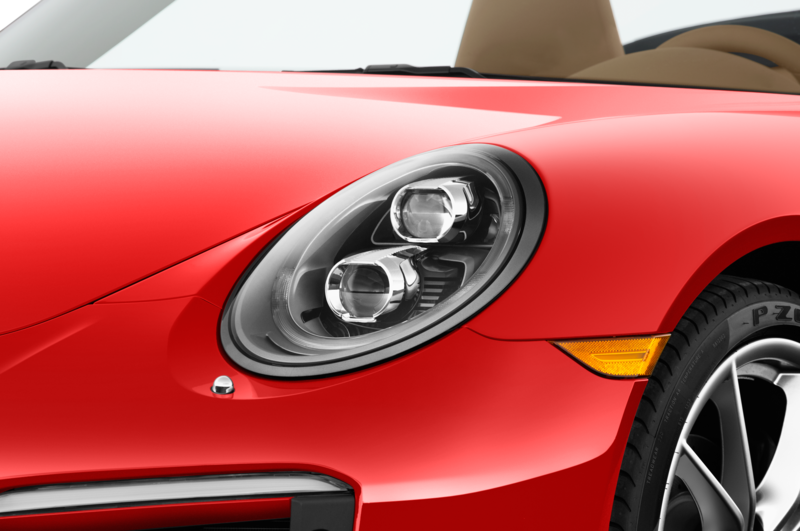 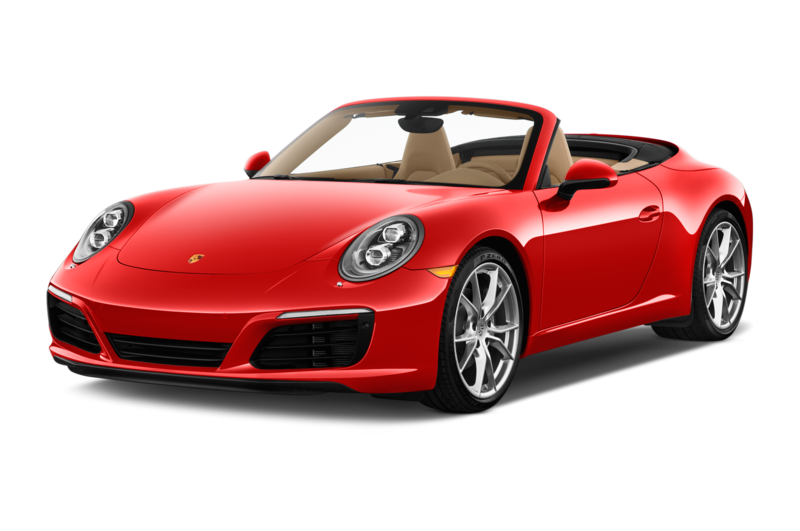 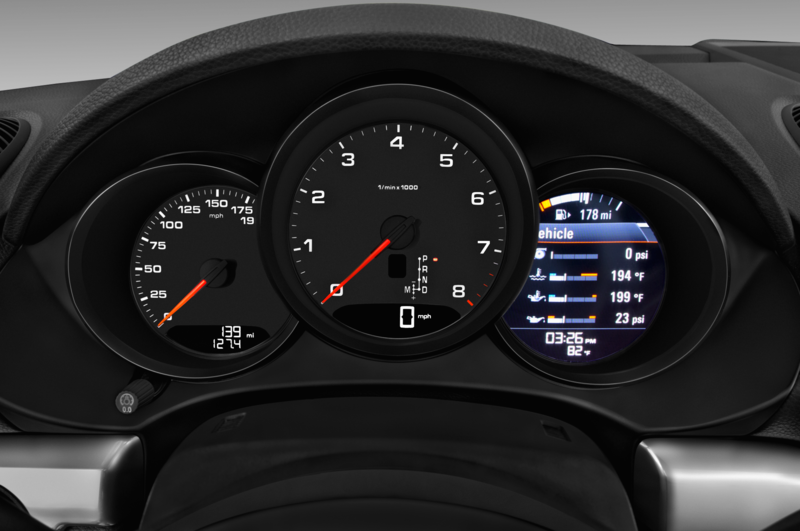 Despite the addition of pressure cookers, though, the 911 is still capable of synapse-tingling revs: Redline is 7,500 rpm. 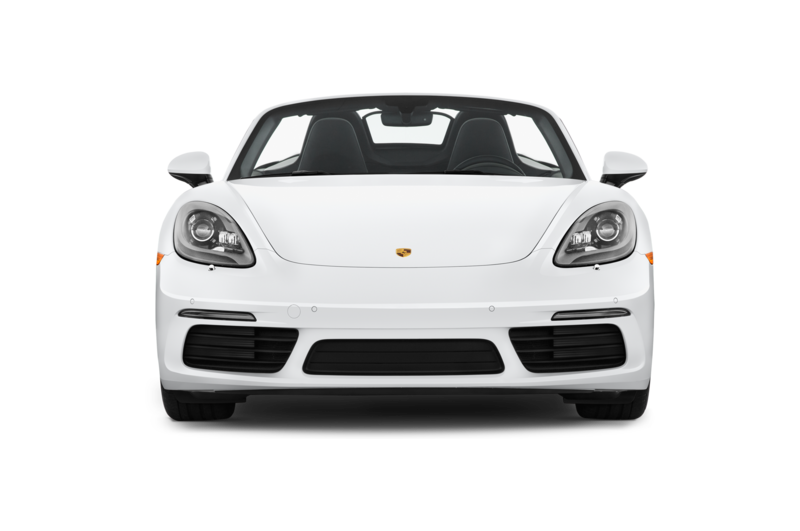 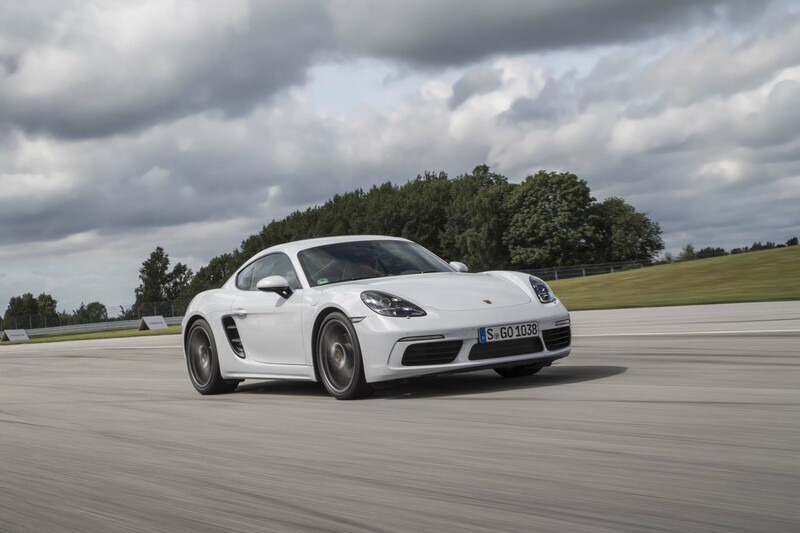 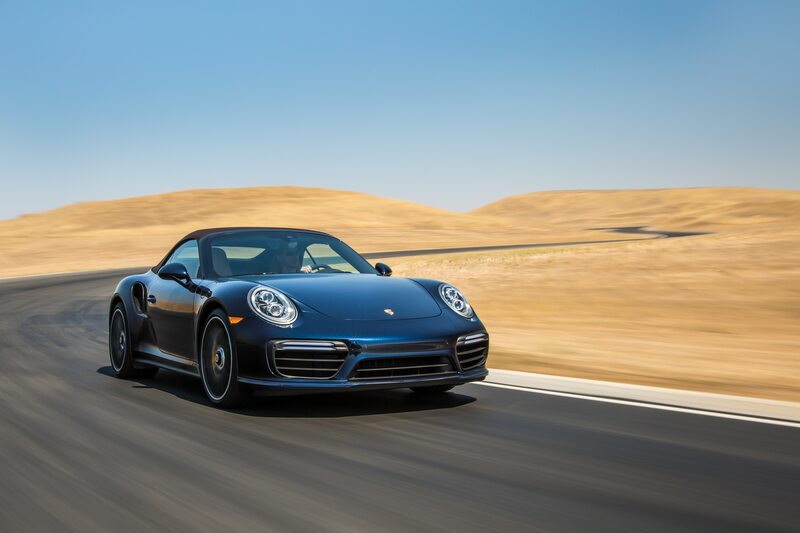 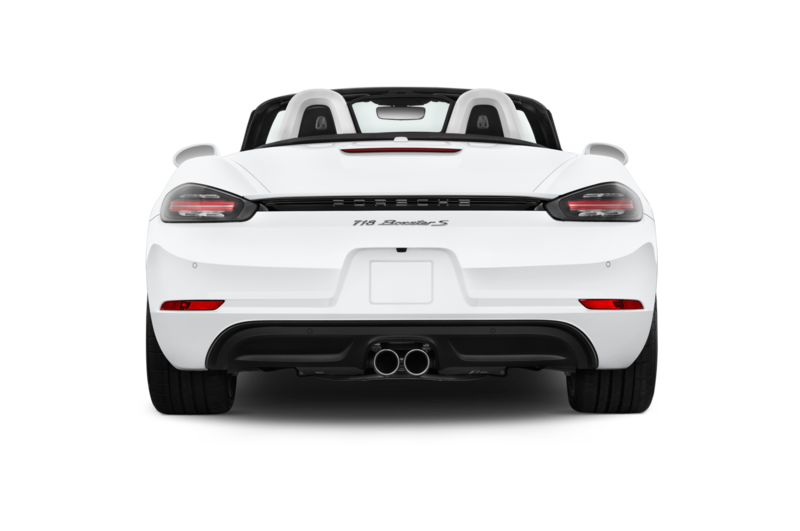 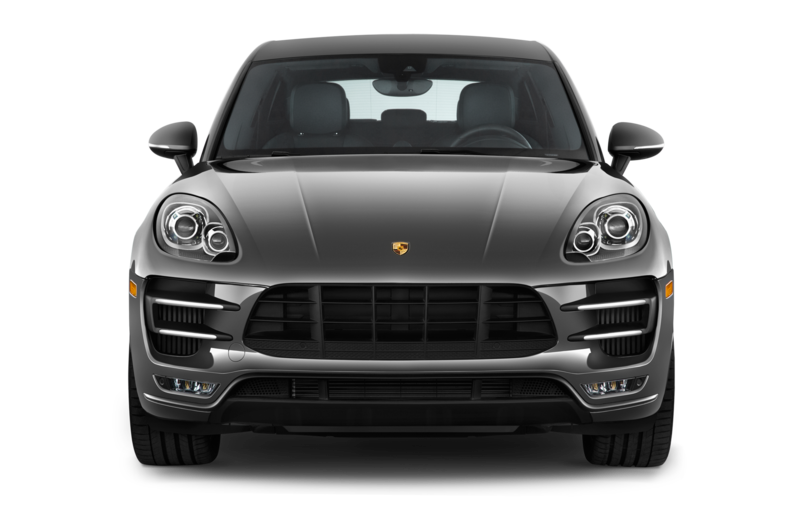 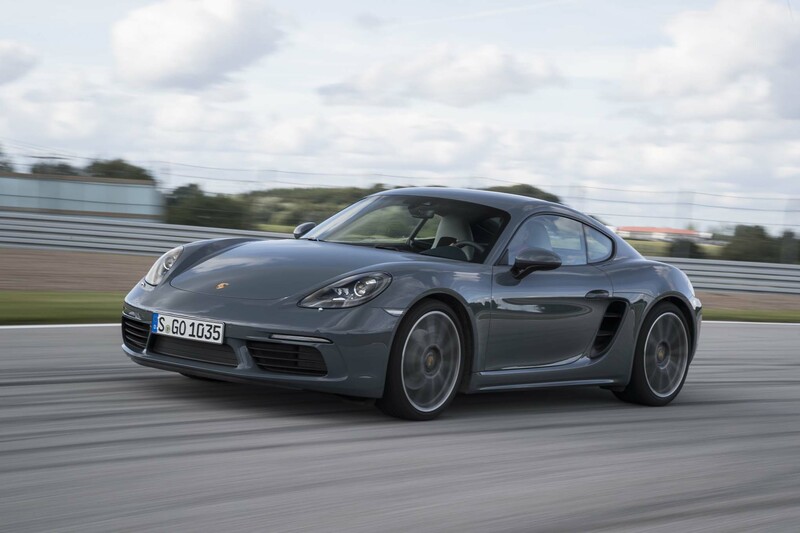 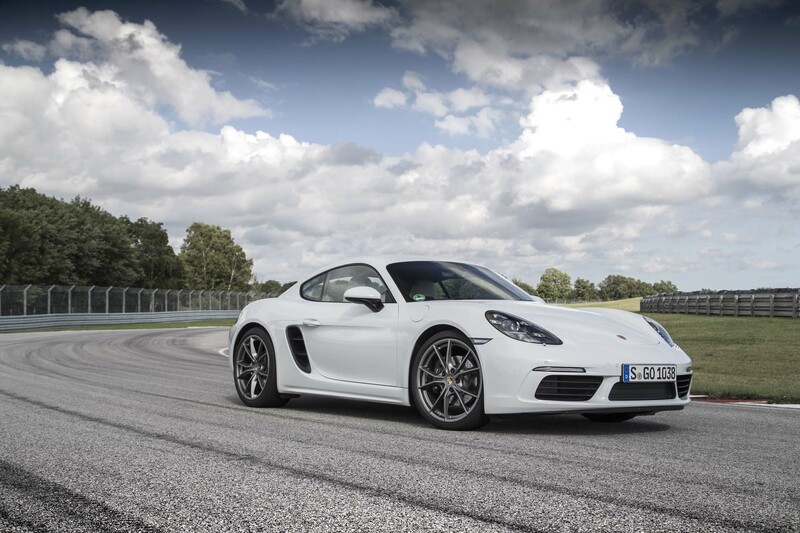 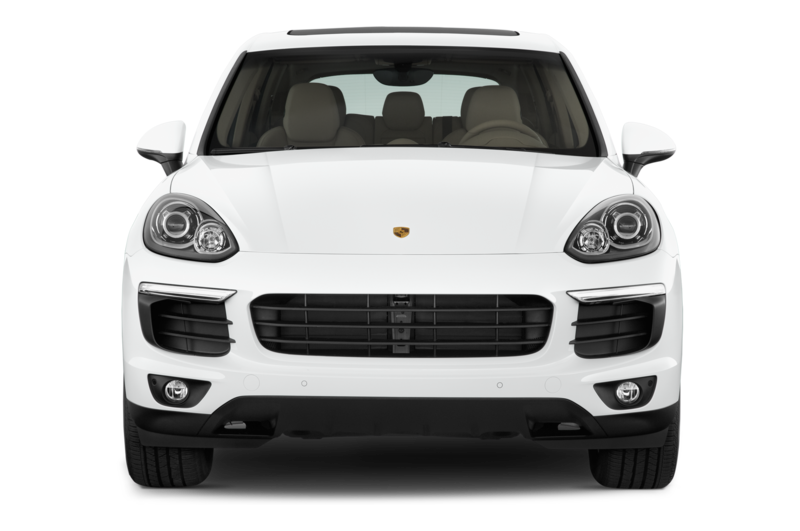 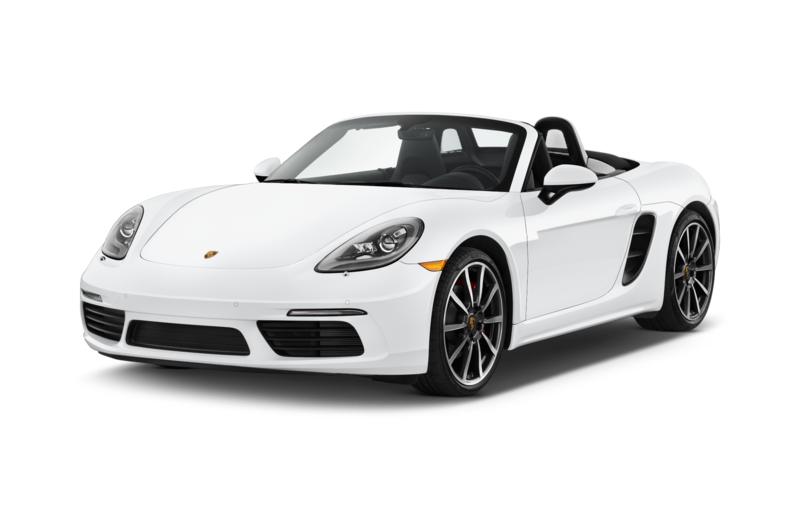 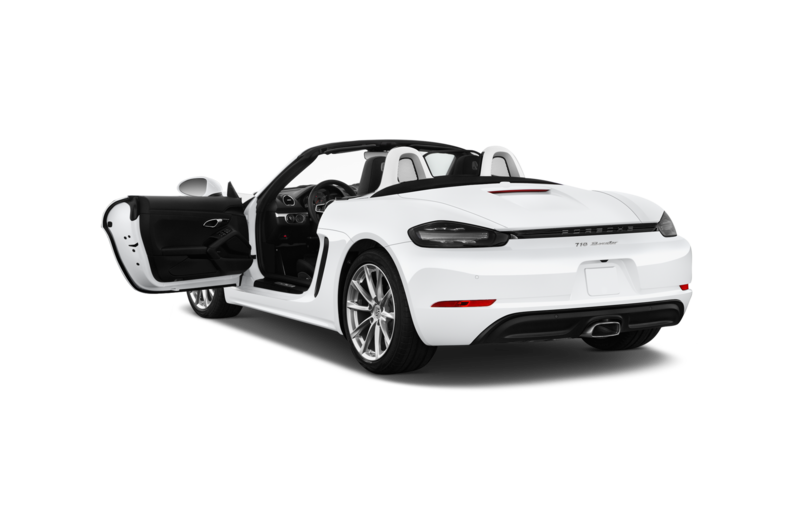 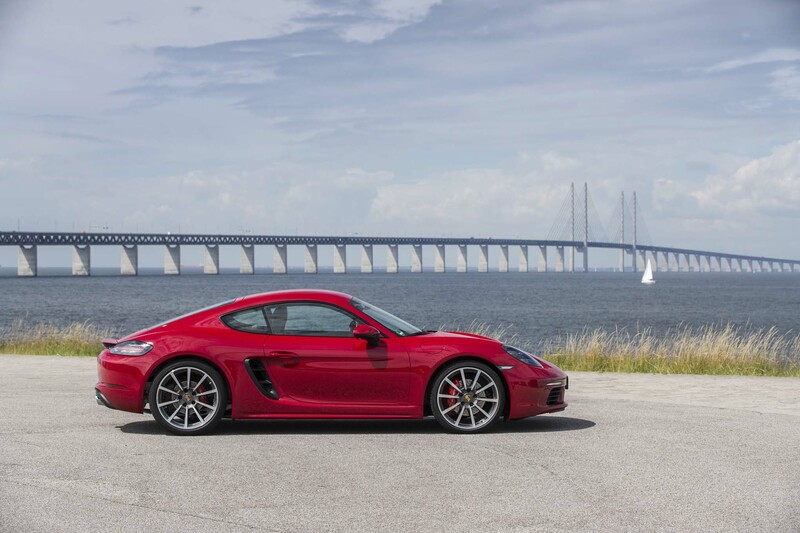 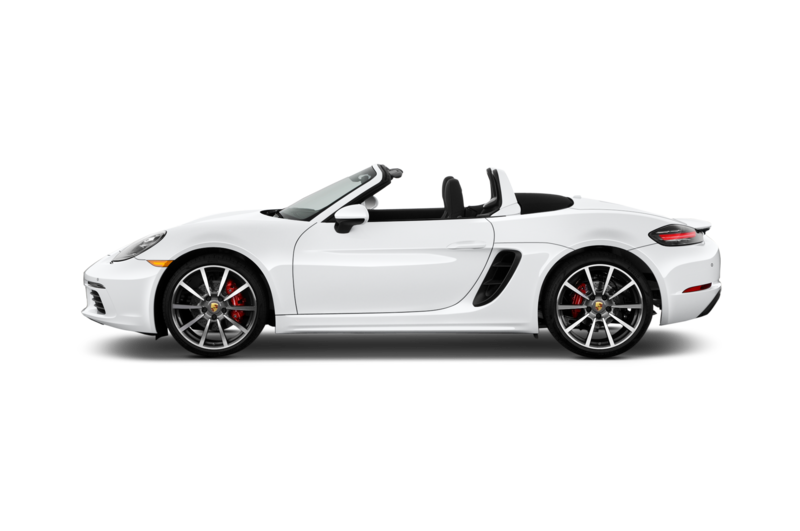 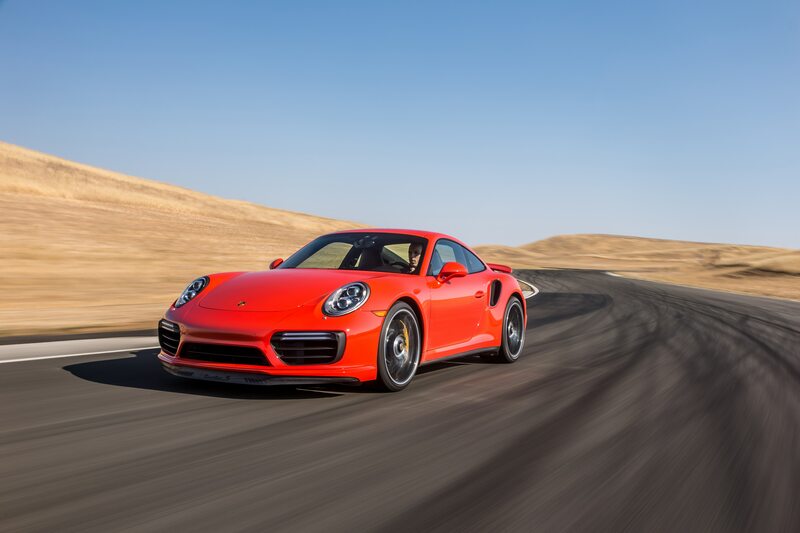 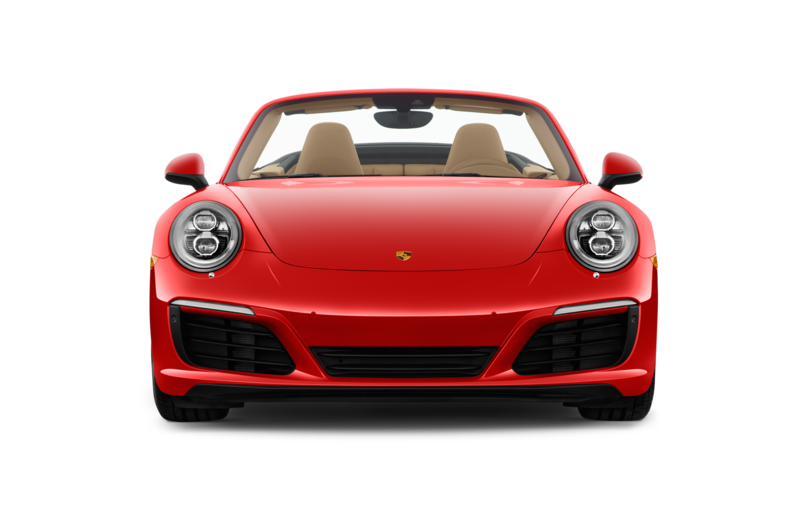 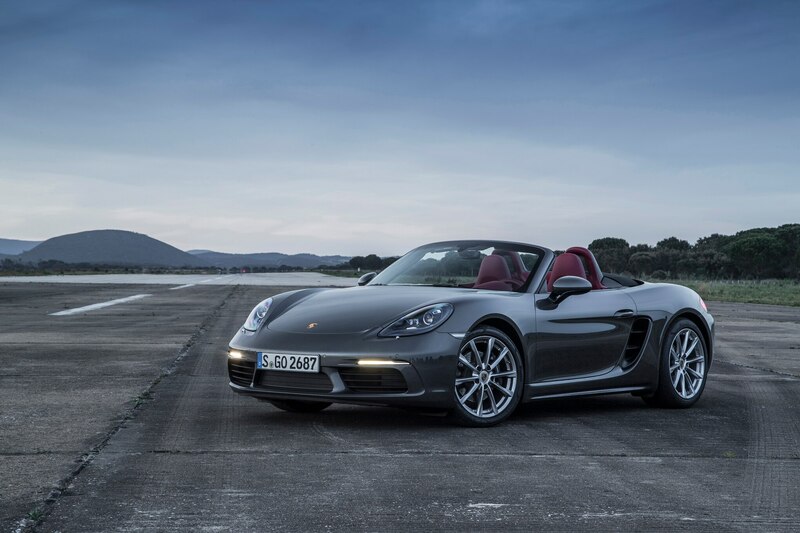 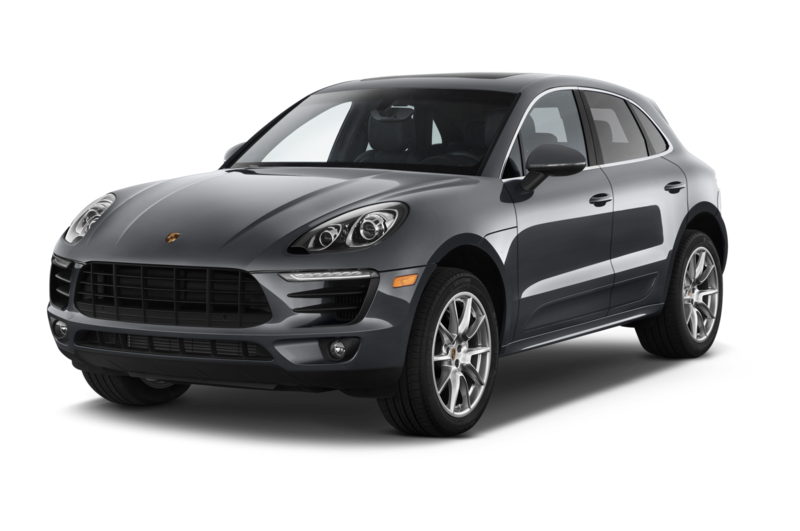 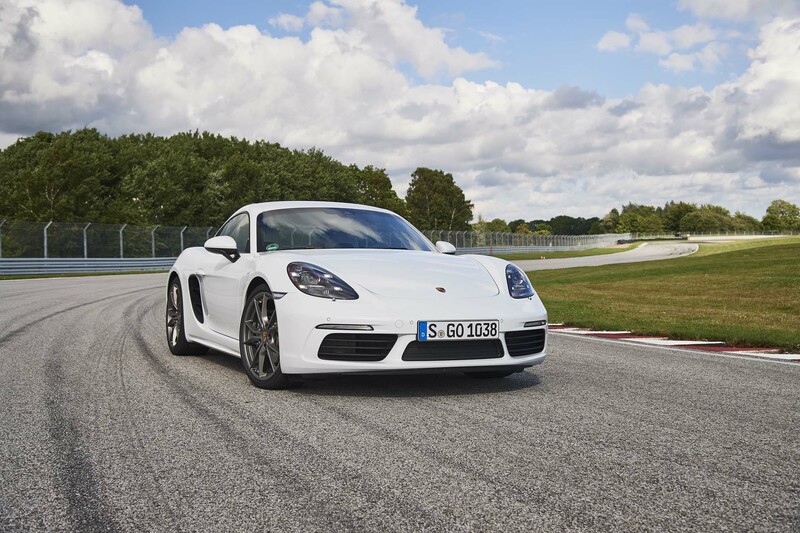 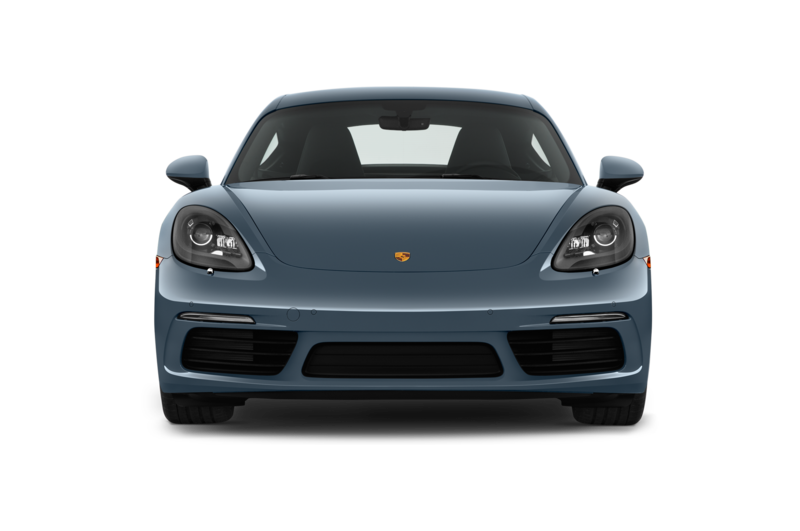 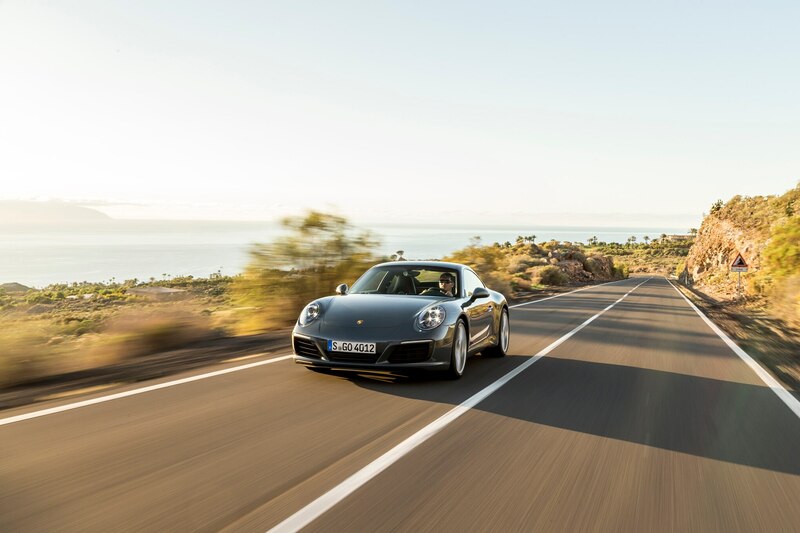 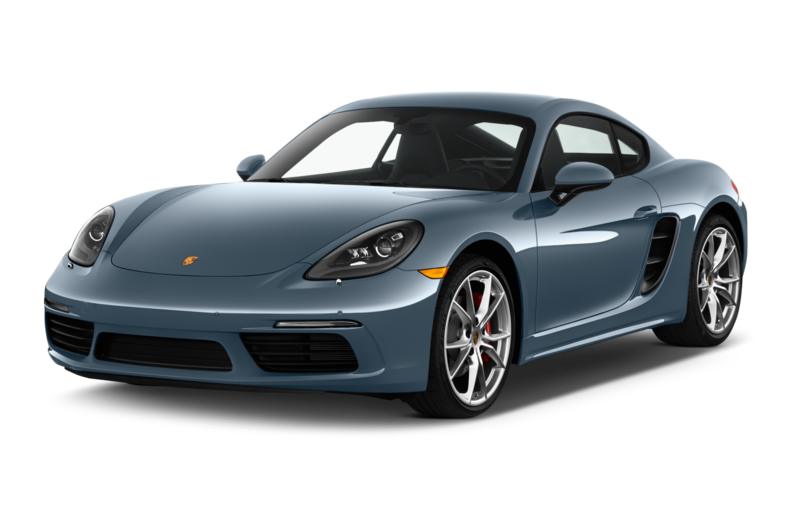 Porsche, always conservative in its performance figures, claims the base car, with standard seven-speed manual transmission, can reach 60 mph in 4.4 seconds and achieve a top speed of 183 mph. 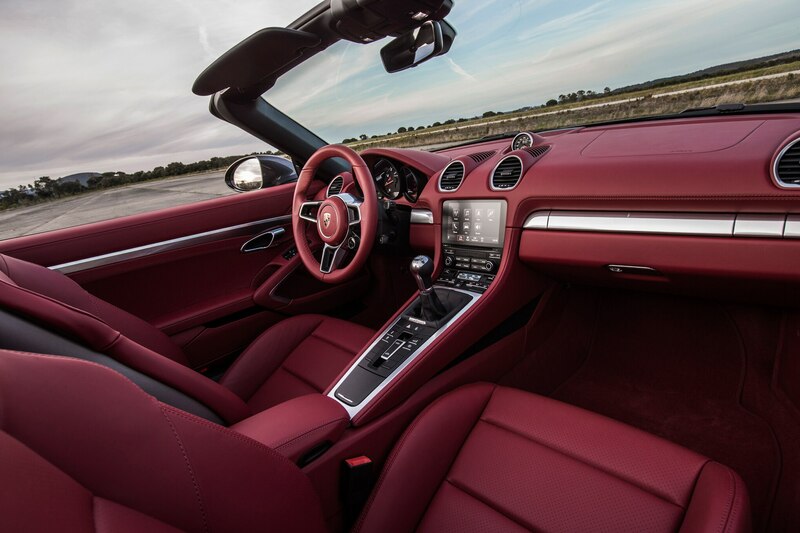 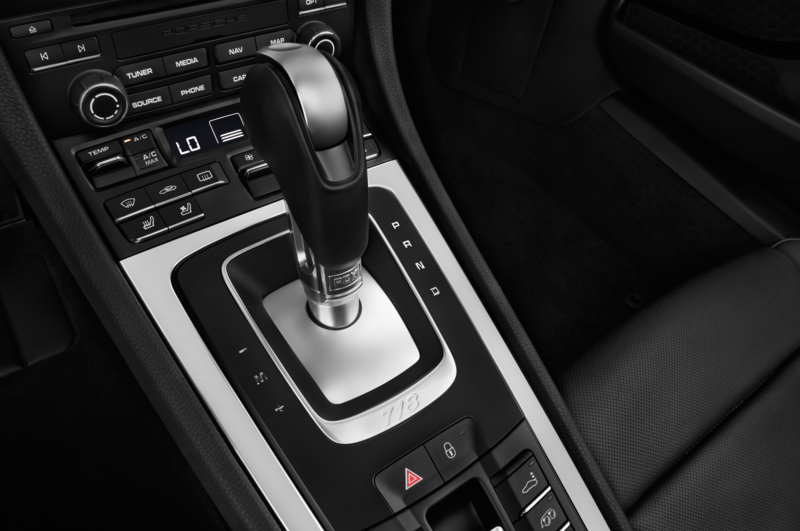 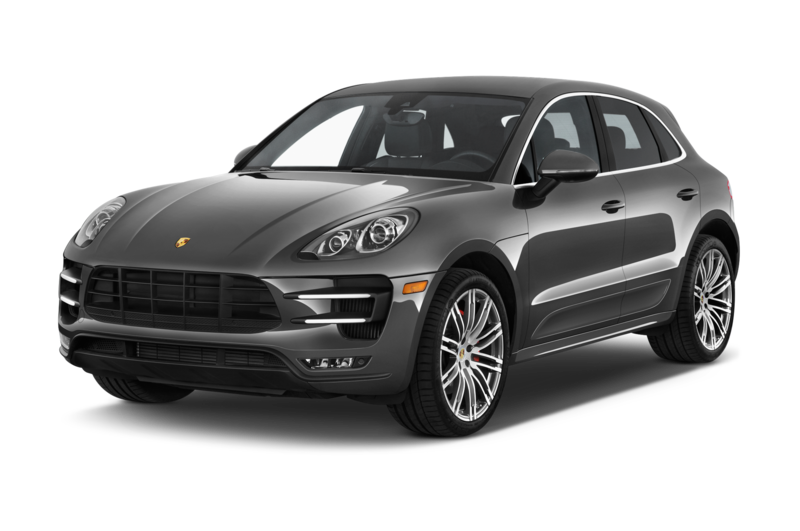 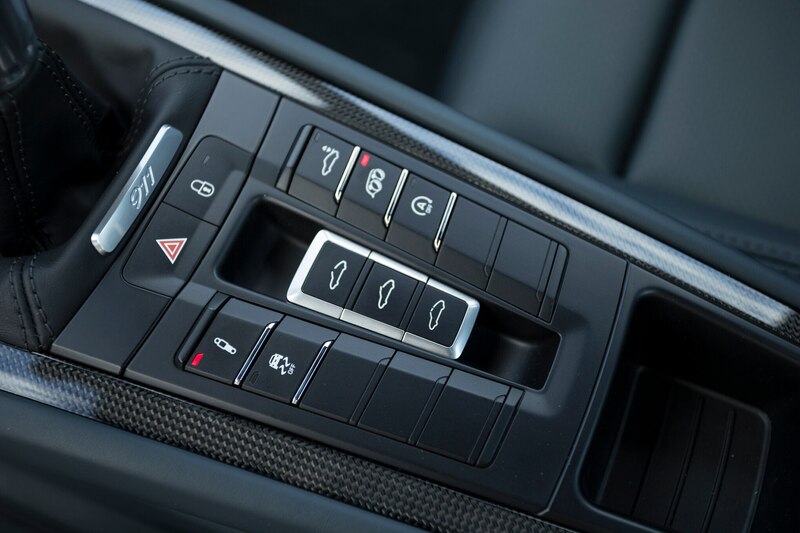 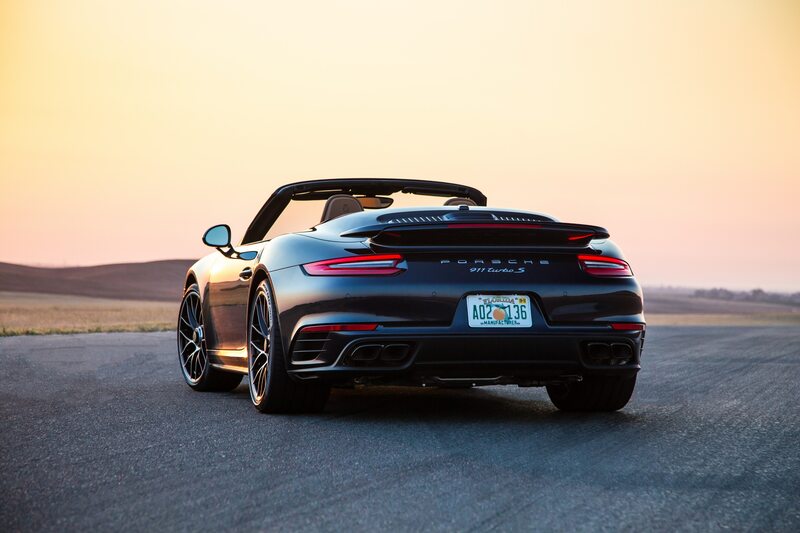 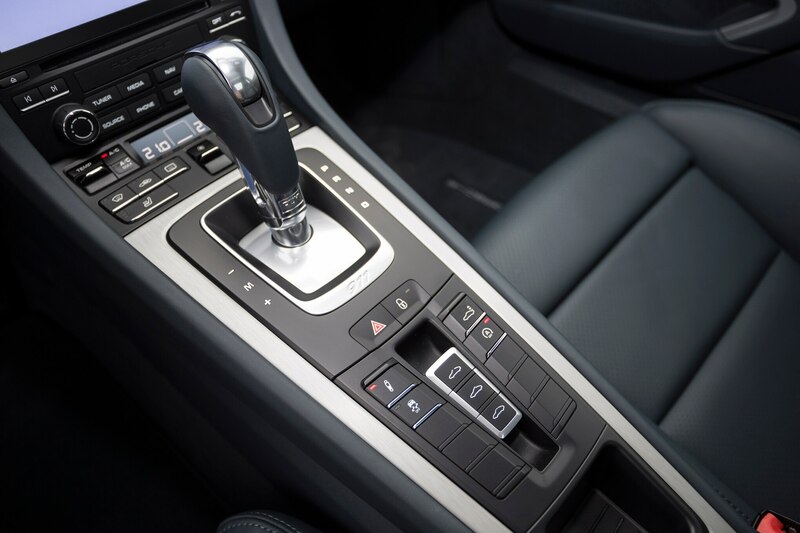 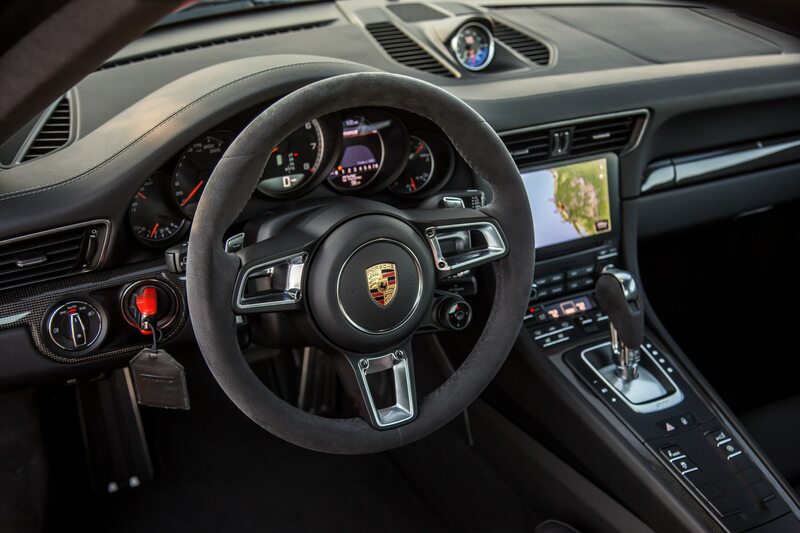 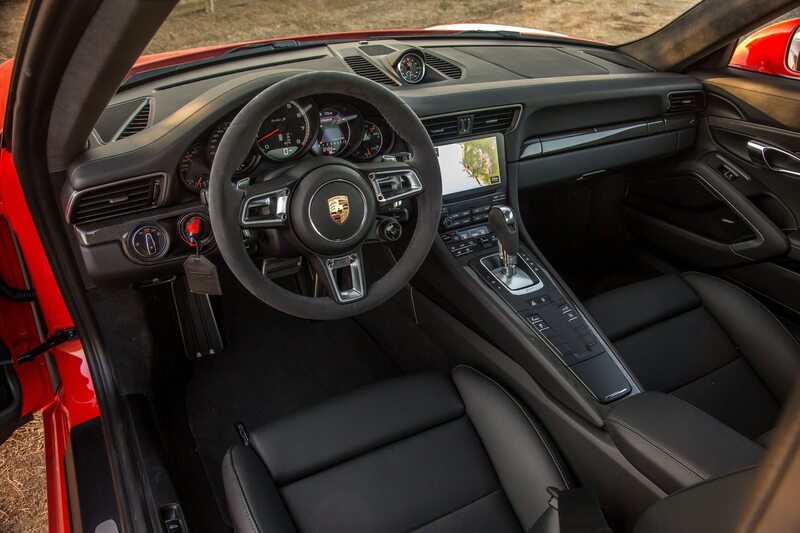 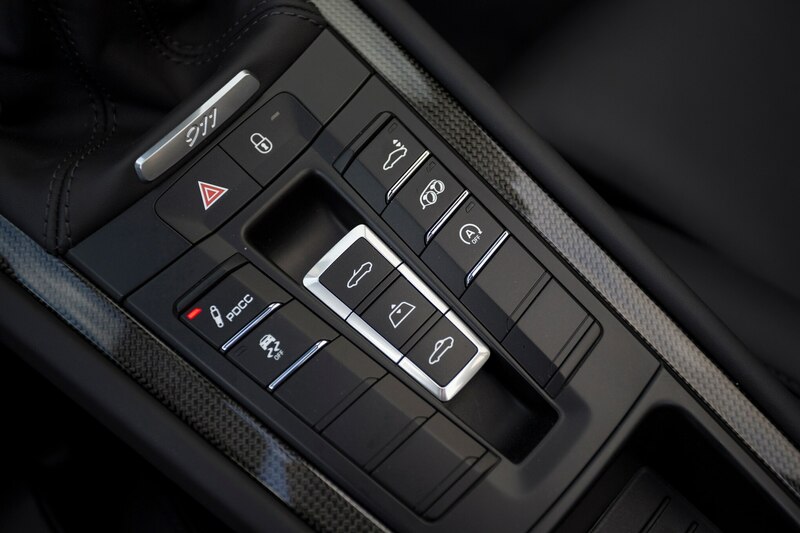 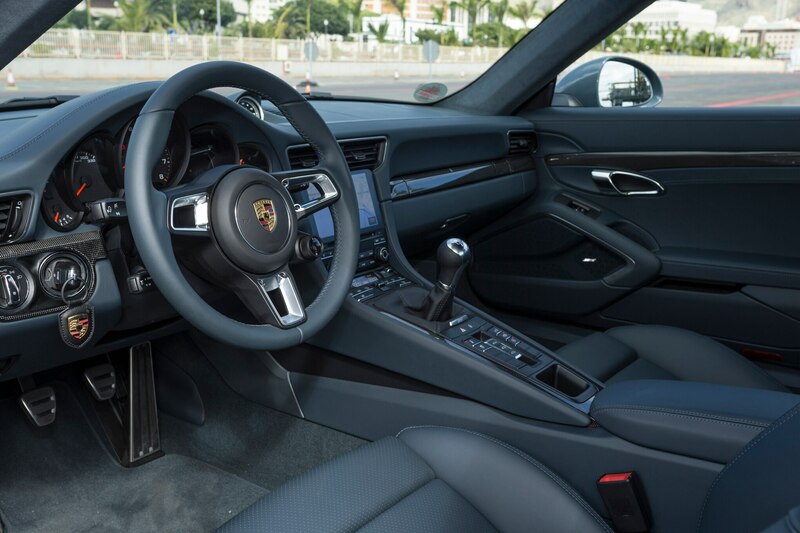 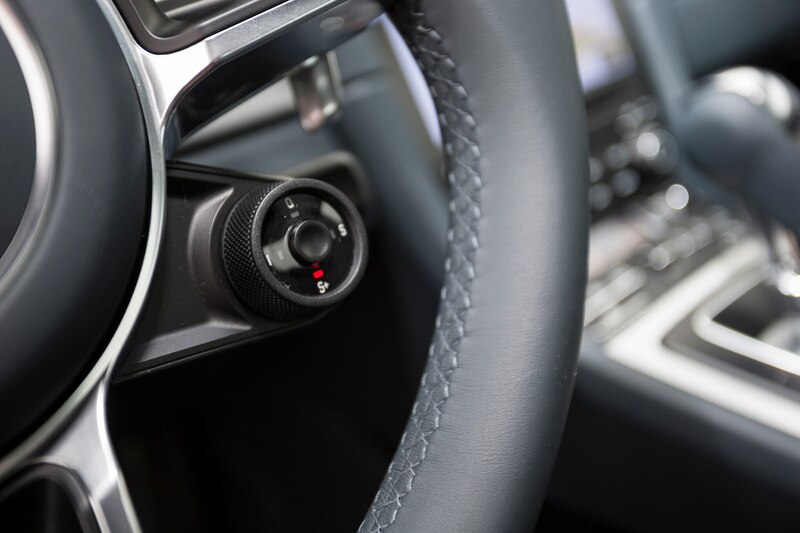 With the seven-speed PDK manu-matic shifter and Sport Chrono package, the numbers are 4.0 seconds and 182 mph. 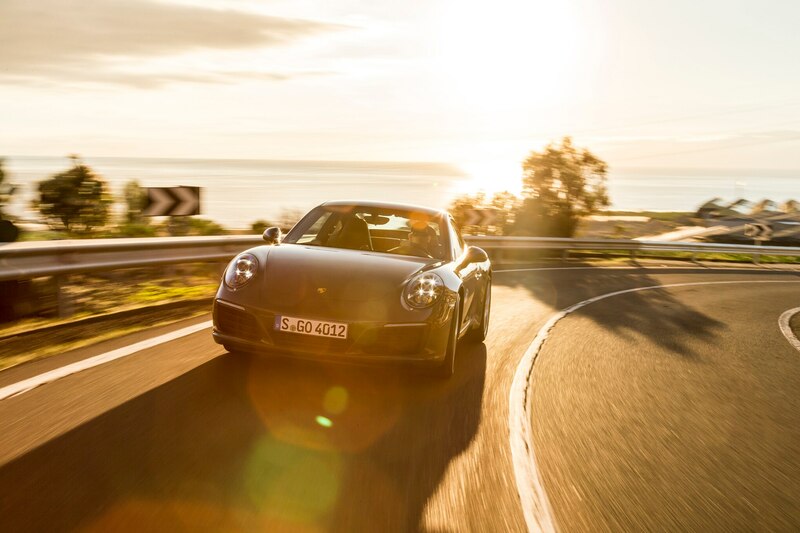 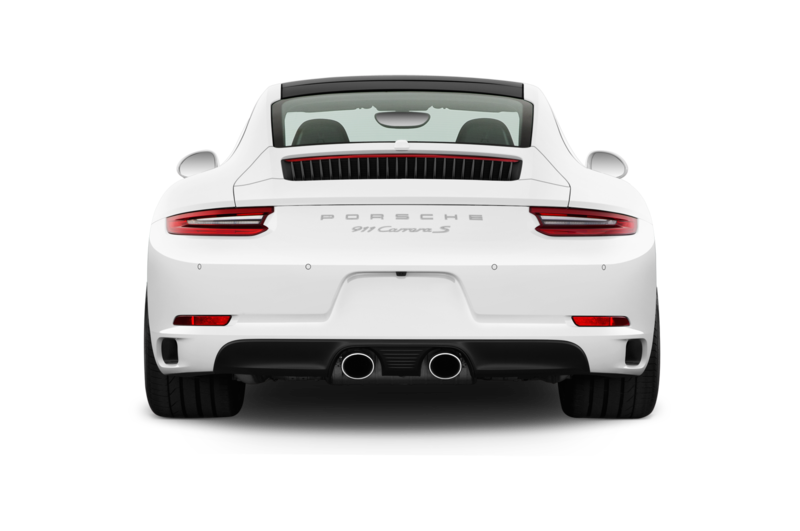 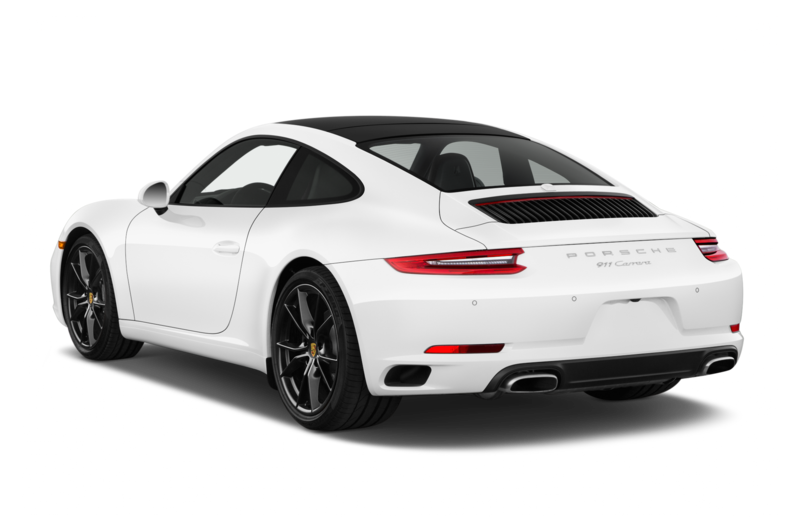 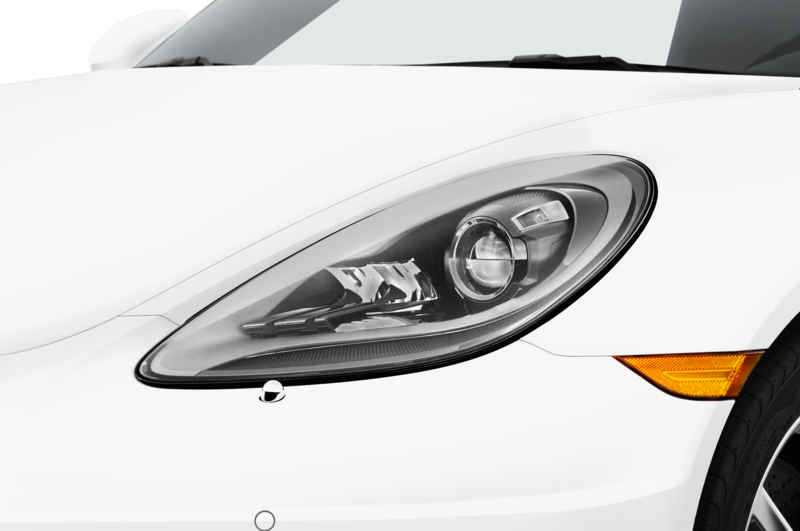 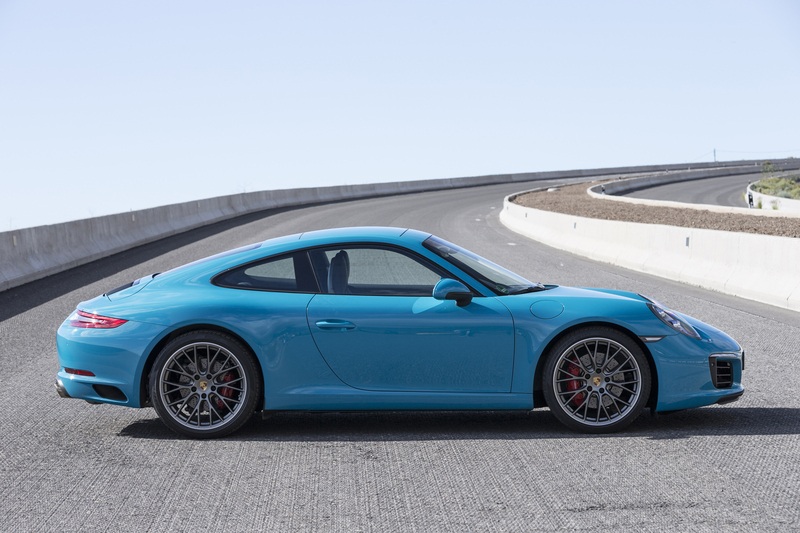 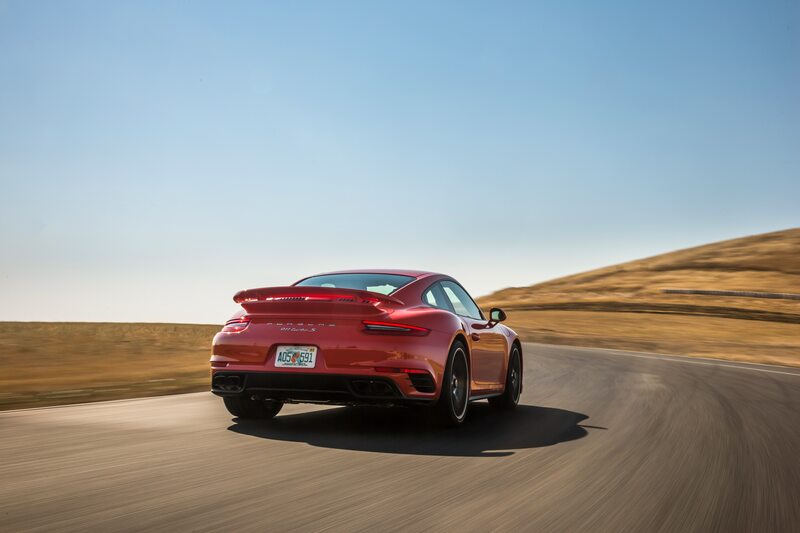 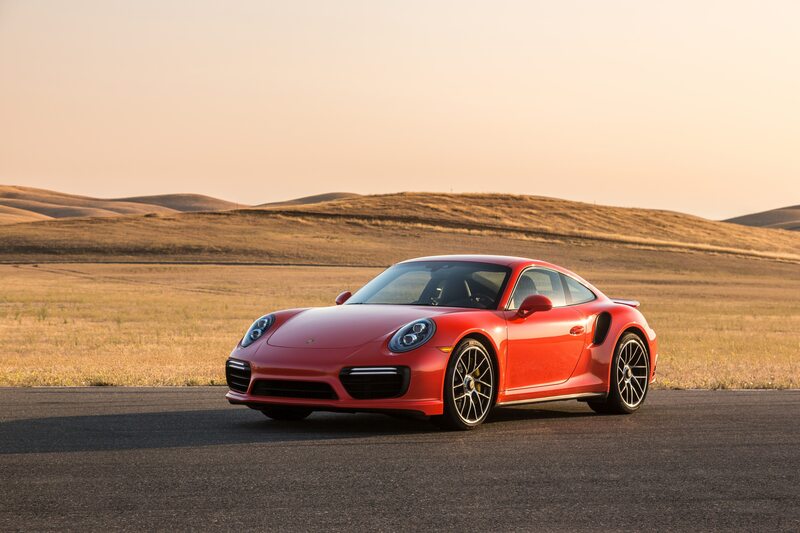 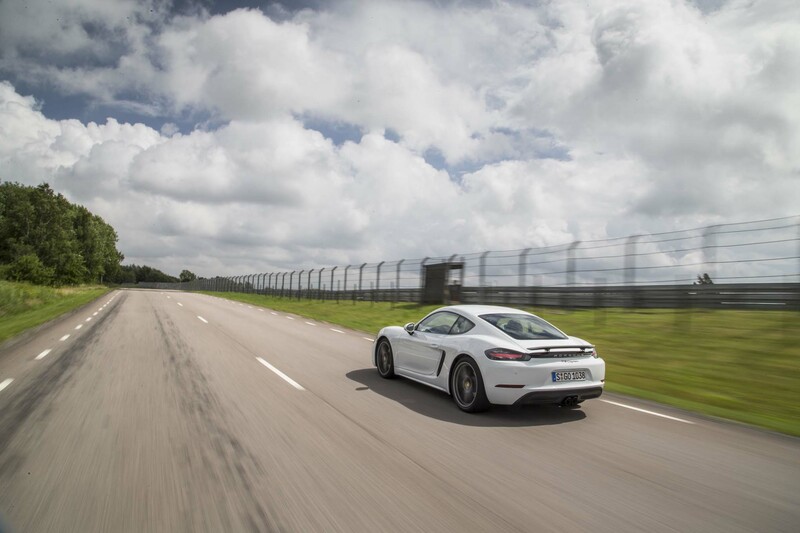 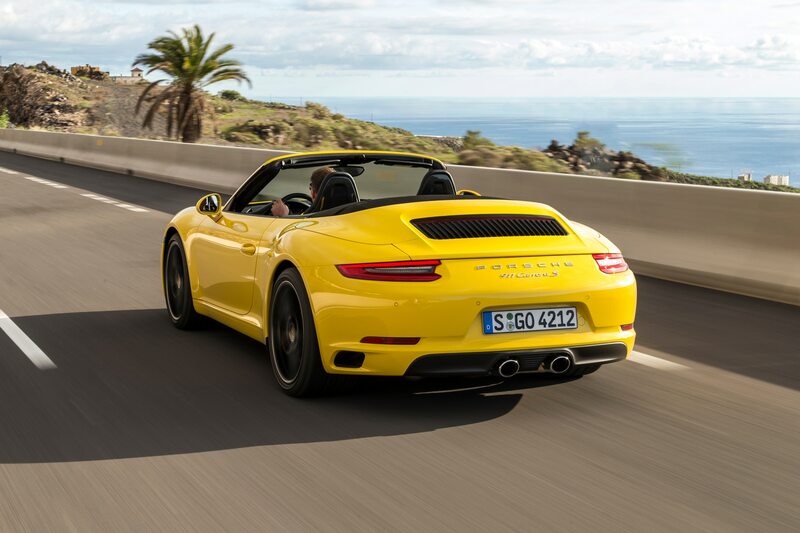 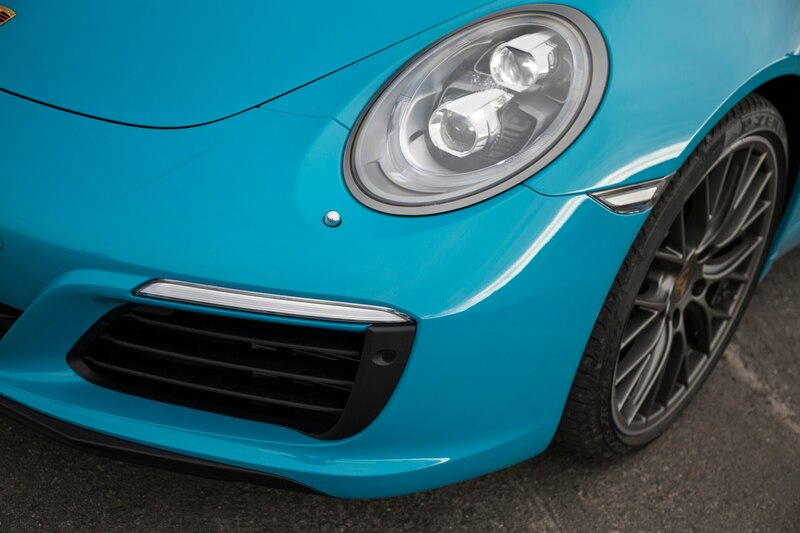 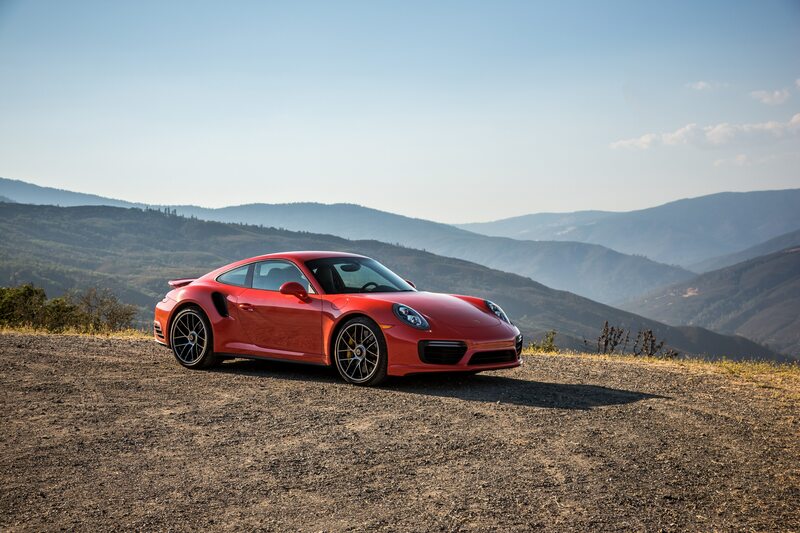 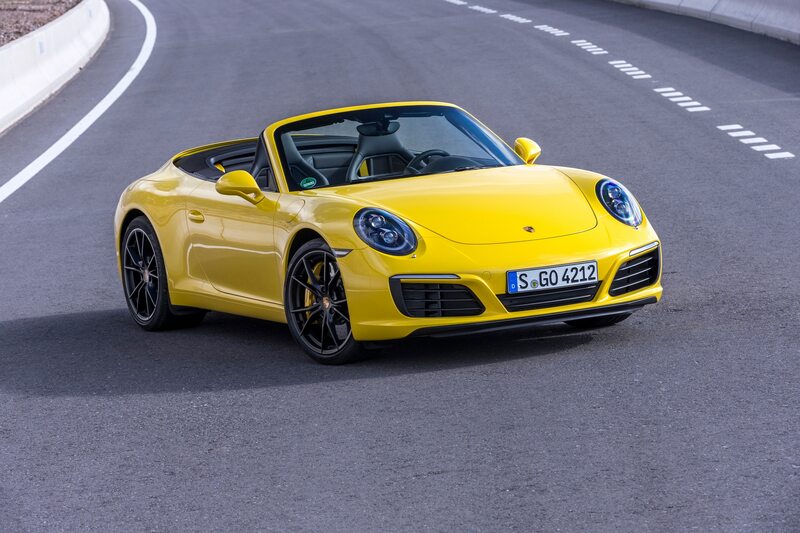 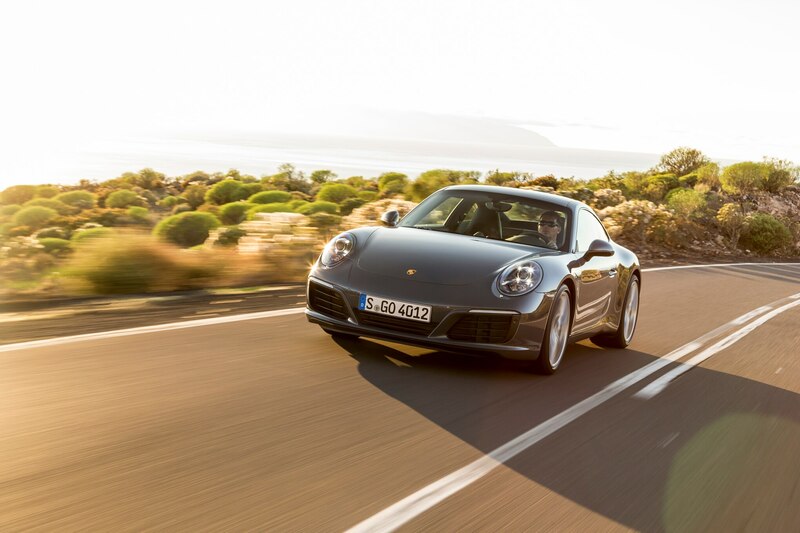 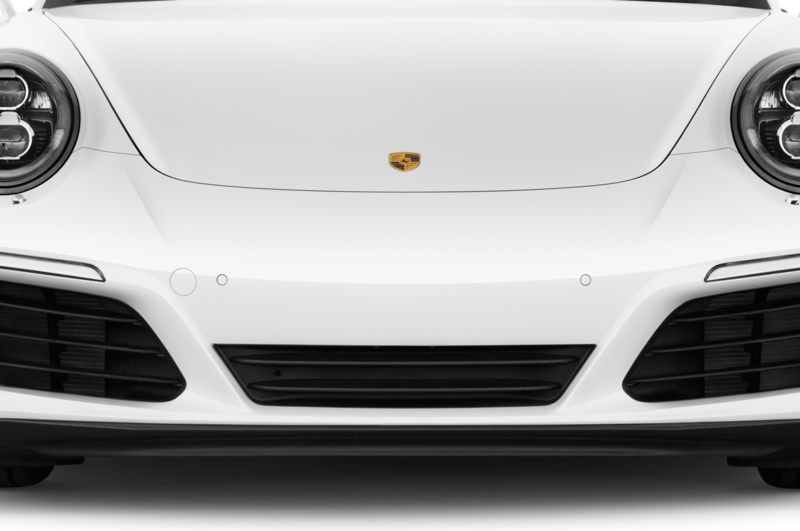 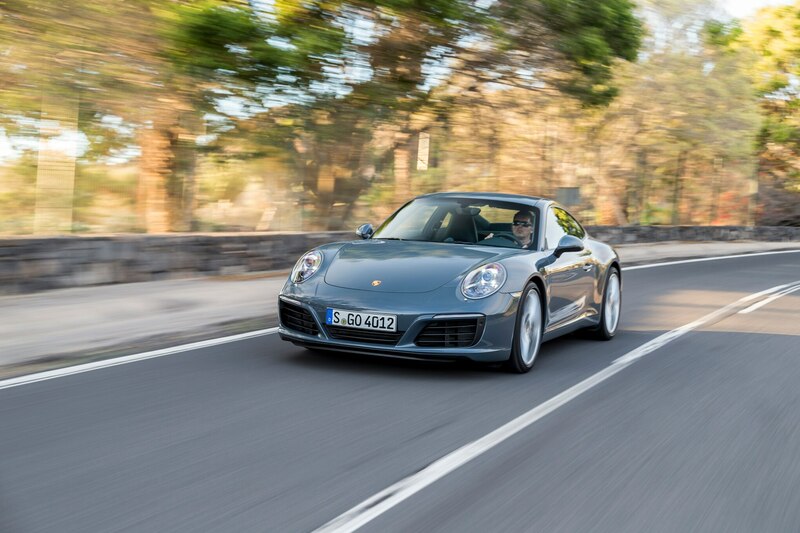 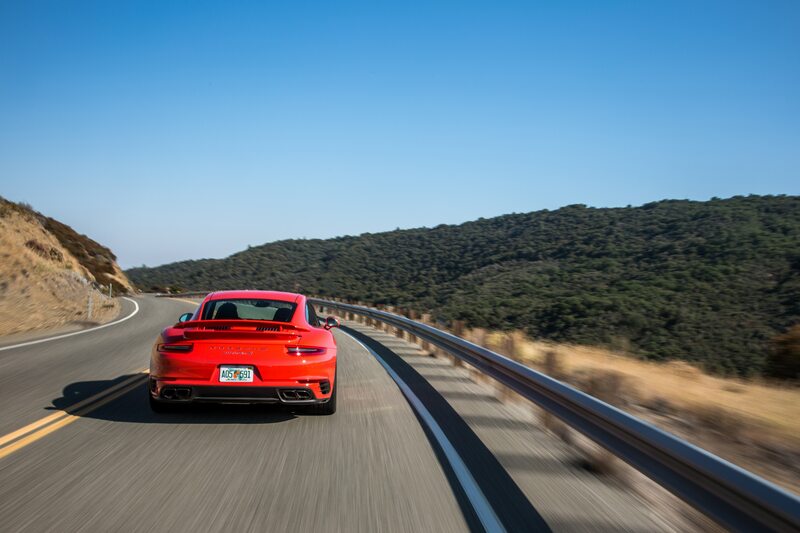 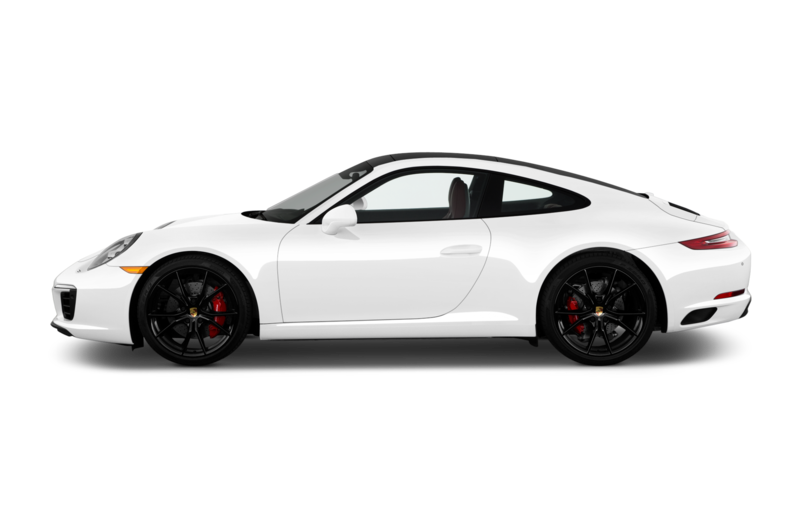 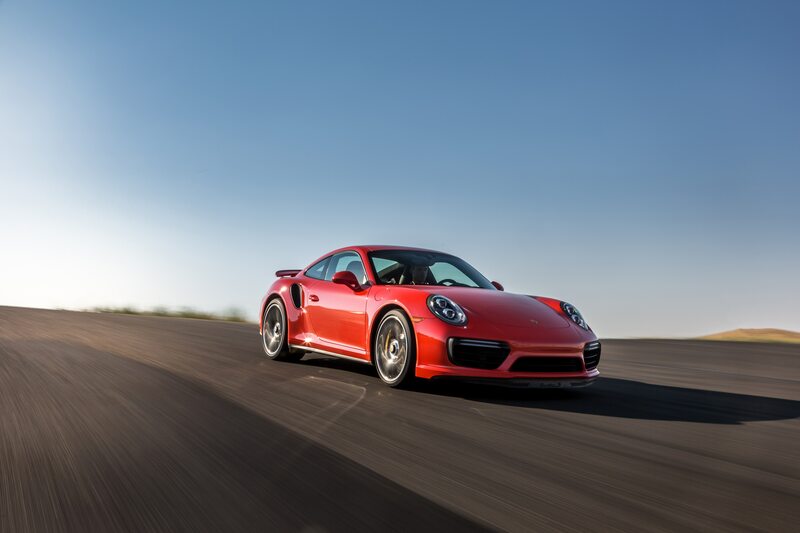 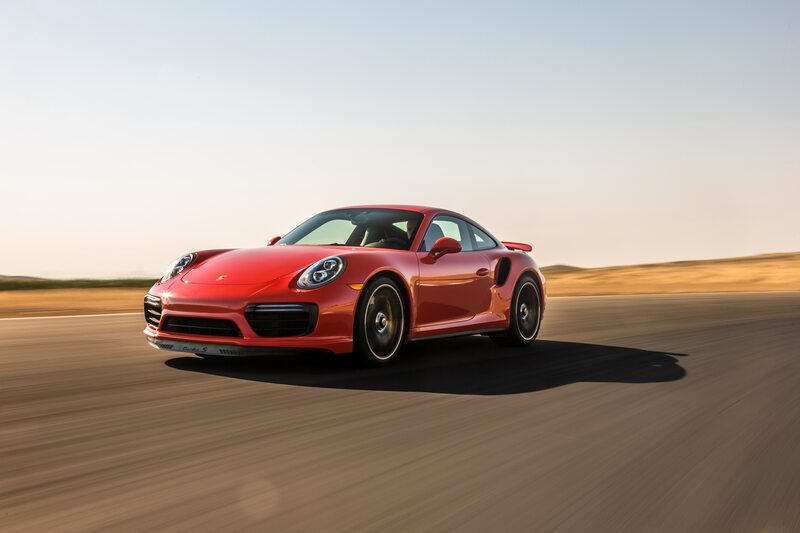 The fastest Carrera S — PDK, Sport Chrono — sprints to 60 mph in just 3.7 seconds and tops out at 190 mph. 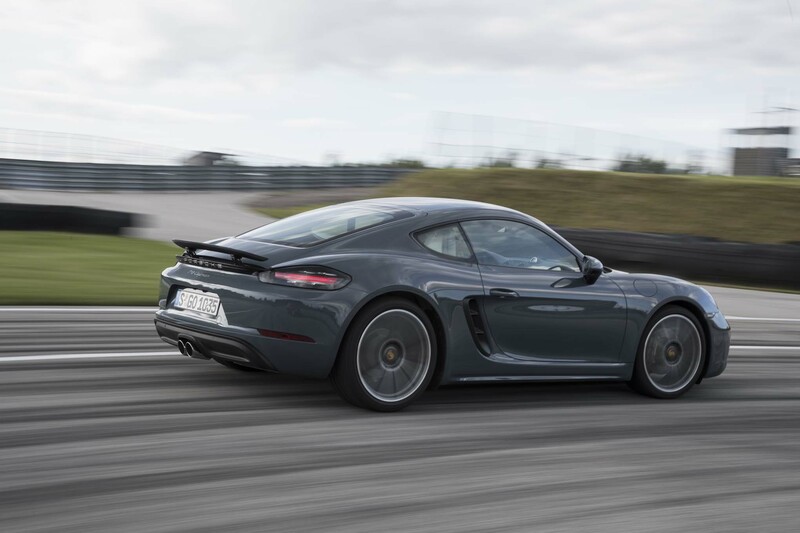 All acceleration figures are two-tenths quicker than that of their outgoing predecessors and, as noted, in all likelihood the new Carreras are actually quicker still. Mentioning anything else but the engines is a bit like asking, “Other than that, Mrs. Lincoln, how did you like the play?” But there is other news to report. 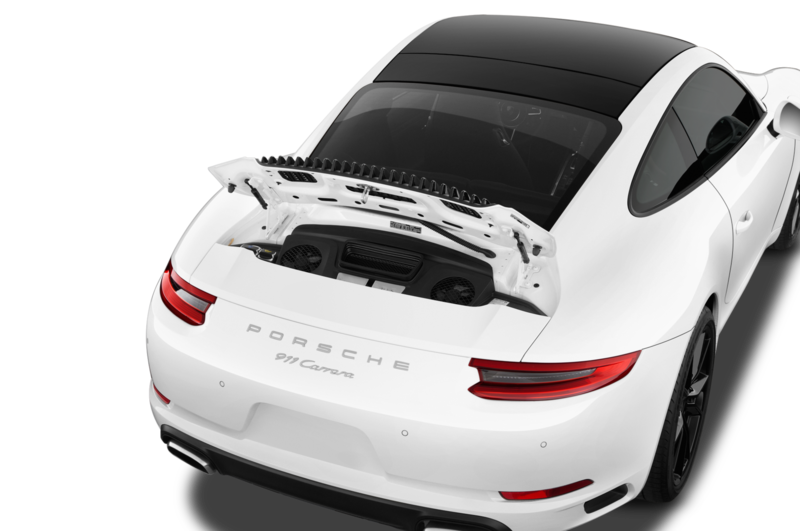 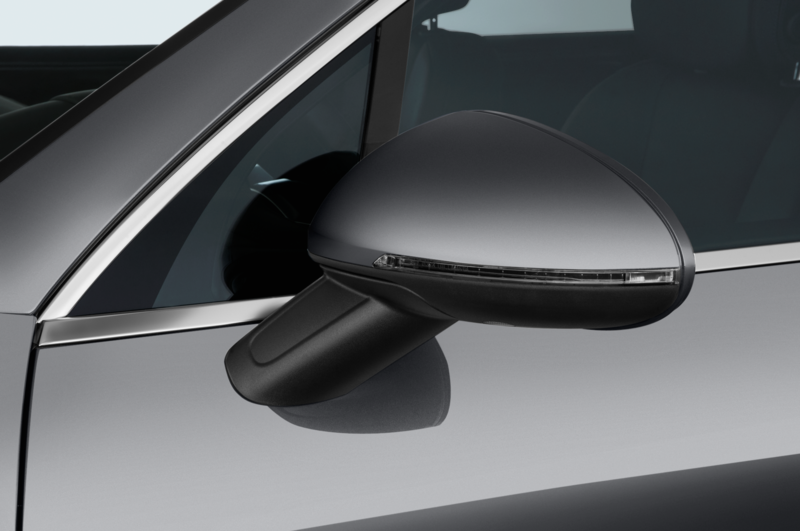 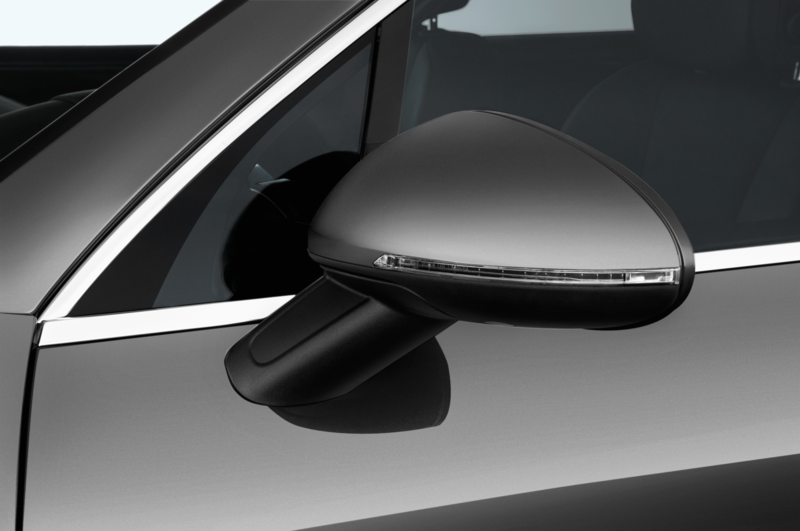 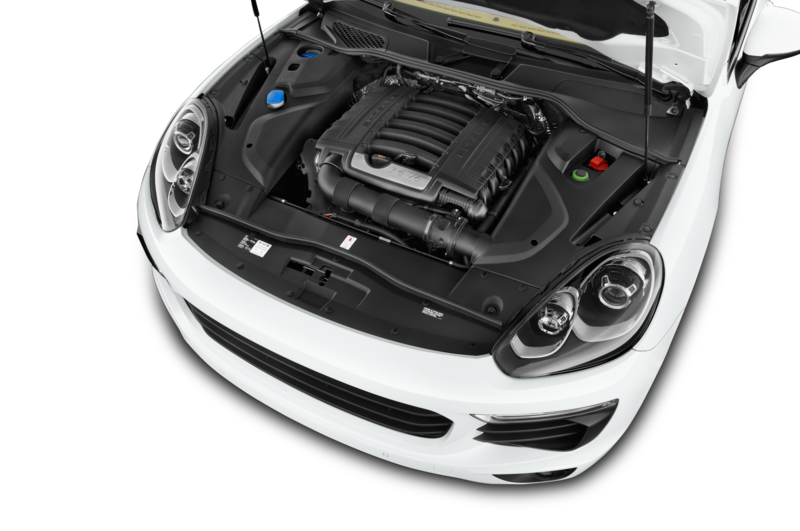 All Carreras now feature Porsche Active Stability Management (PASM) as standard (previously only available on the Carrera S). 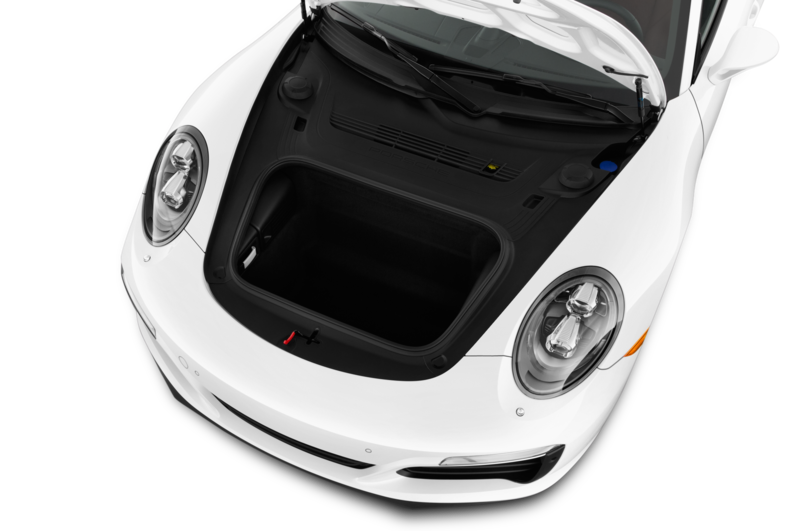 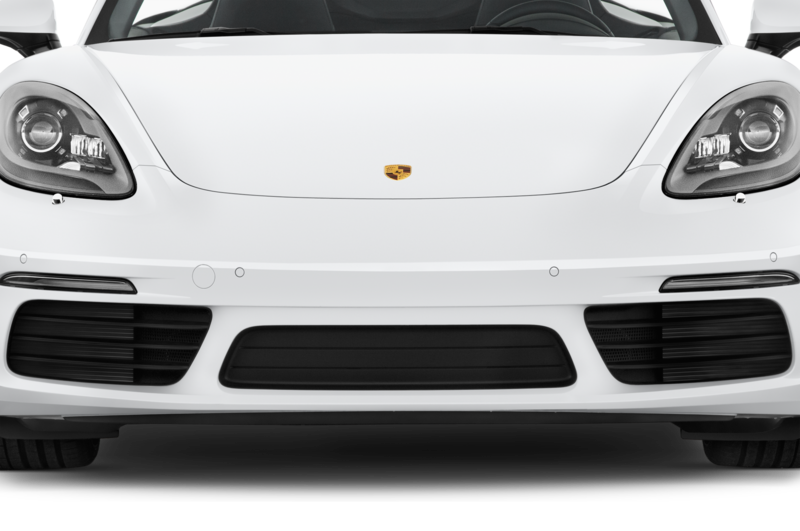 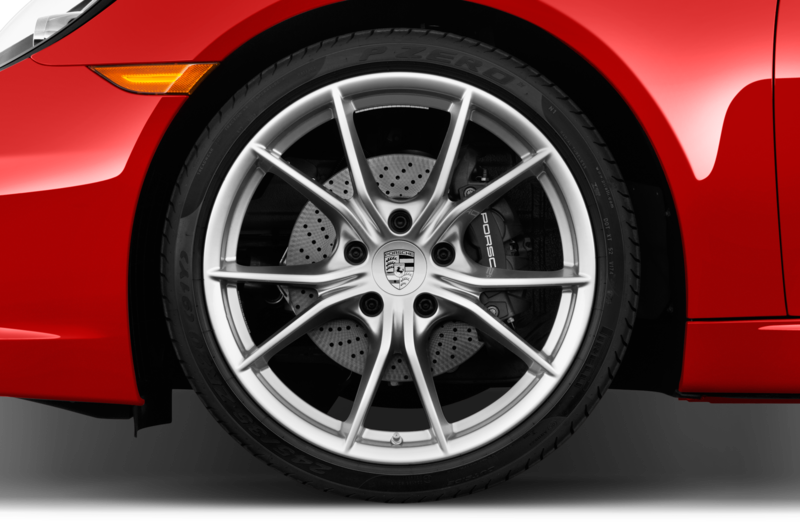 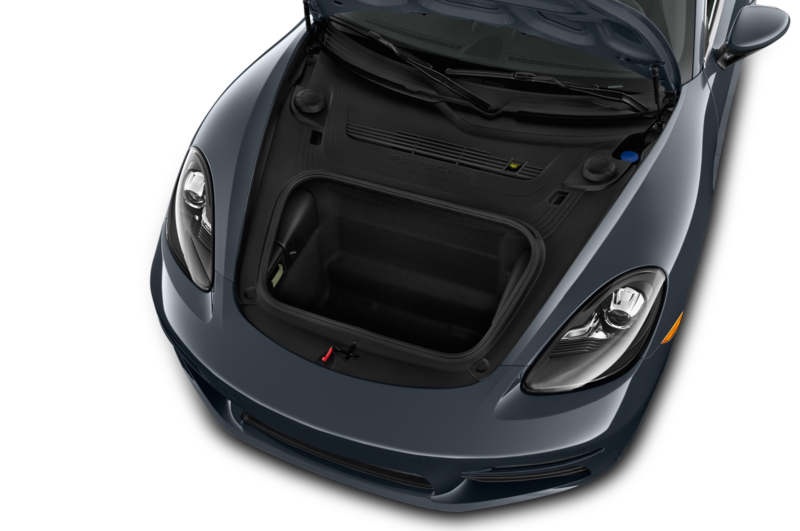 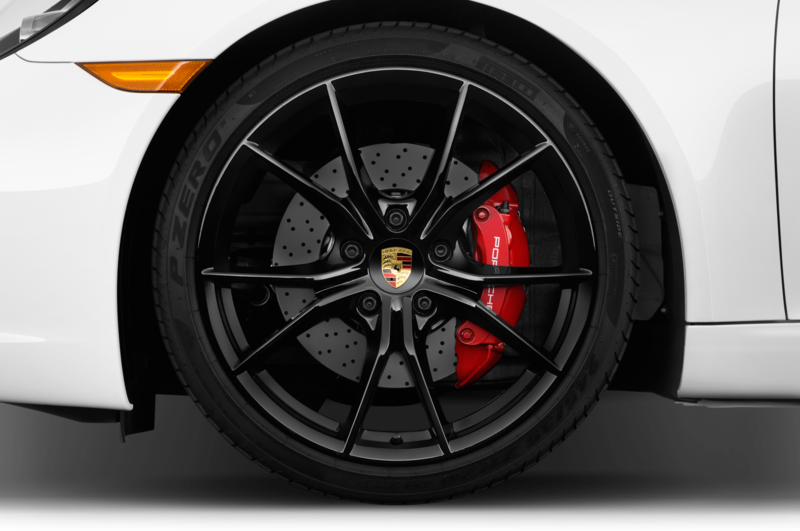 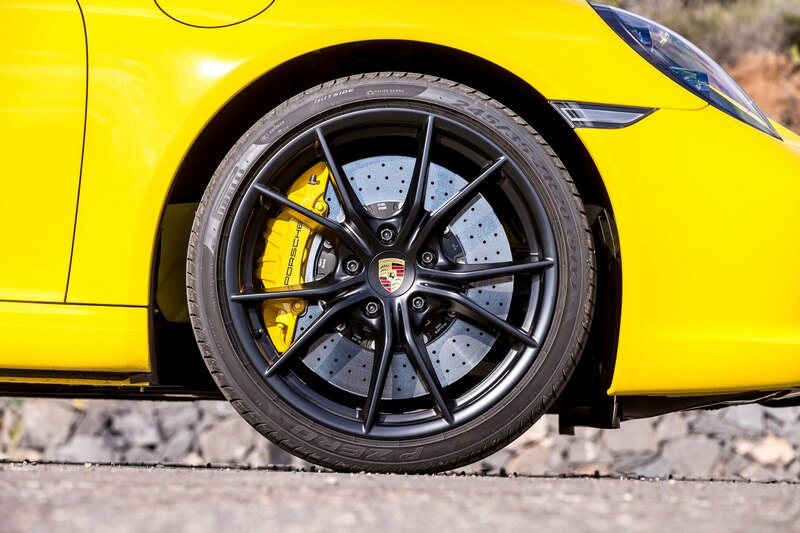 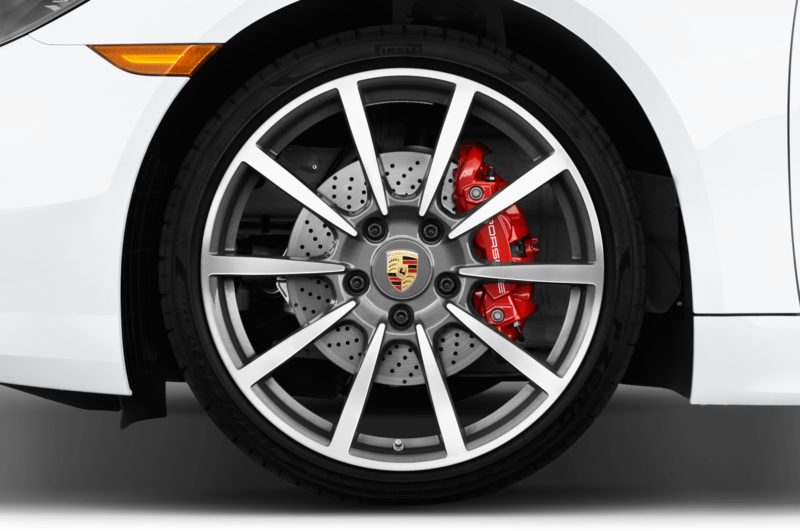 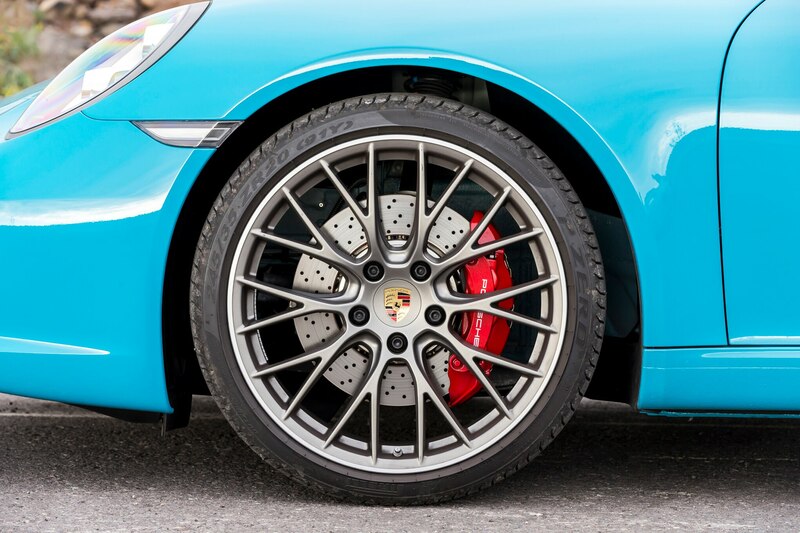 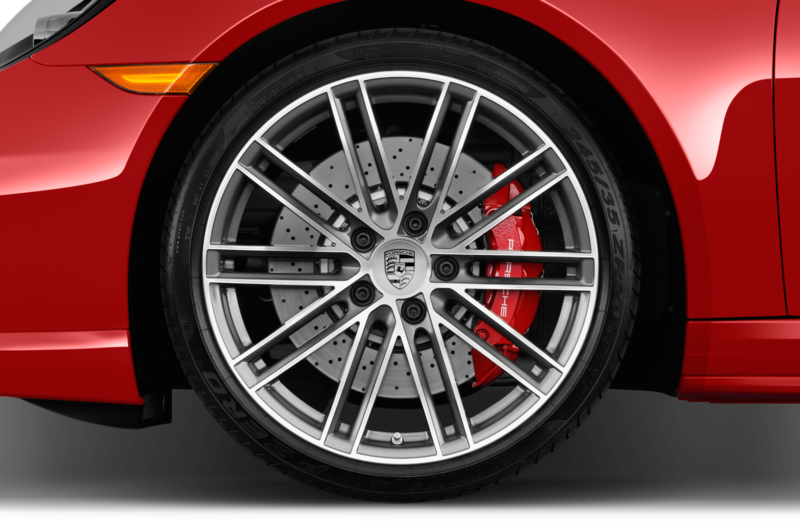 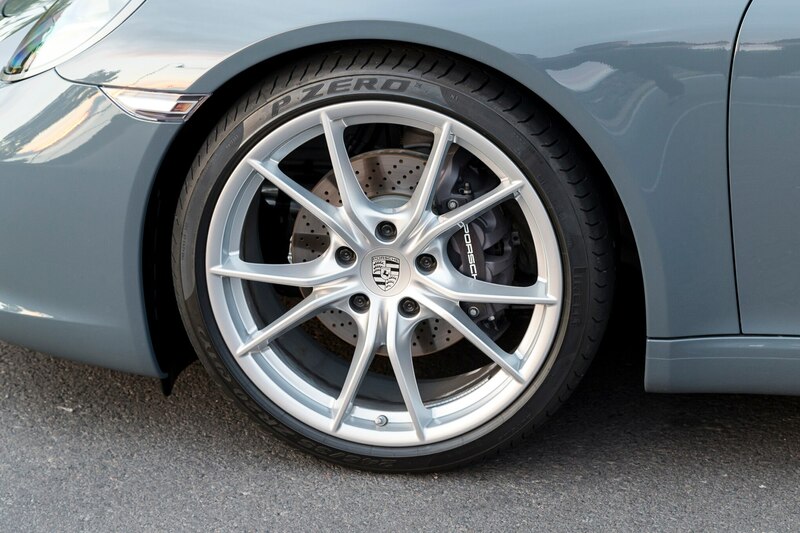 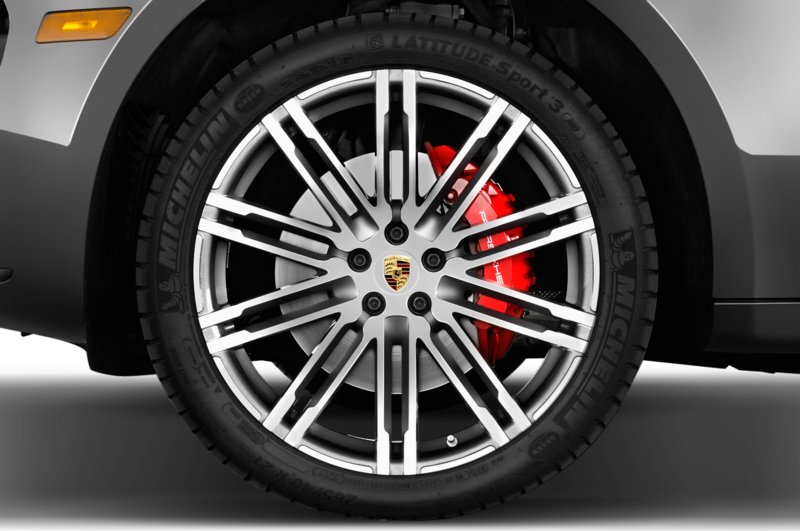 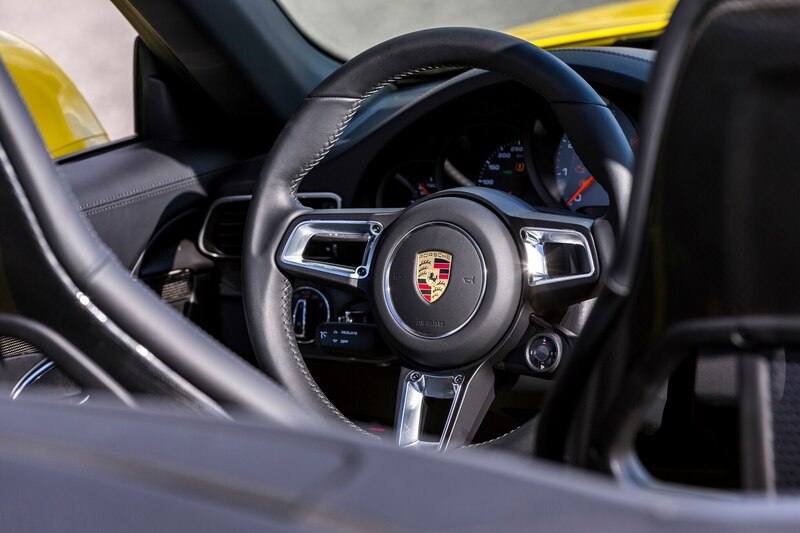 The system’s active dampers can lower the ride height by 0.4 inch and, on cars with the Sport Chrono package, can be adjusted to any of four settings using a selector on the steering wheel (just like the unit on the 918 Spyder). 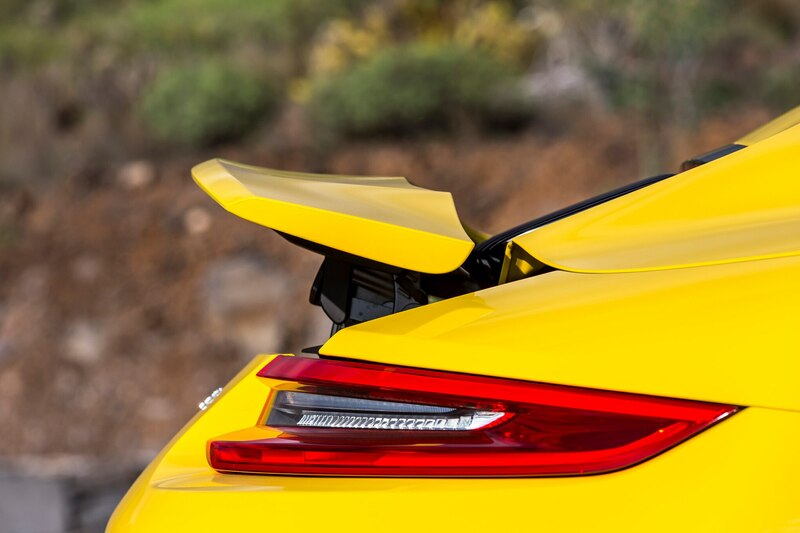 In addition, the new cars offer an optional rear-wheel-steer system like that seen on the current Turbo (that is, the one with a capital “T”) and GT3. 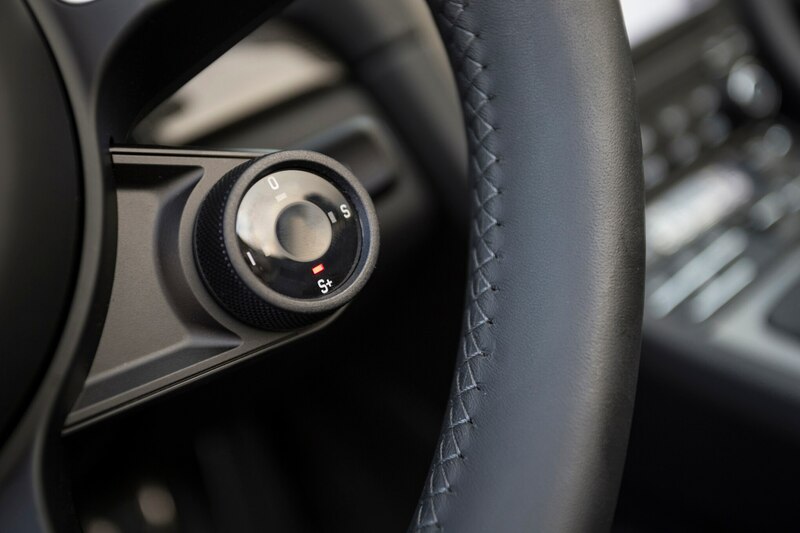 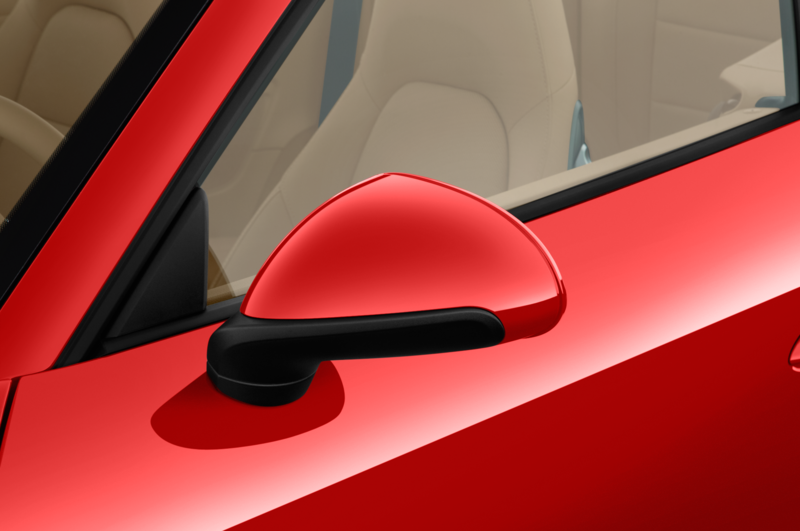 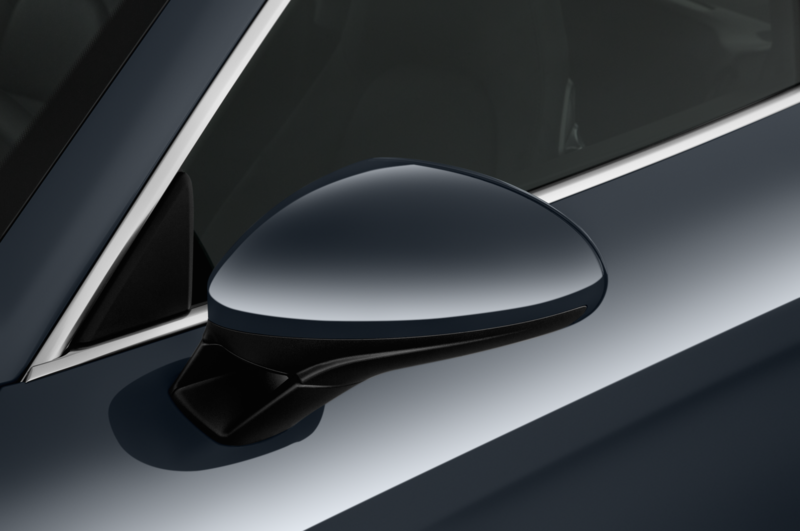 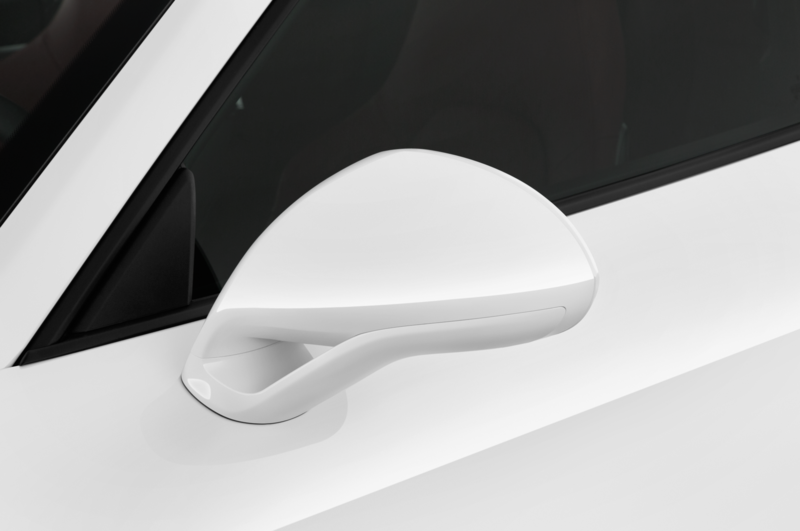 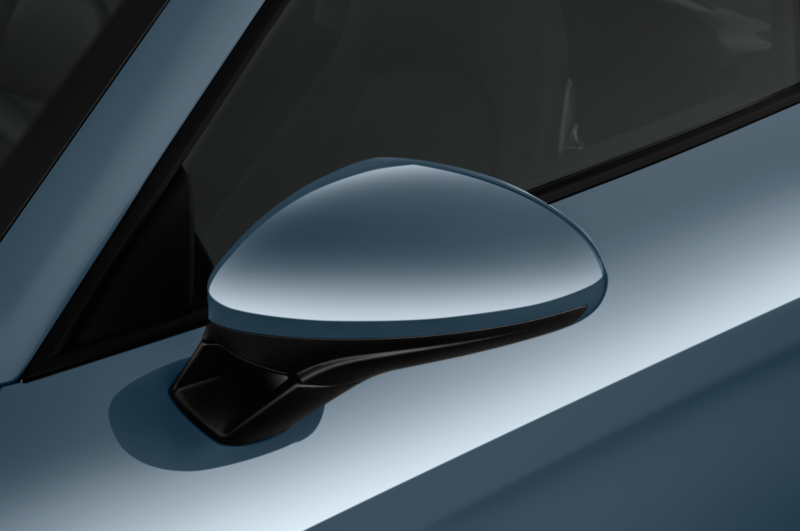 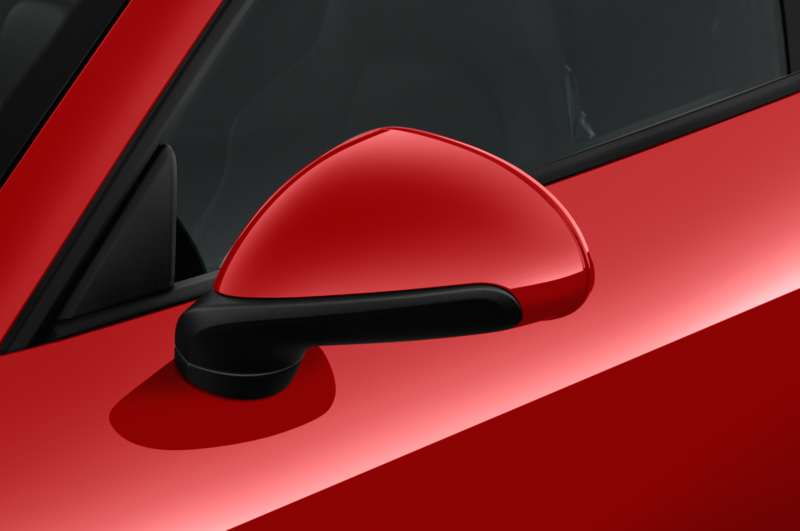 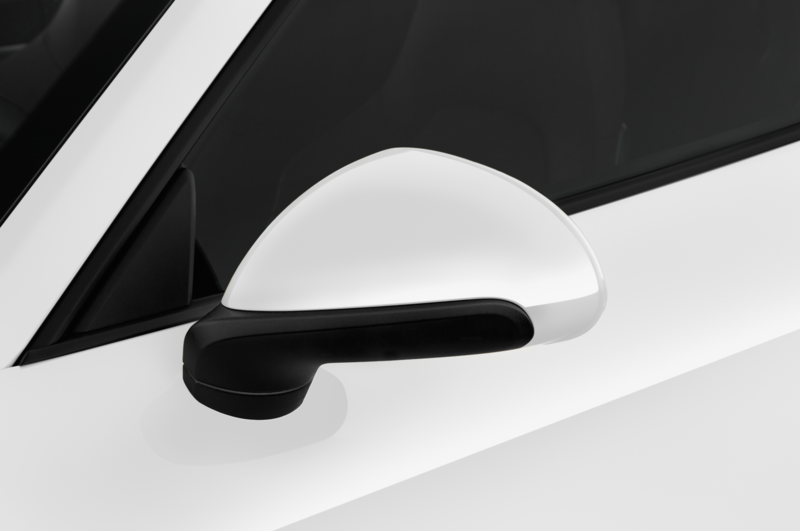 Also new is a front-suspension-lift feature that, at the press of a cockpit button, can raise the nose 1.6 inches — the better to surmount steep driveways or the occasional speed bump. 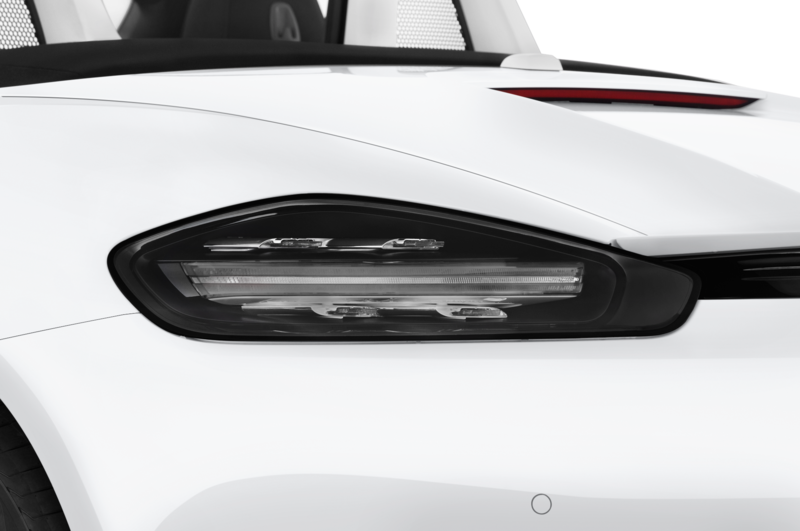 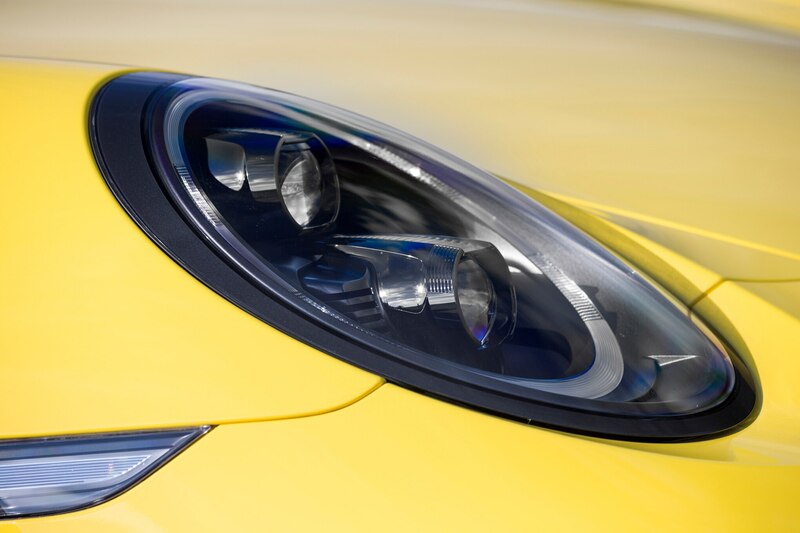 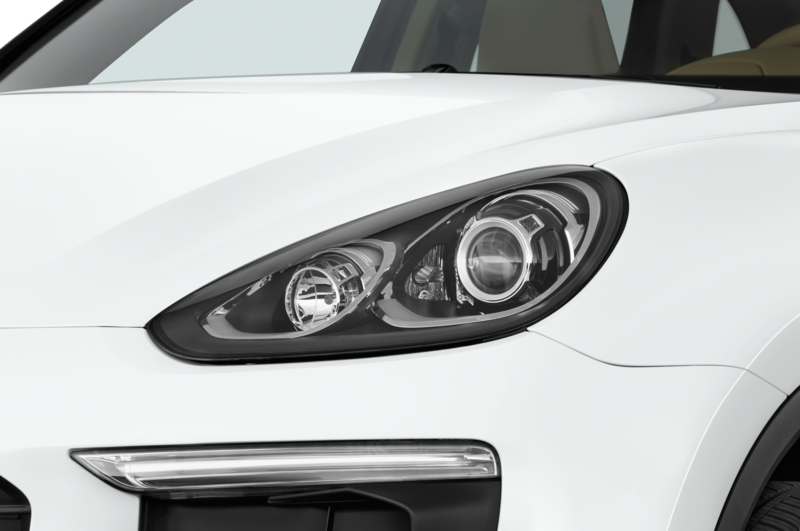 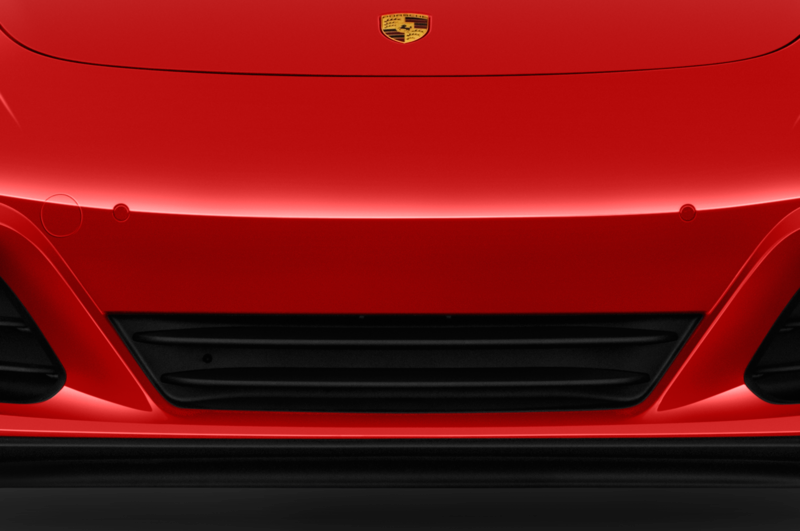 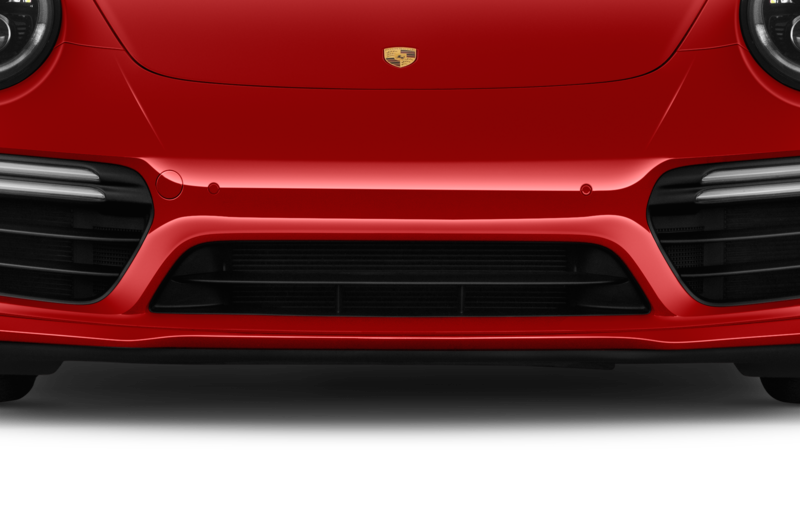 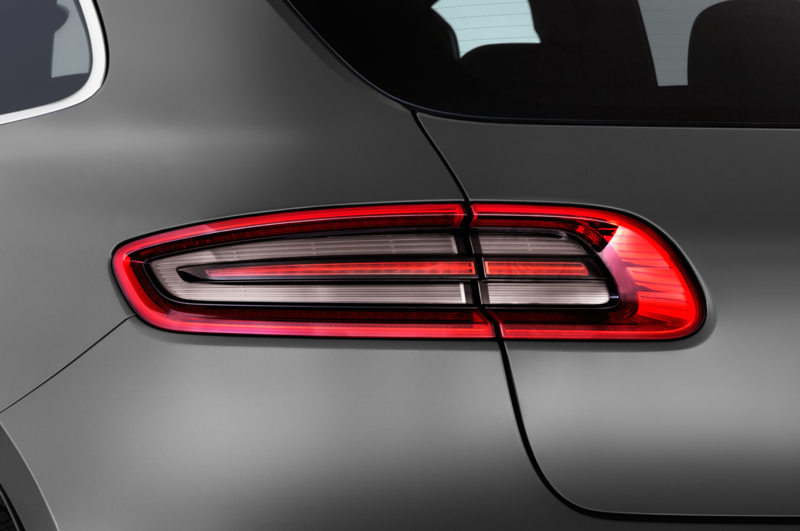 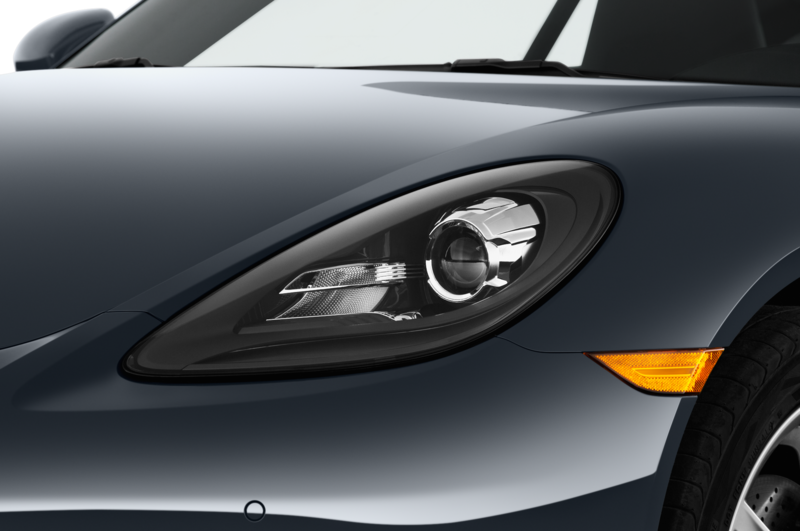 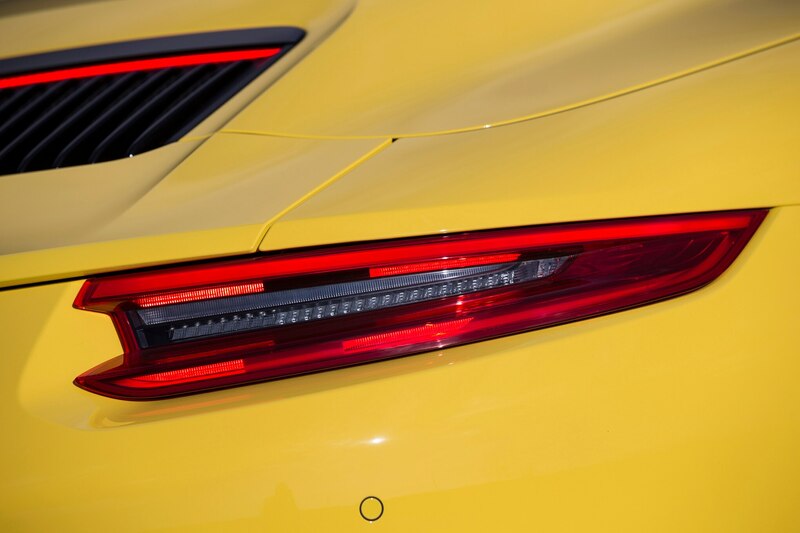 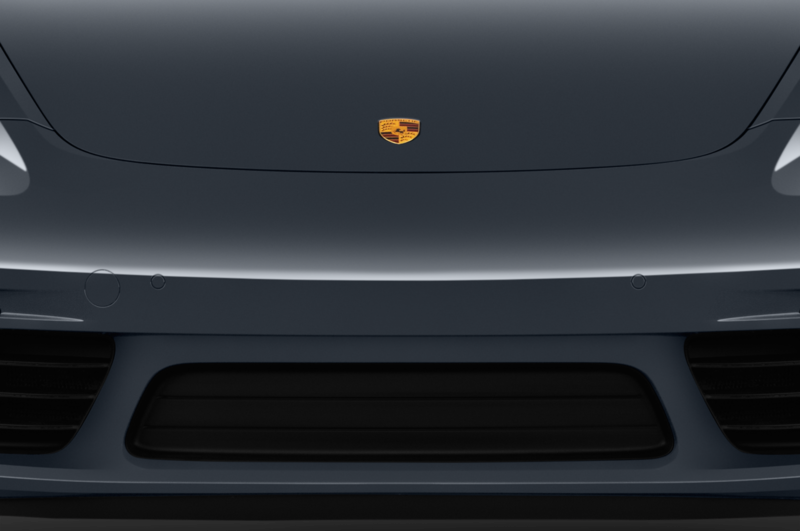 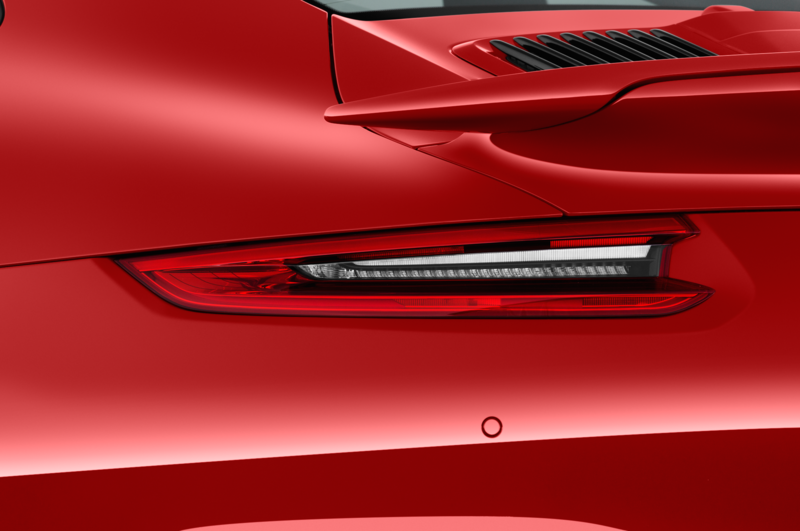 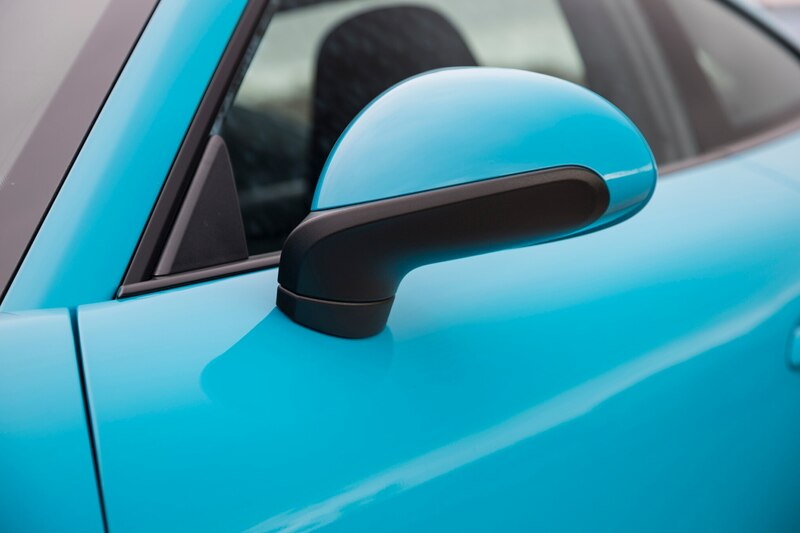 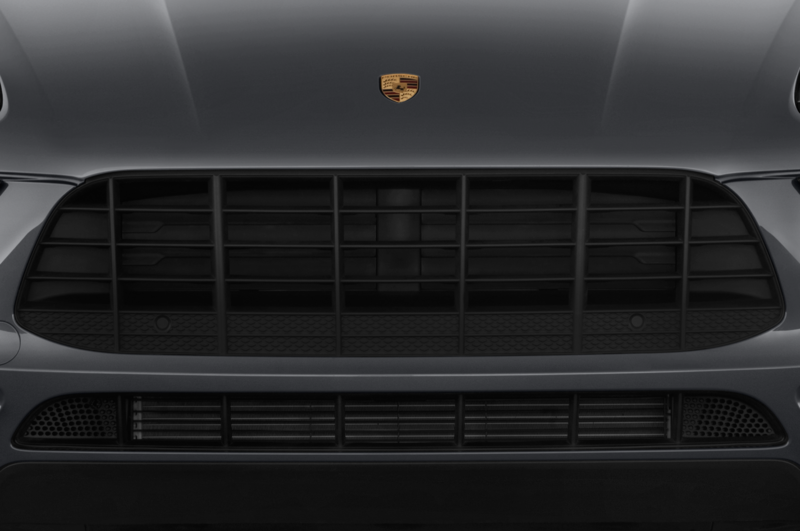 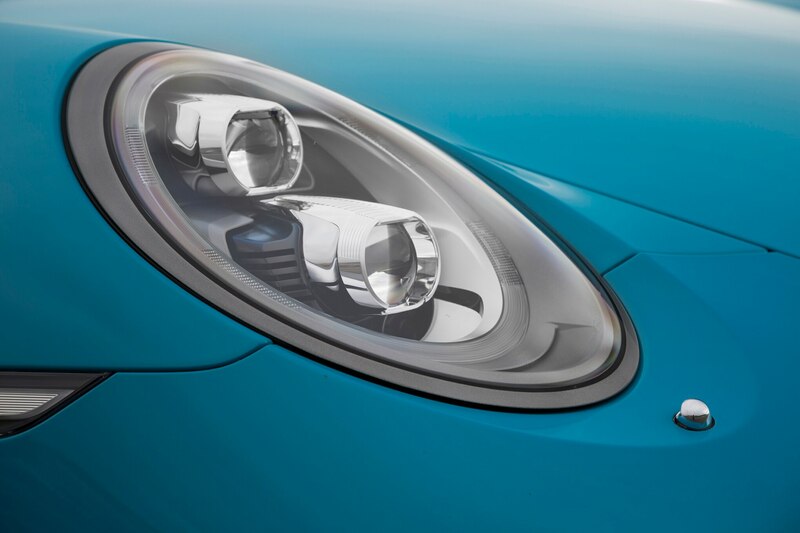 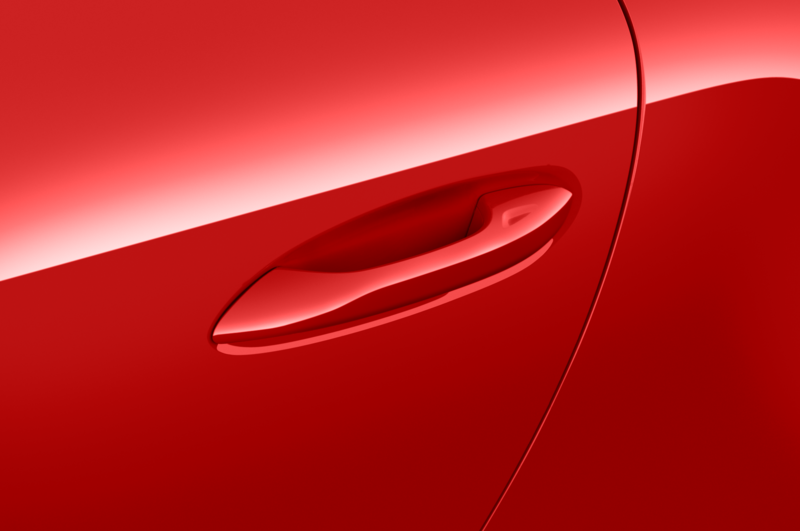 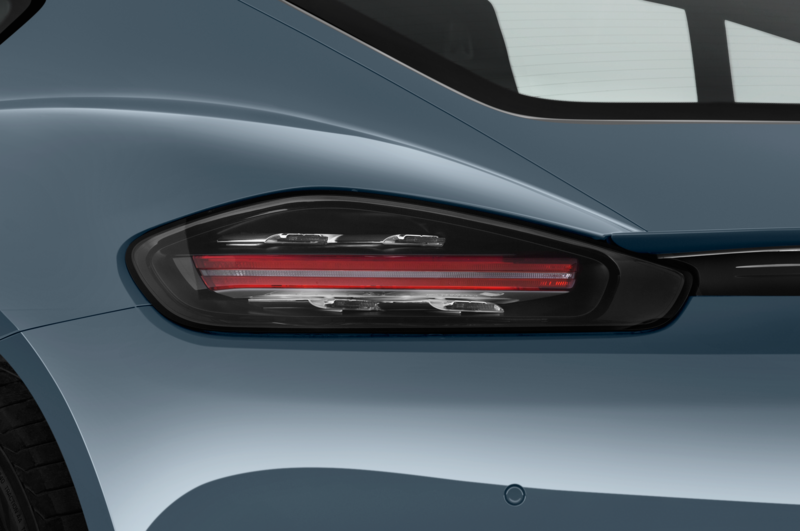 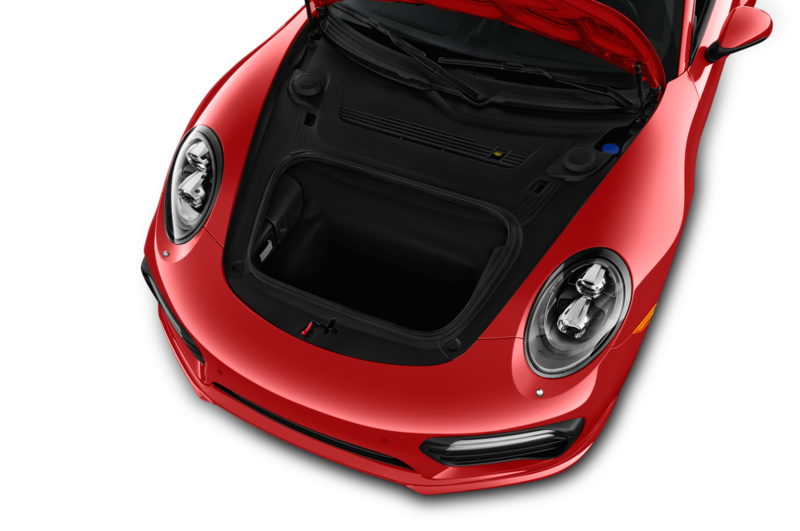 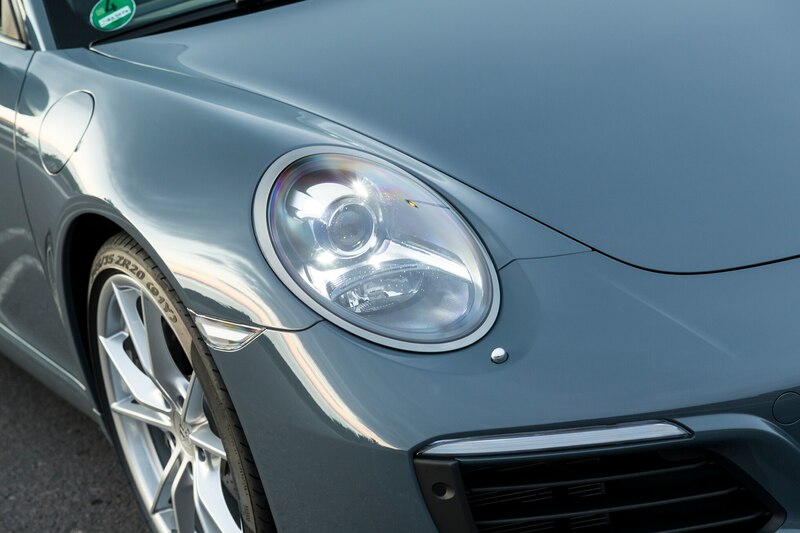 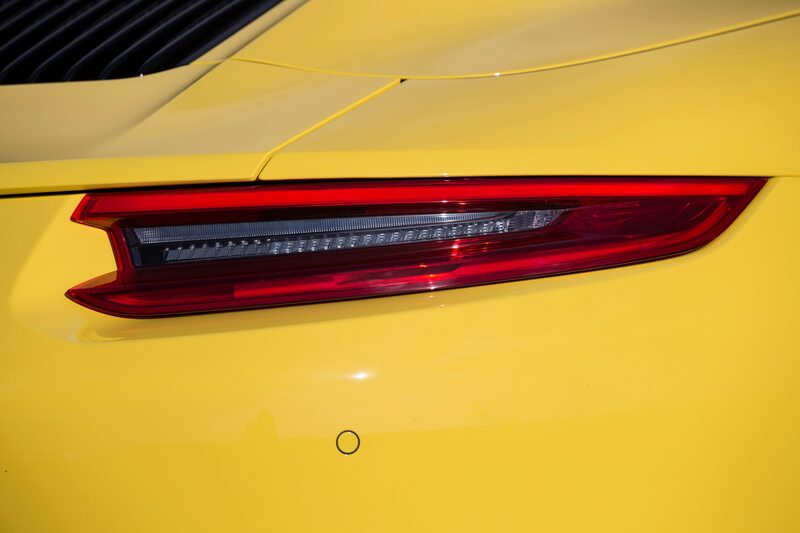 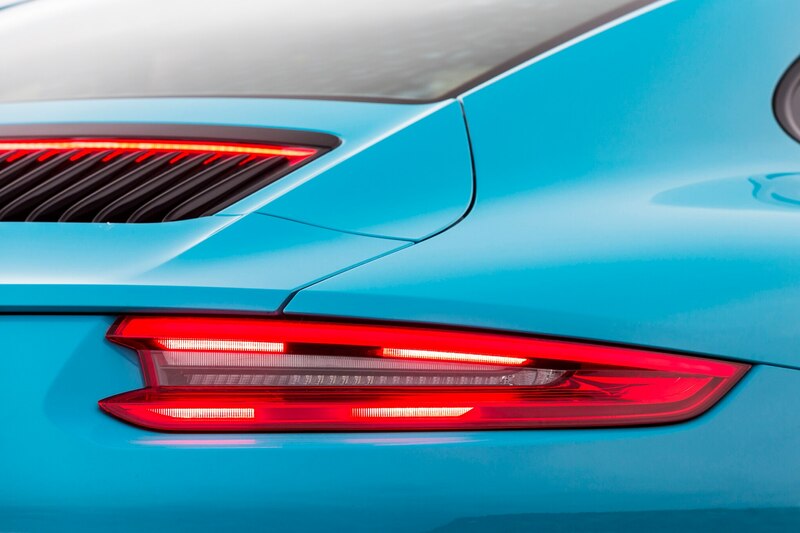 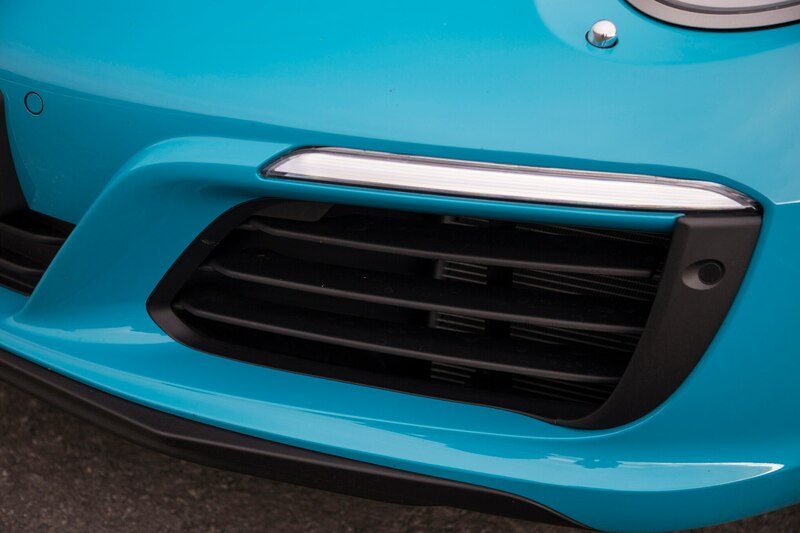 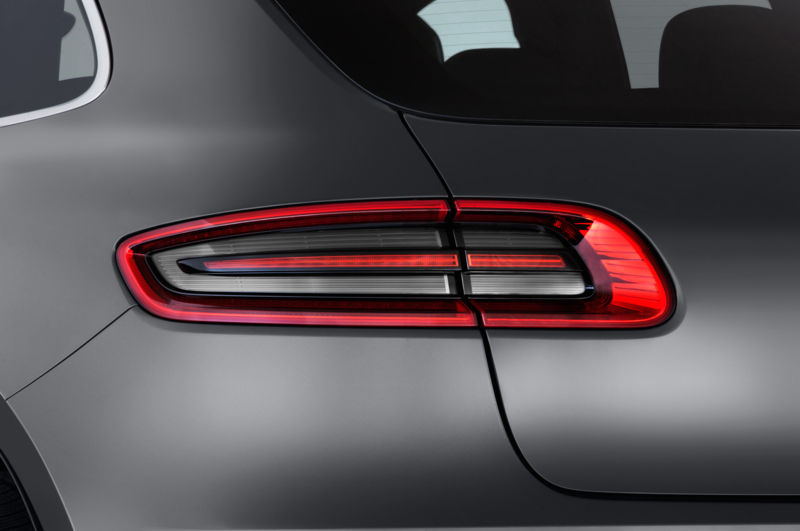 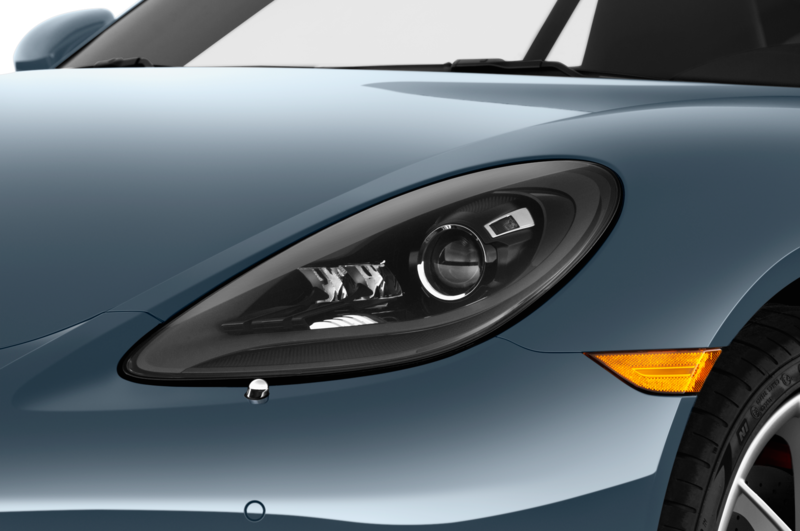 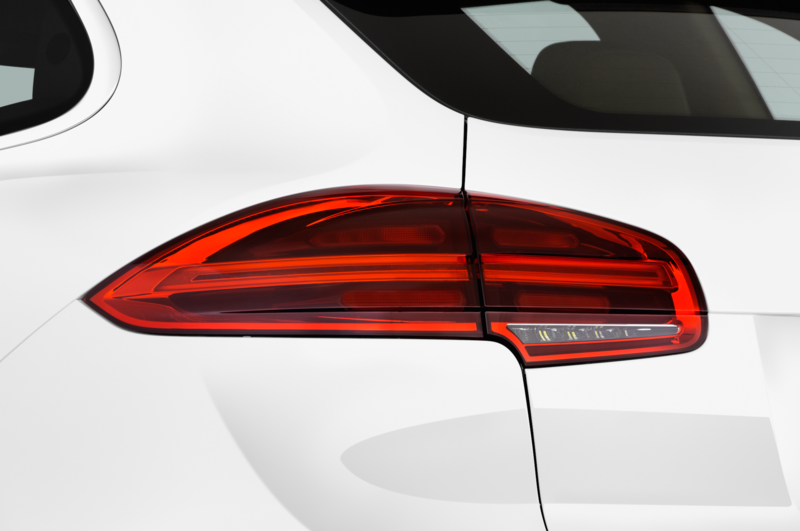 Visually, 911 fans will spot mildly revised front and rear ends, the former sporting four LED daytime running lights, the latter three-dimensional taillights. 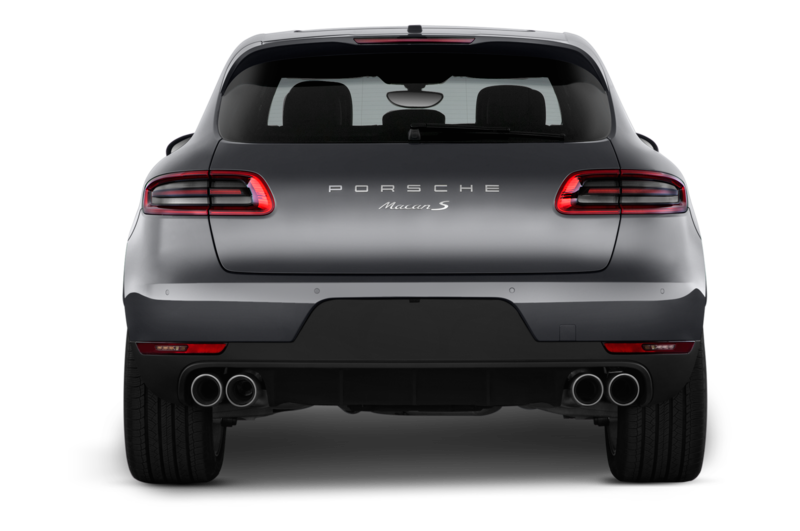 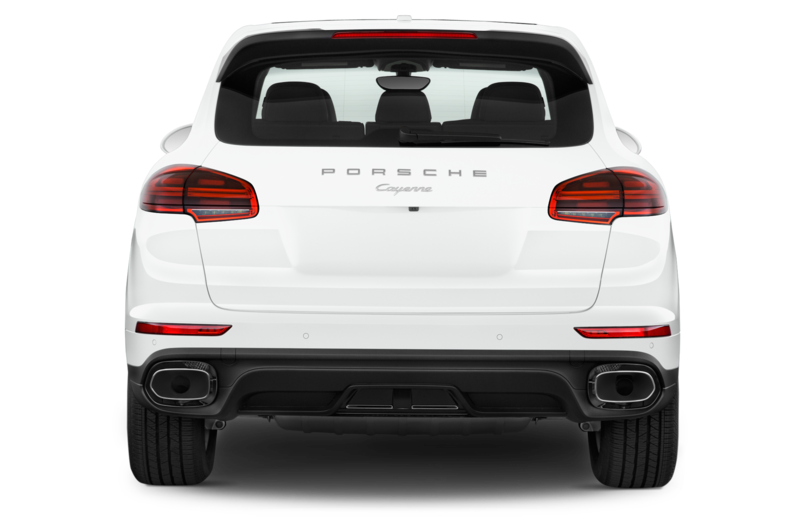 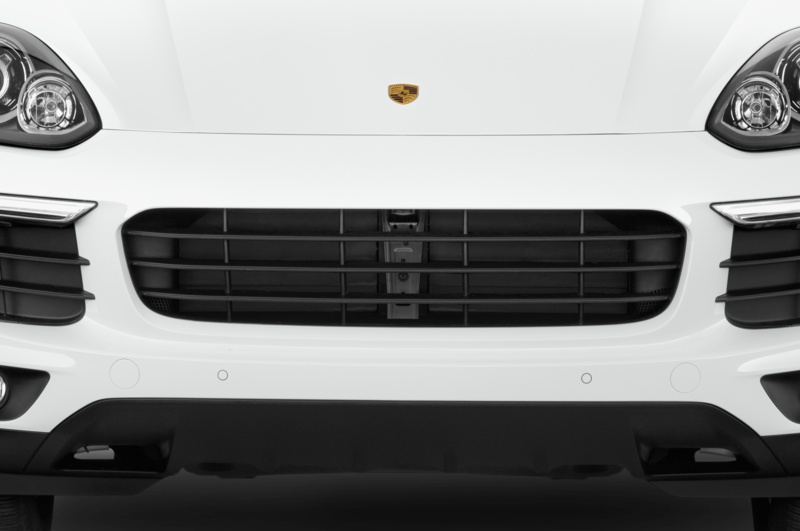 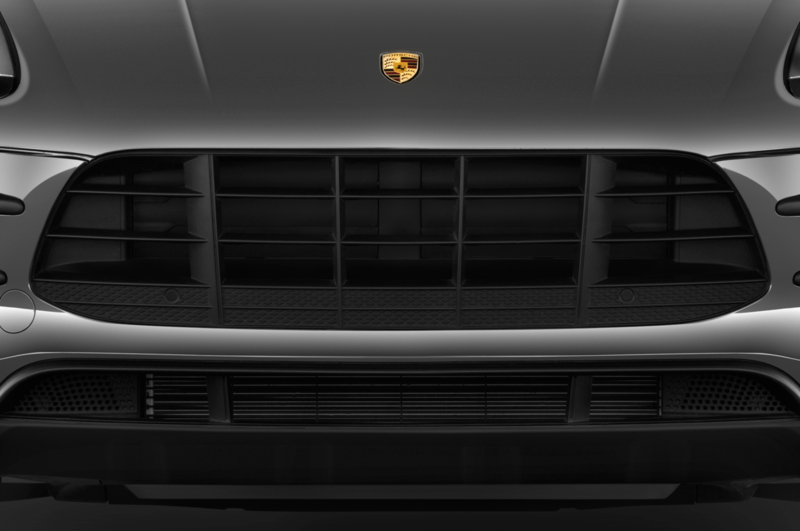 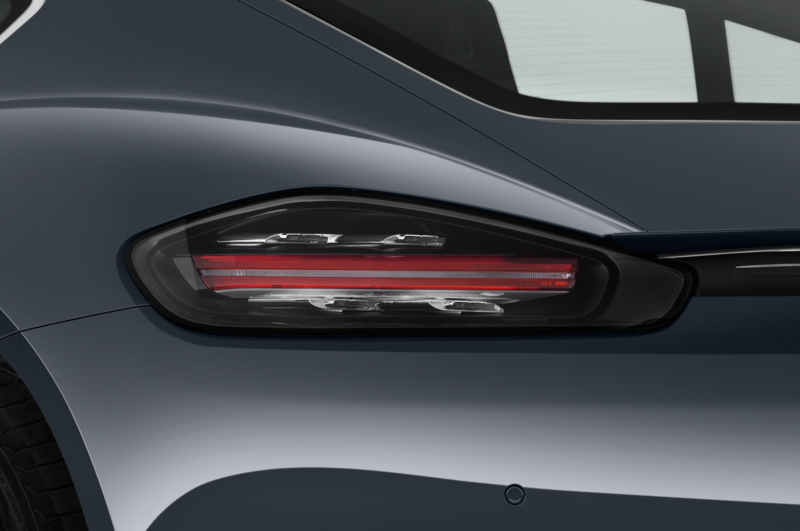 The rear cooling panel now features vertical strakes (a handsome touch), two new cooling vents (as on the Turbo) sprout from the rear bumper, and the exhausts are redesigned. 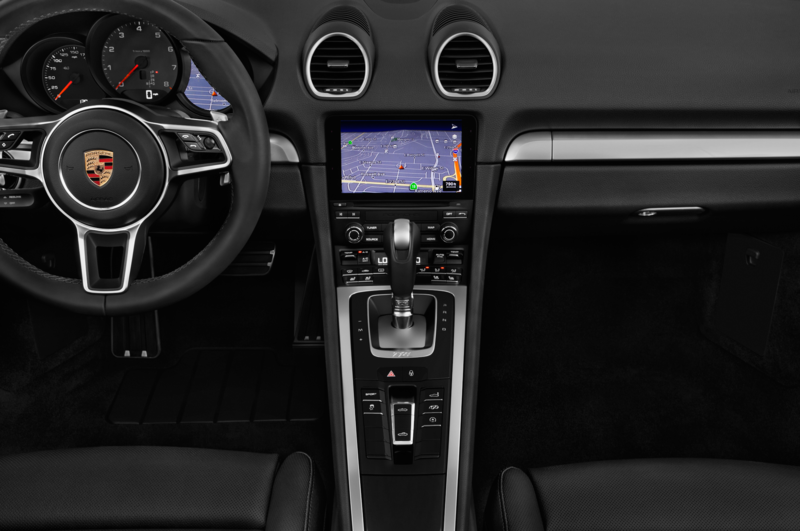 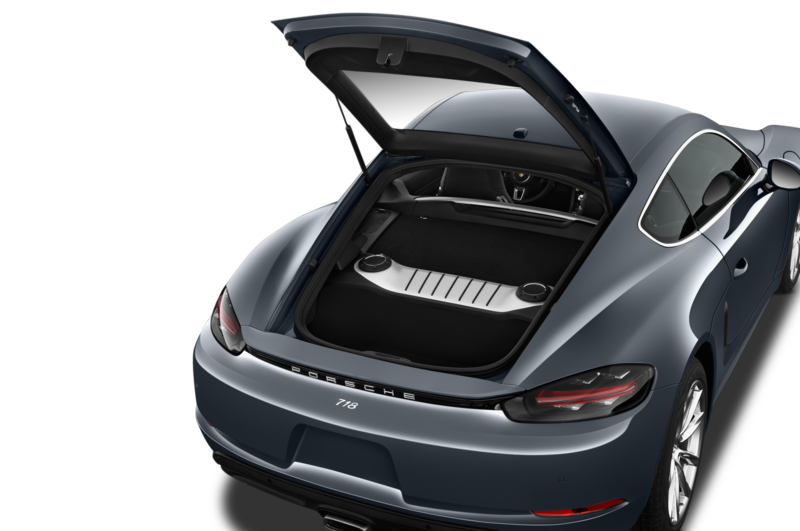 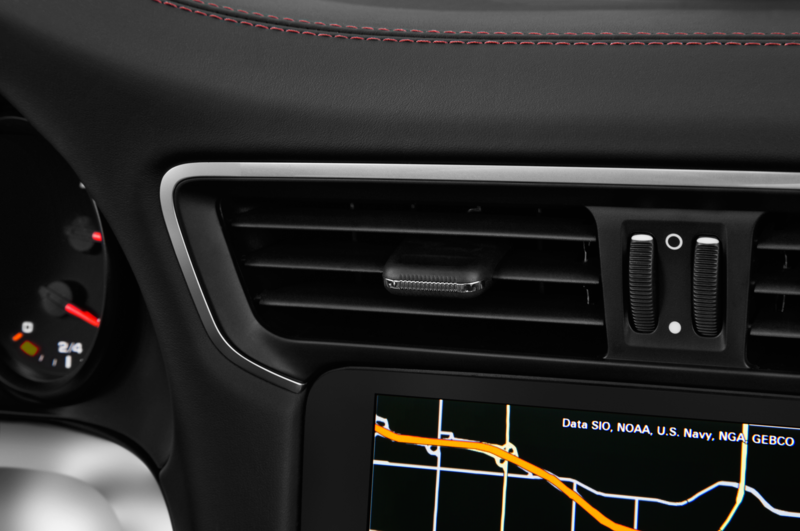 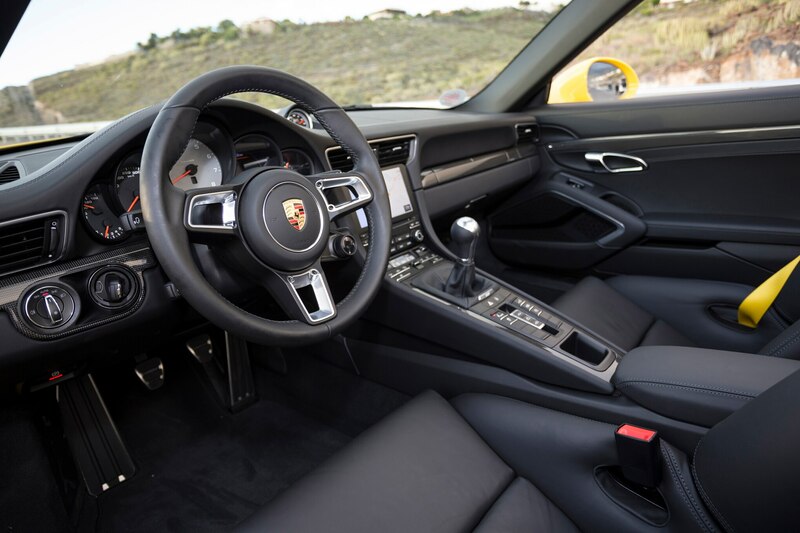 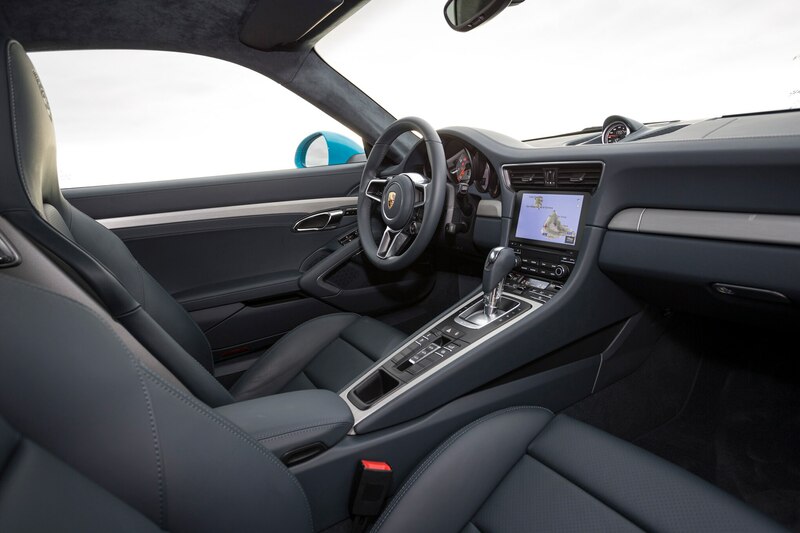 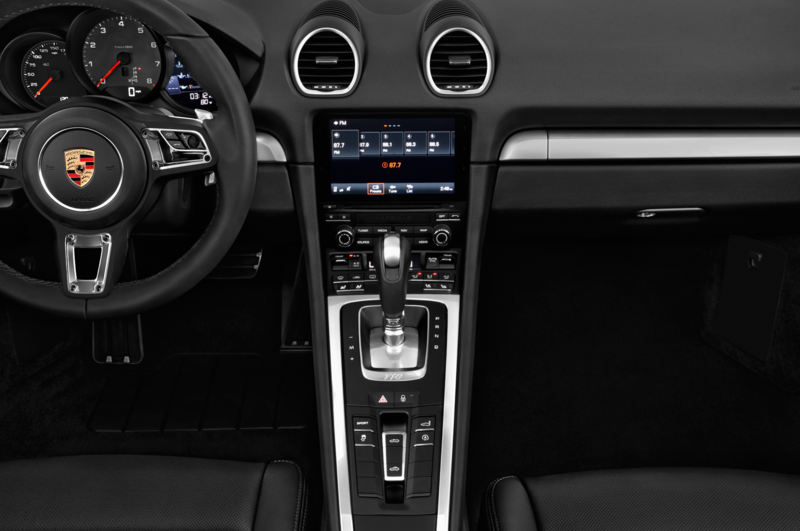 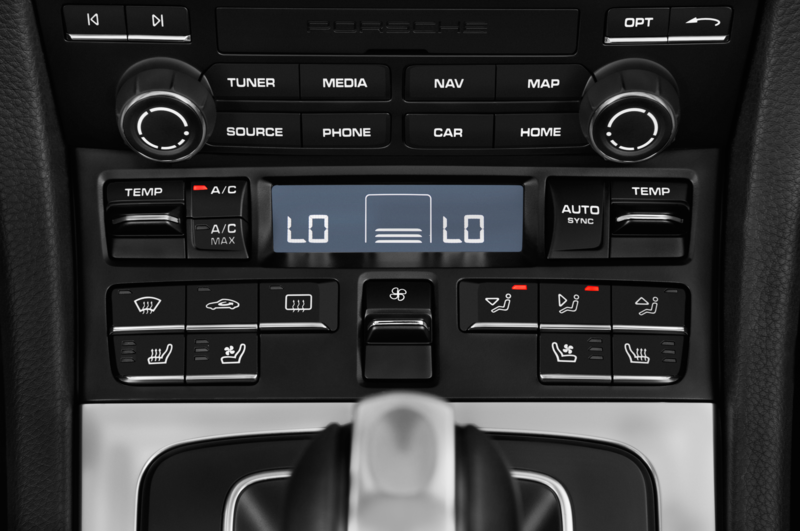 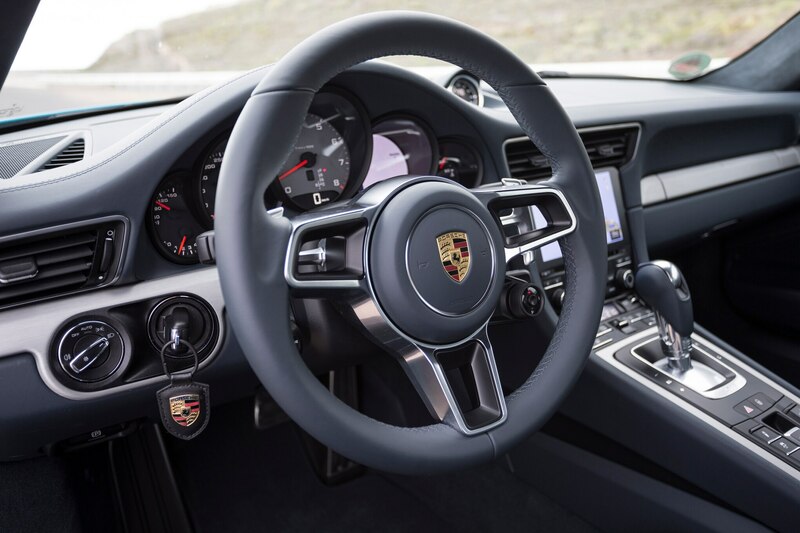 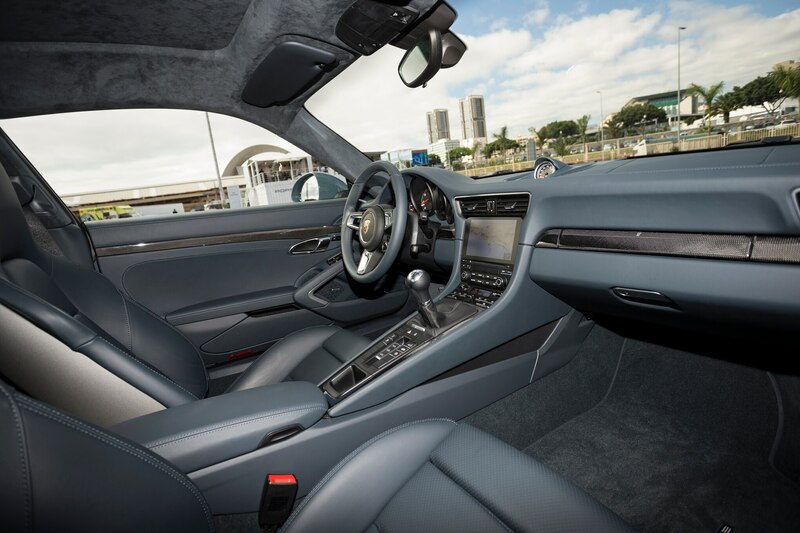 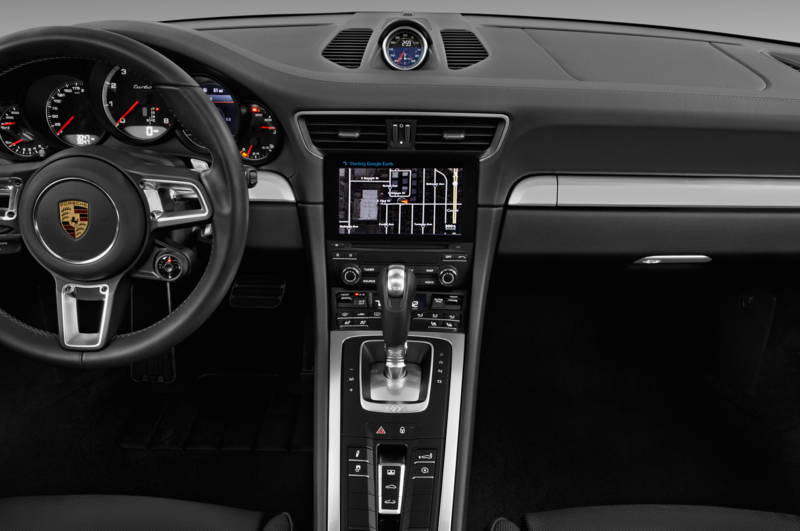 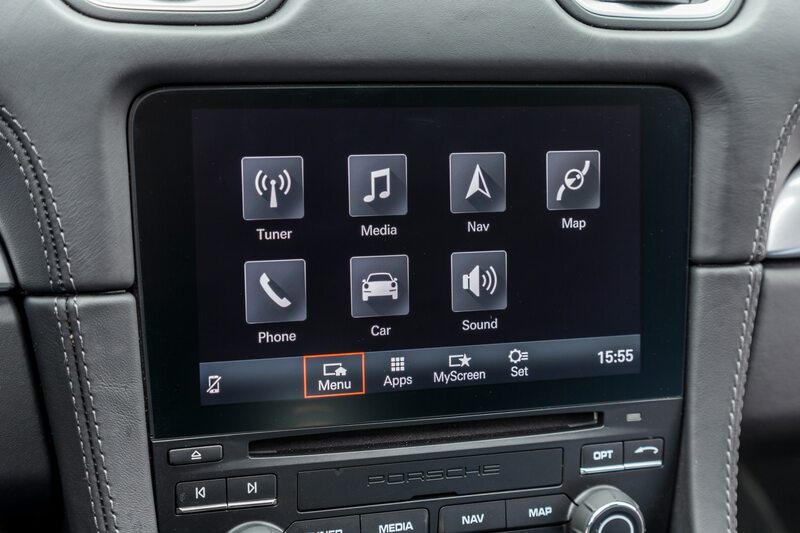 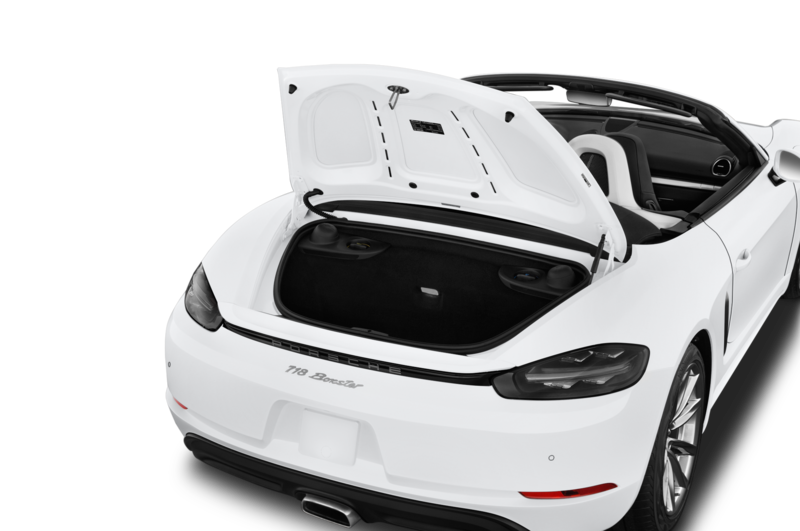 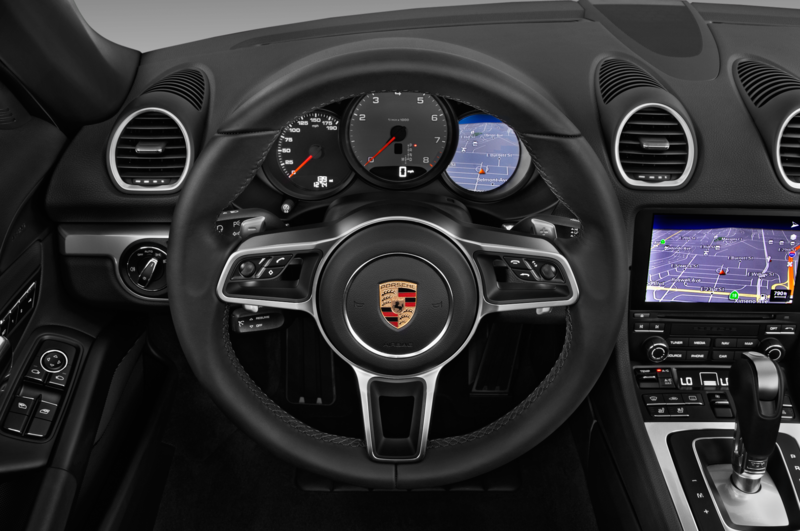 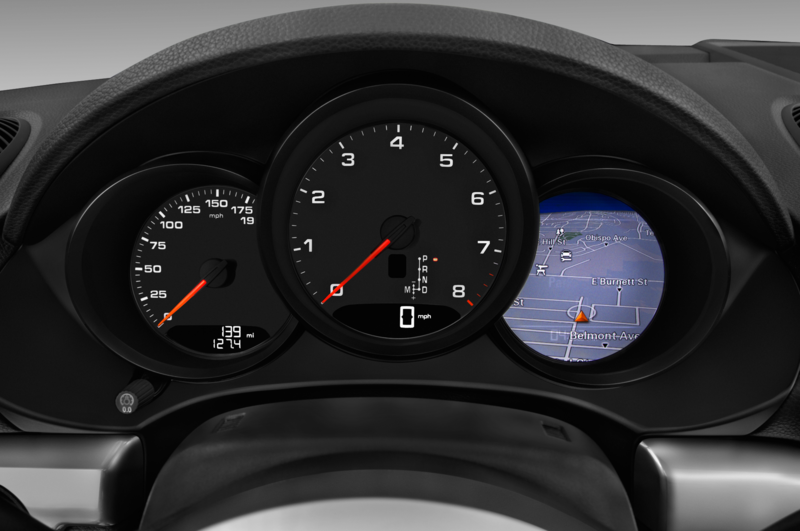 Inside, the new cars feature the latest version of Porsche Communication Management (PCM), with vastly improved on-screen graphics and touchscreen responsiveness, Google Earth and Street View maps, and Apple CarPlay smartphone integration (Android Auto connectivity is apparently on the way). 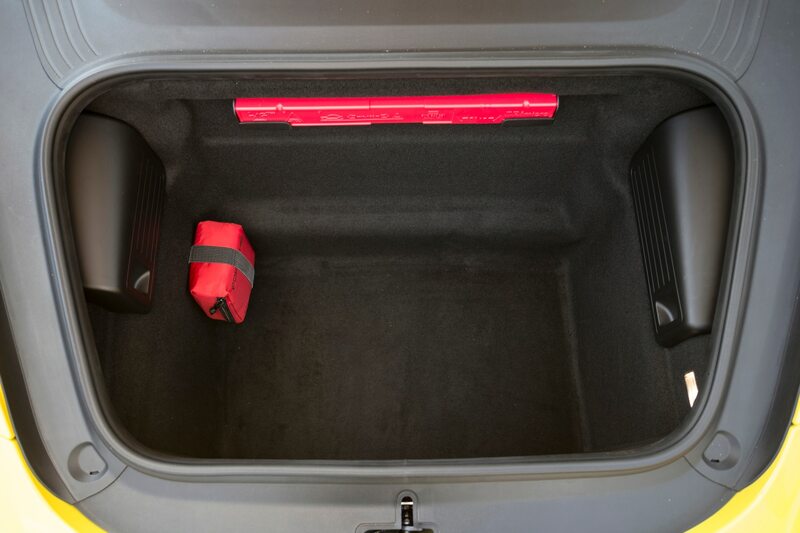 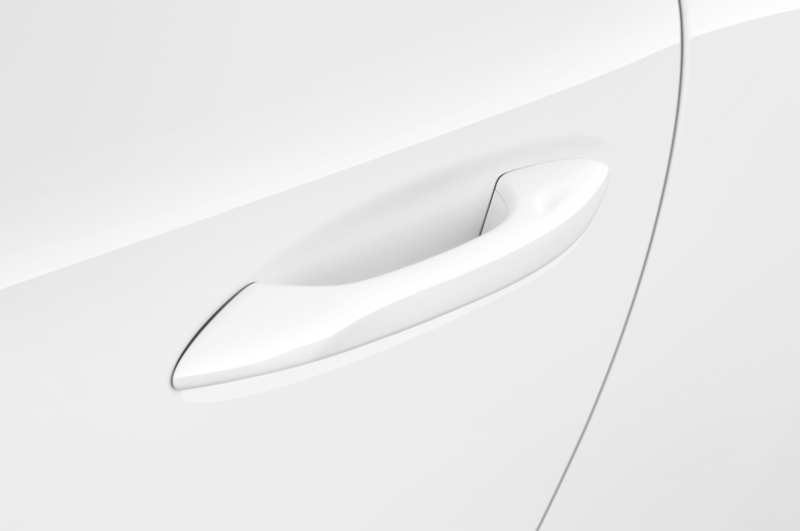 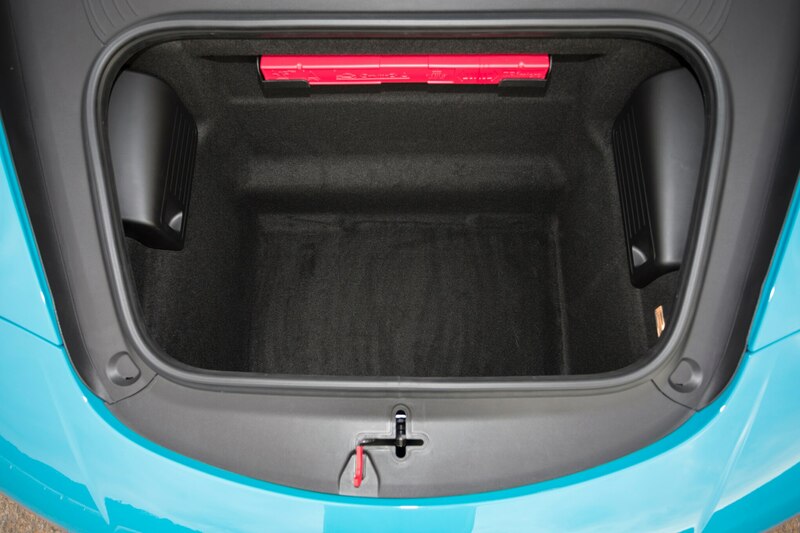 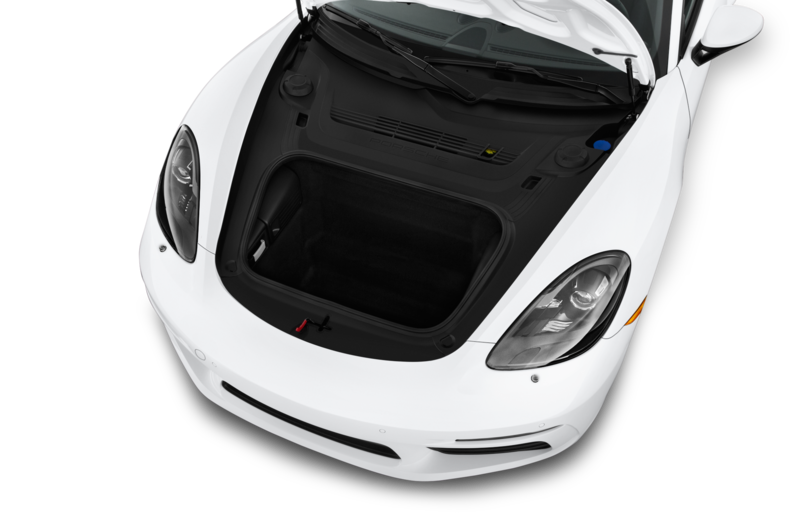 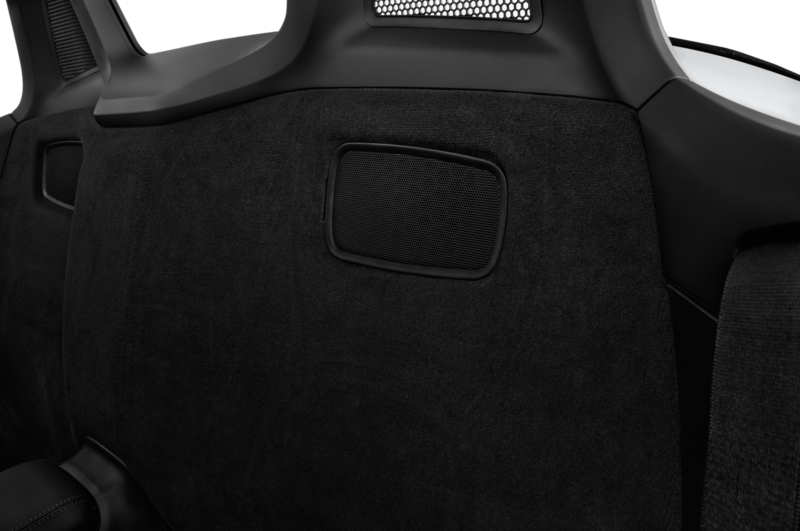 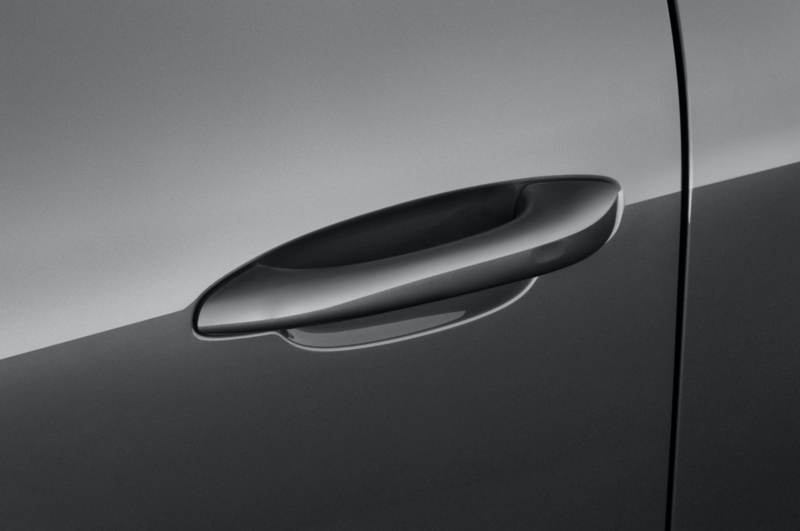 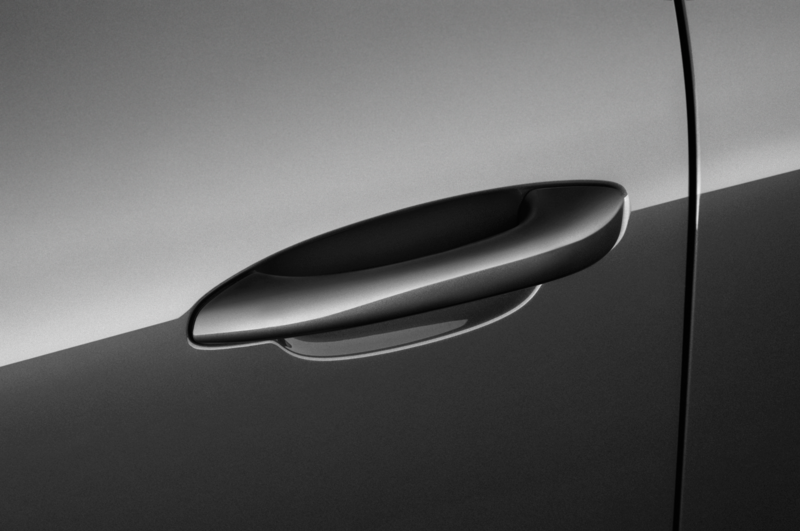 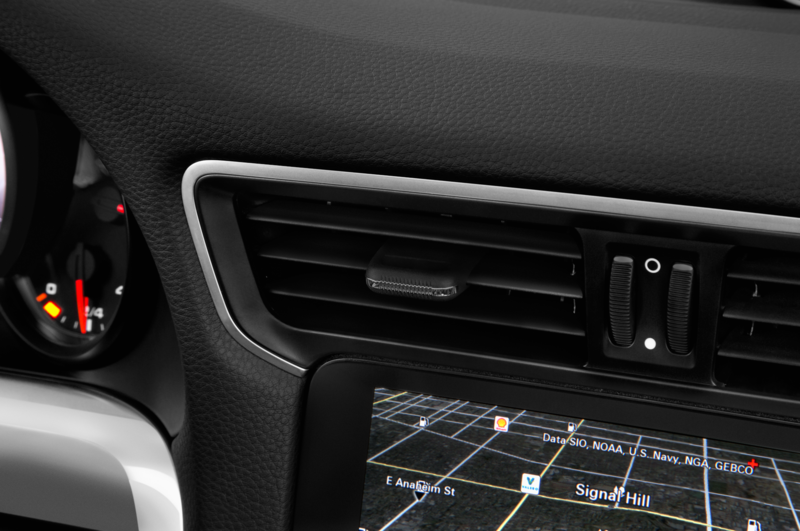 One especially cool feature: Place your phone in the central storage bin under the armrest, and its signal will be boosted by an antenna in the front bumper. 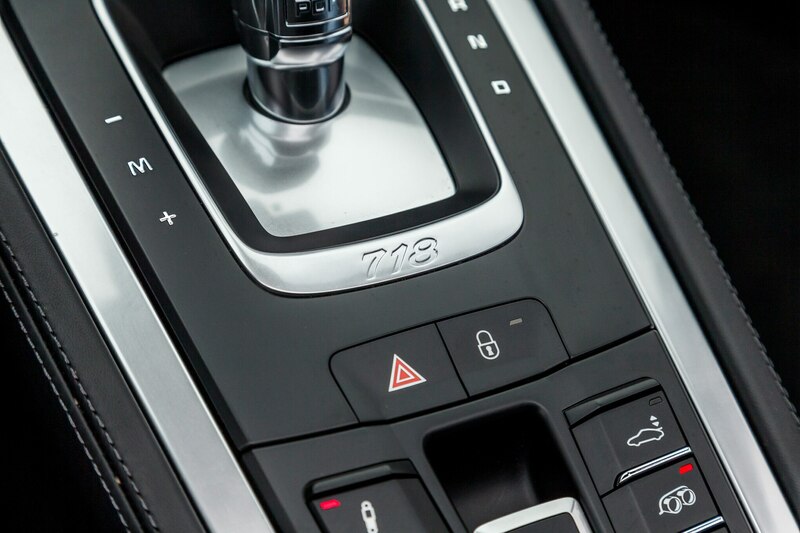 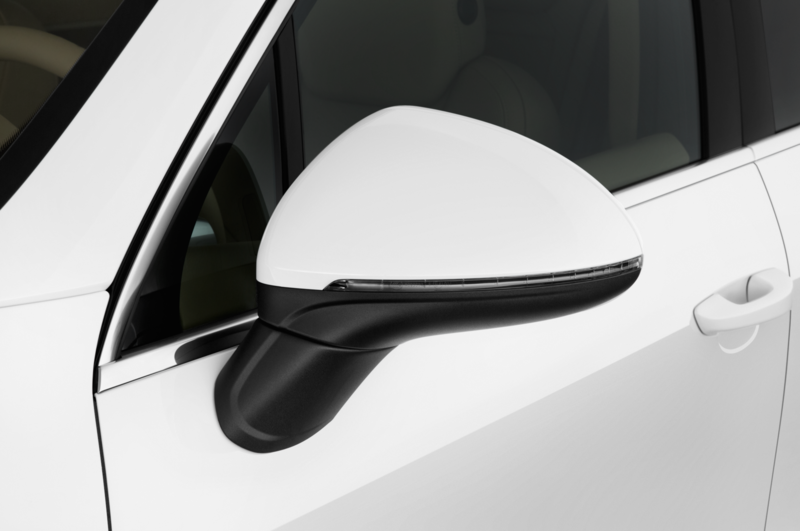 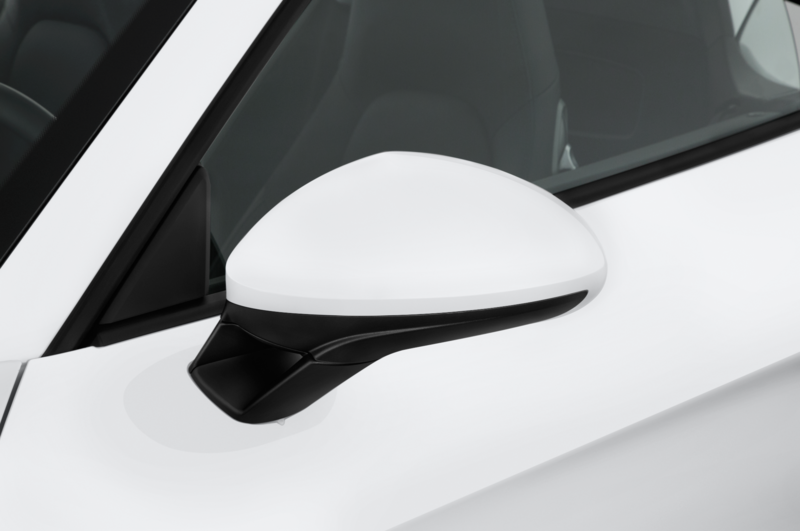 Safety updates include blind-spot monitoring, post-collision braking (which, after an airbag deployment, will automatically continue braking at up to 0.6 g until the vehicle has slowed to a safe speed), and optional Lane Change Assist. 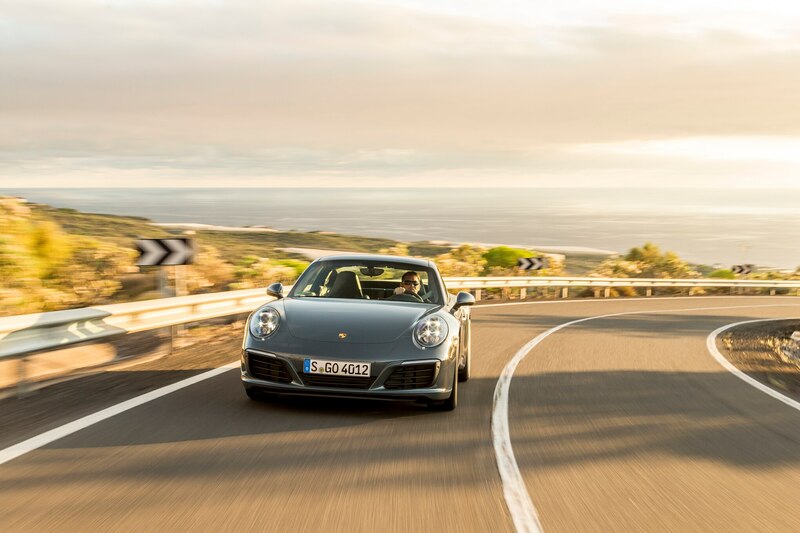 I wasn’t sure what to expect from Tenerife roads, but shortly after arriving I was thrilled to discover that in fact the island is loaded with fantastic, twisting mountain roads (including a stretch closed-down by Porsche, allowing for some truly ferocious speeds). 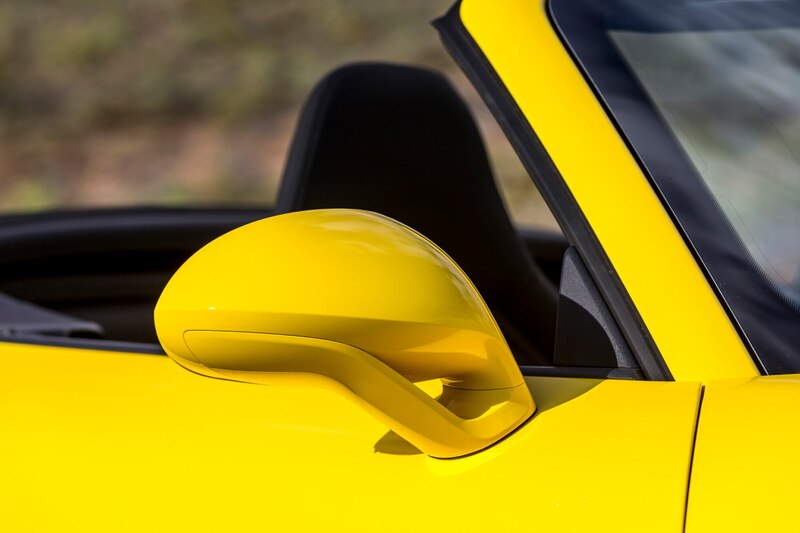 I sampled a number of different 911 models: a PDK-equipped Carrera Cabrio, a base-model manual-shift Carrera coupe, and a loaded Carrera S with PDK. 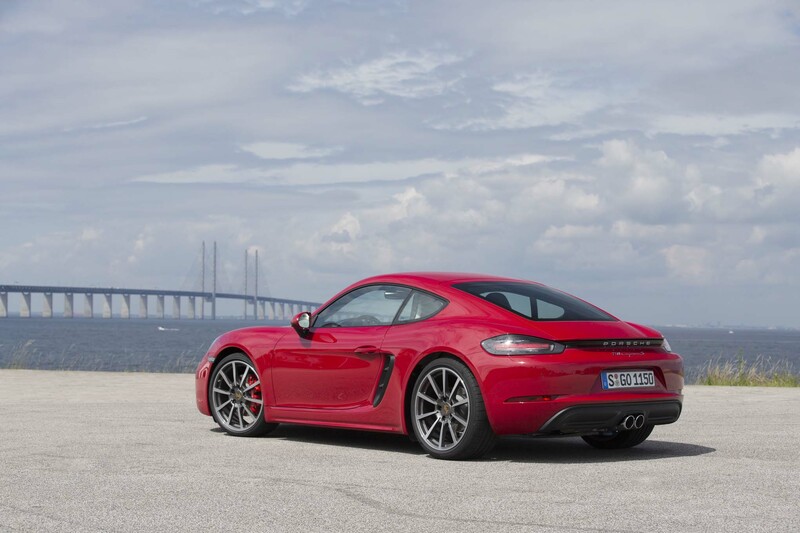 Naturally, the Carrera S provided the most thrilling forward thrust (aided by a fantastic launch-control system), but for me the highlight was the base Carrera coupe. 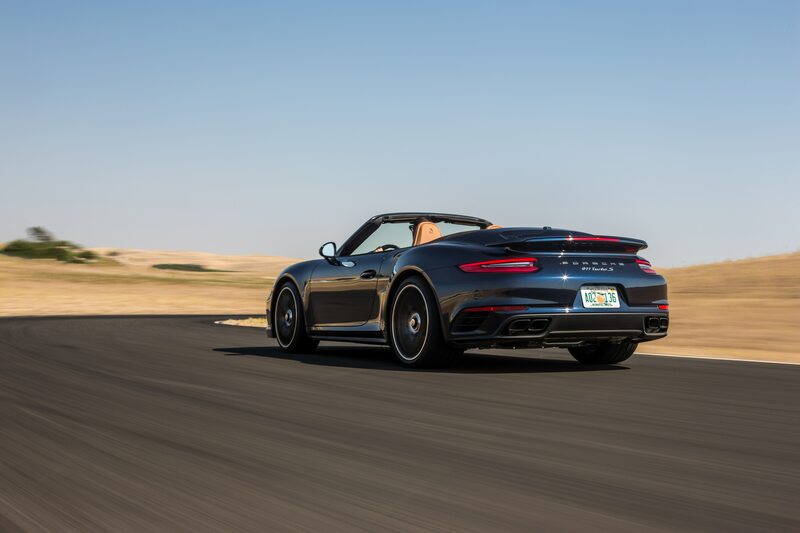 It may lack the bragging rights of its more potent sibling, but as a real-world sporting machine for setting your senses afire, it lacks nothing. 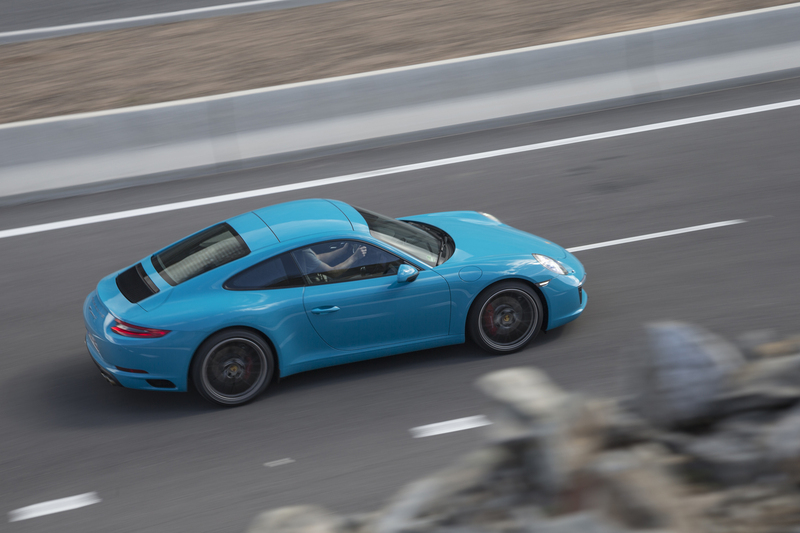 As previously noted, you can hear the twin turbos whistling behind you while they work, but – happily — they don’t significantly mute that famous 911 rev roar. 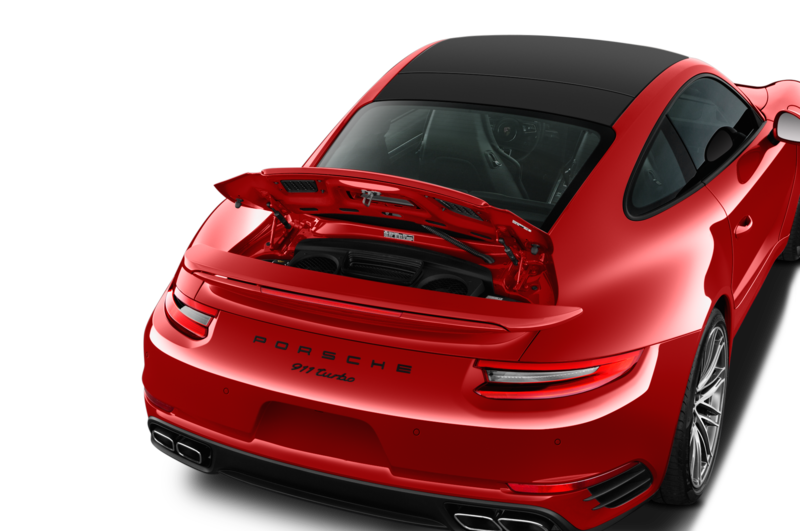 Indeed, the new turbo engines almost sound naturally aspirated; there’s little to none of that pressure-whoosh you’ll hear in the Turbo. 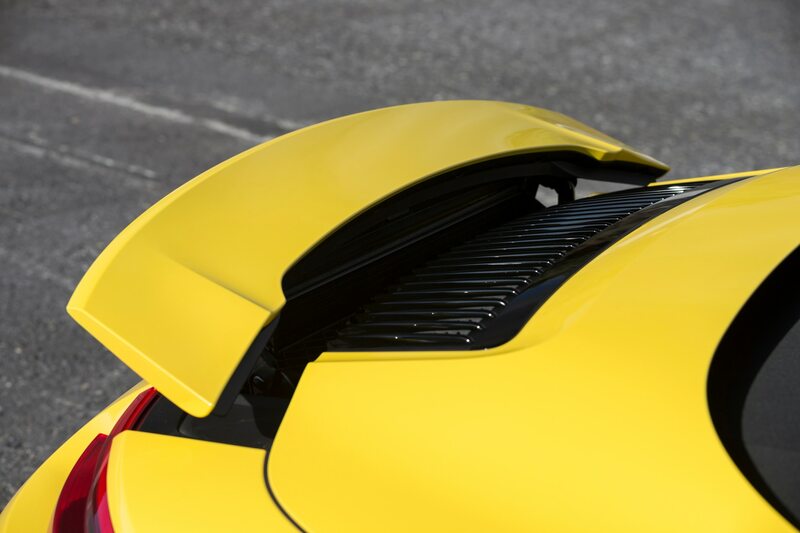 And there’s a fabulous crack and crackle from the exhaust whenever you lift off the gas. 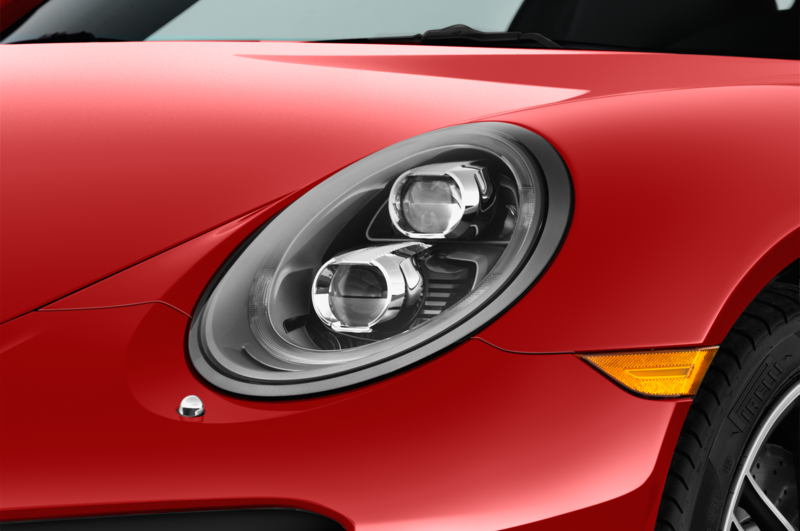 That fundamental Carrera character remains intact. 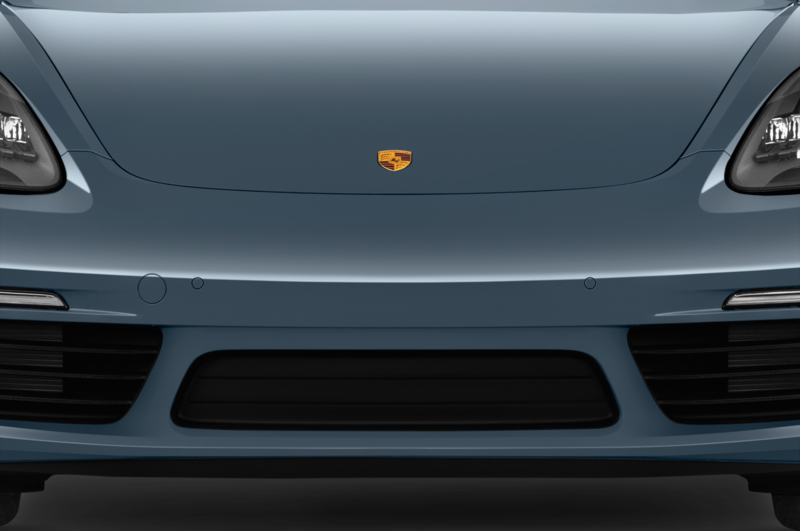 What you notice right away, though, is the newfound abundance of low-end grunt. 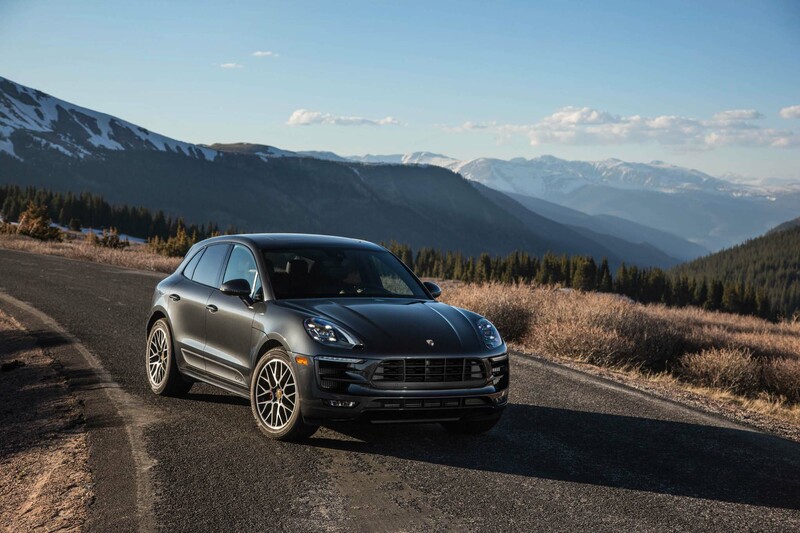 Unlike the previous naturally aspirated engines, which only reached maximum torque at 5,600 rpm, the new turbo units serve up all available pound-feet from 1,700 to 5,000 rpm. 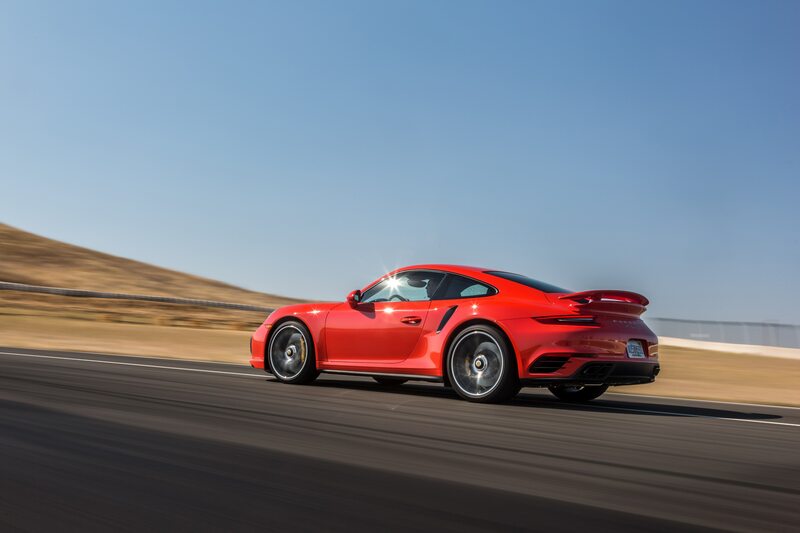 This is a massive benefit: The car shotguns out of corners, and while it’s delighted to scream all day near its redline, sizzling revs aren’t necessary to keep up a blistering pace. 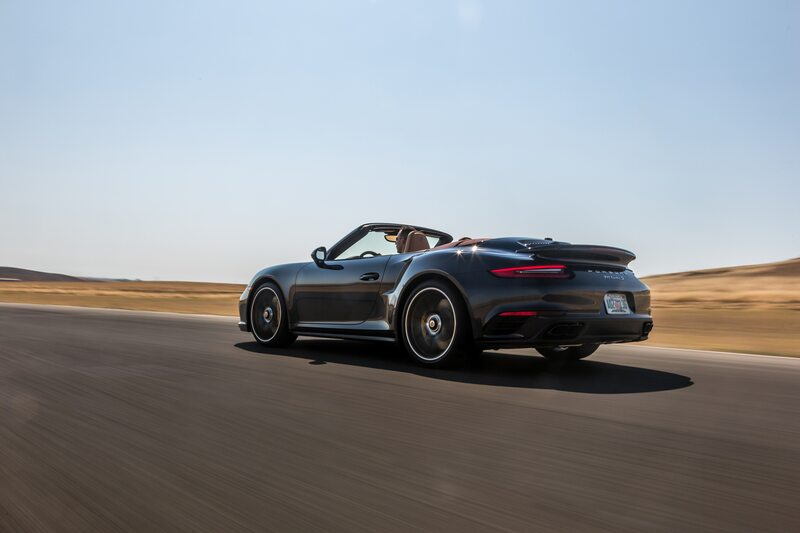 American drivers in particular (known for our love of quick stoplight getaways) are going to eat up the 911’s newfound bounty of twisting force. 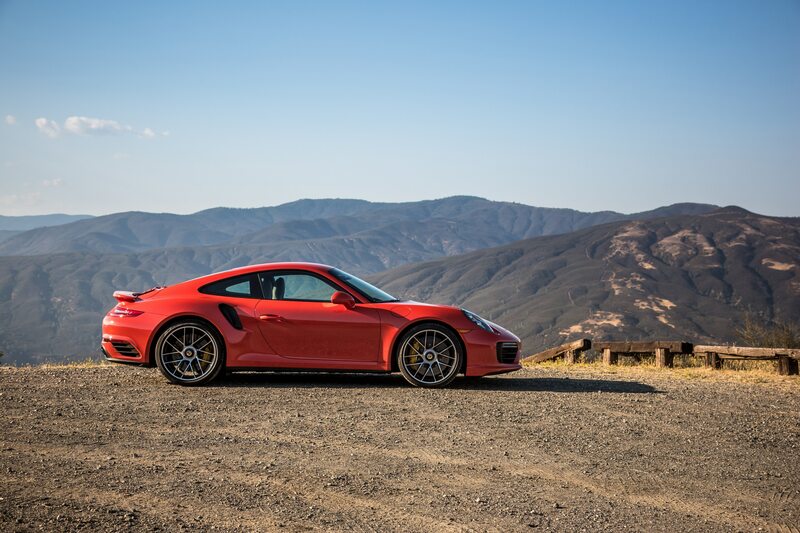 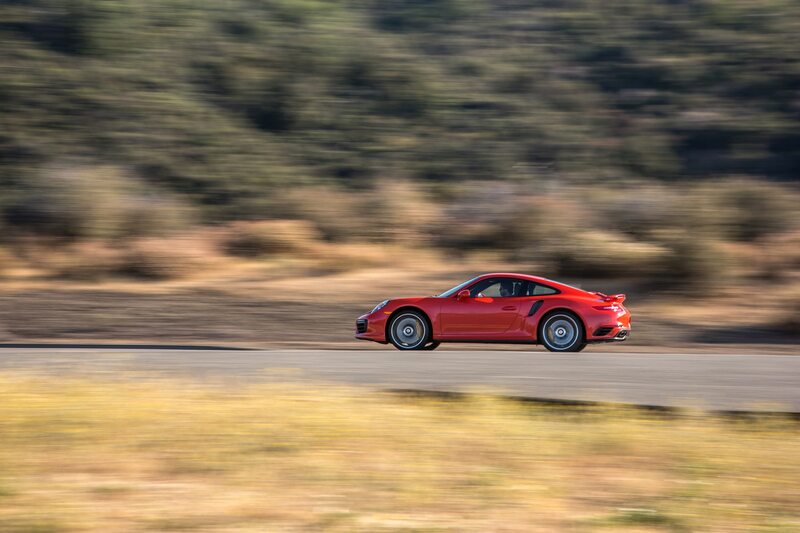 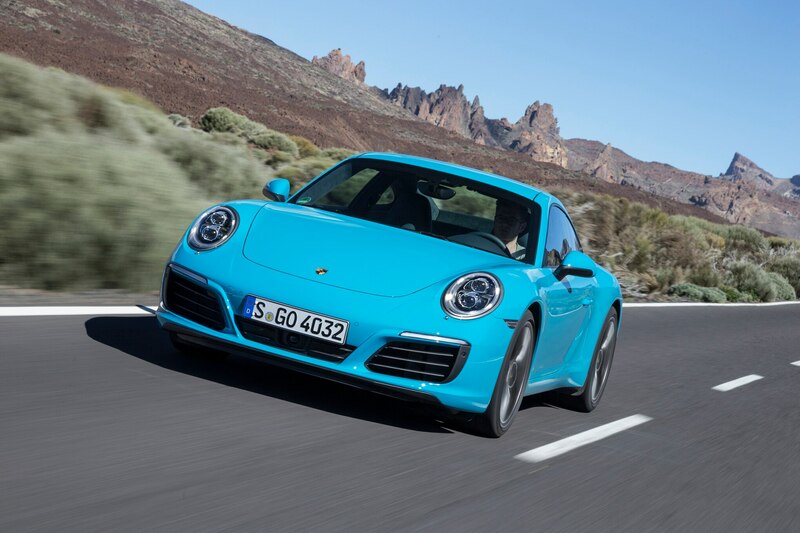 As I hammered the base coupe through the twisties in the shadow of a towering volcano, two other 911 virtues became strikingly clear: (1) the car brakes like an F-18 catching an arrestor cable, and (2) the grip will blow your mind. 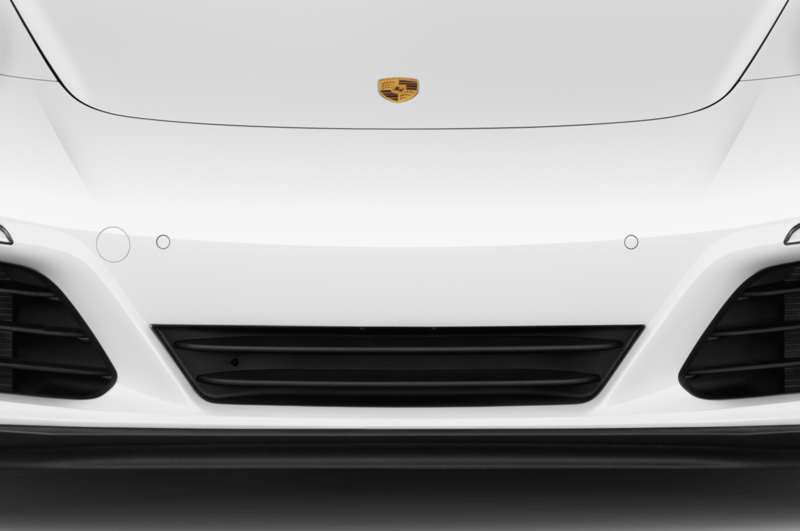 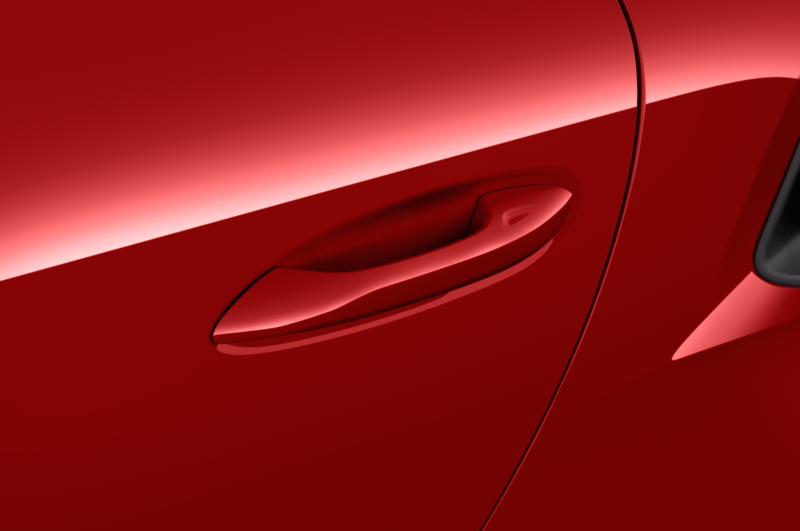 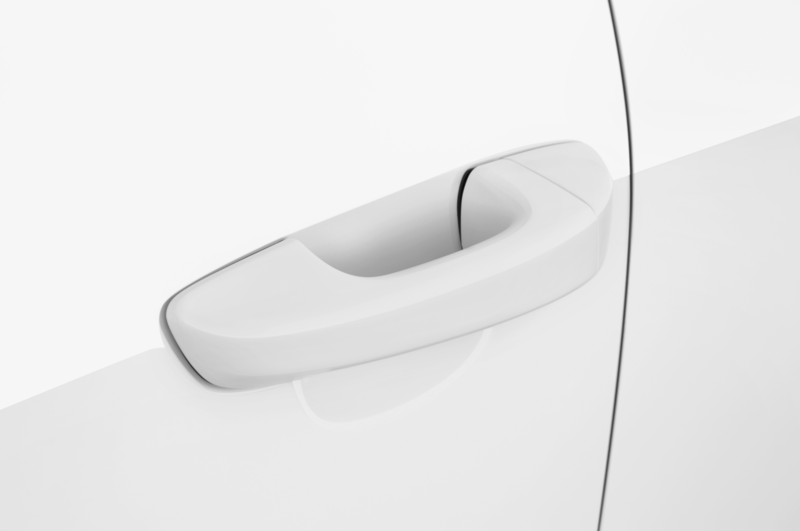 None of the cars I sampled was equipped with the optional carbon-ceramic binders, but I never missed them. 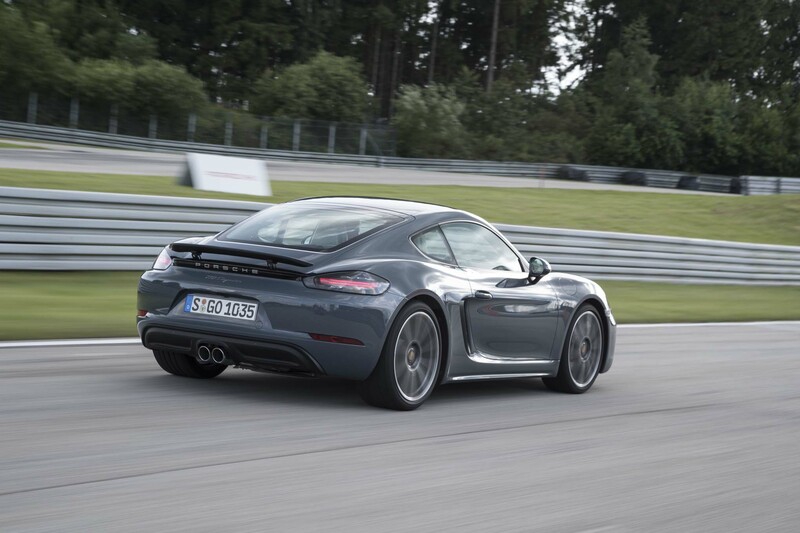 For the better part of an hour I was braking, hard, into corner after corner, and never did the brakes fade away. 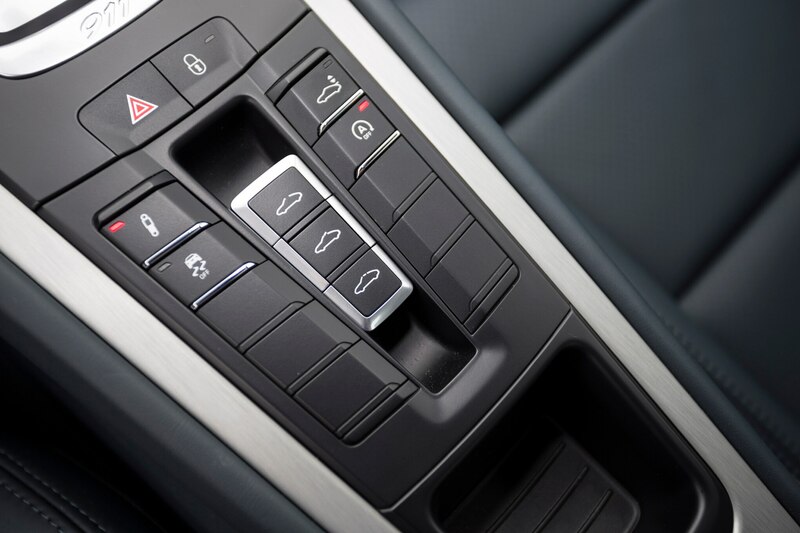 They’re smooth, powerful, and easy to modulate too. 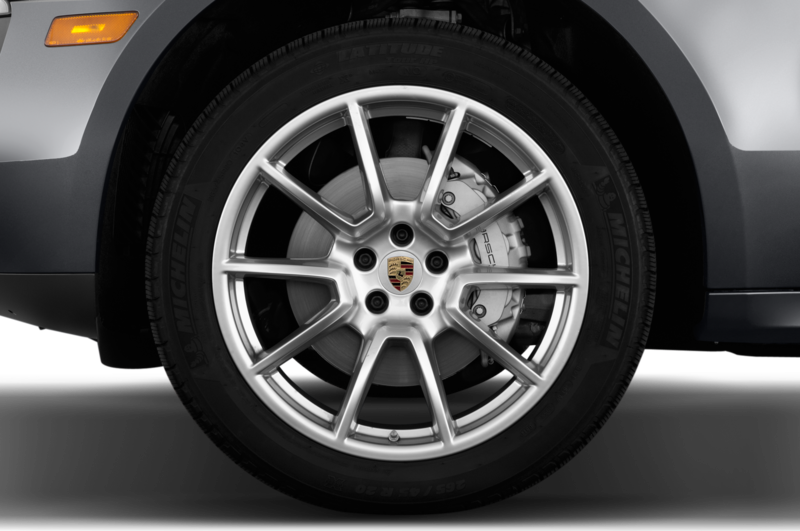 As for cornering power, the Carrera hangs on like a backstage groupie (aided in part by rear wheels widened by a half-inch). 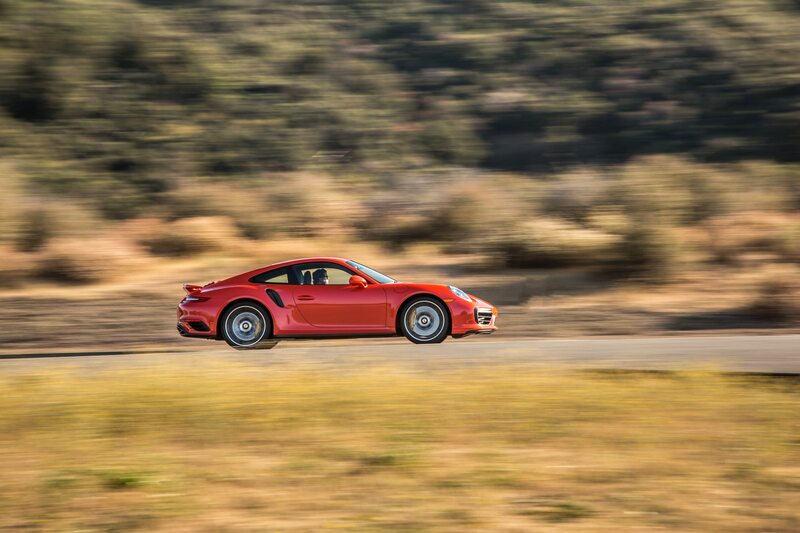 There’s little to no understeer as you turn in, and the chassis keeps right on hanging on. 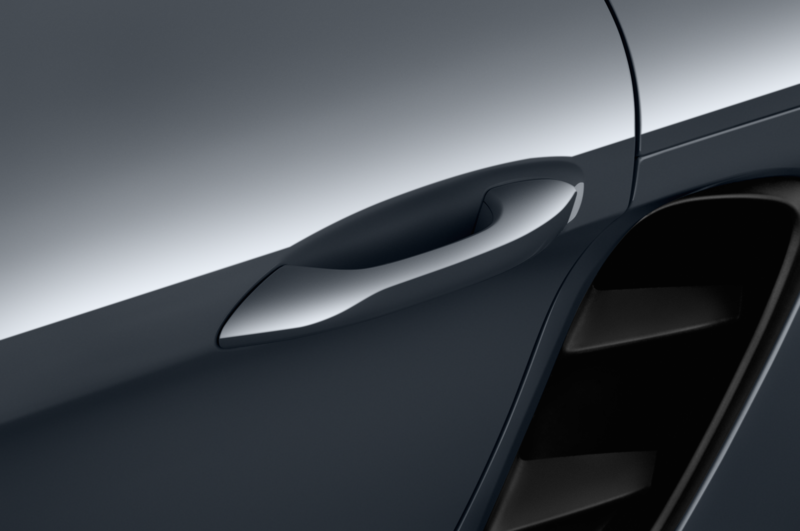 You’d need a racetrack to fully exploit this level of grip. 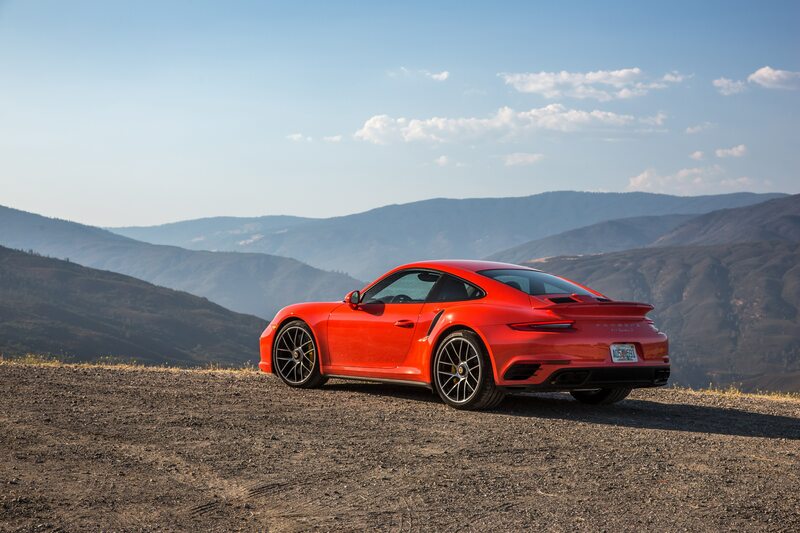 On a mountain road — even on the specially closed section Porsche set up — your courage will give out way before the chassis will. 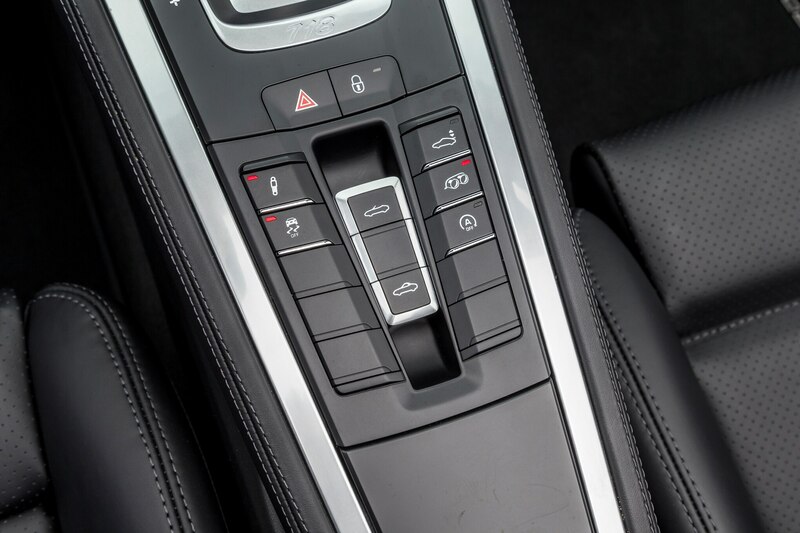 Guiding the variable-ratio, electromechanical steering through the turns, I found myself wishing for a tad more “road Braille,” but the system is vastly improved over the previous incarnation. Cornering forces build up nicely in your hands, and weighting feels just about right, if slightly on the light side. 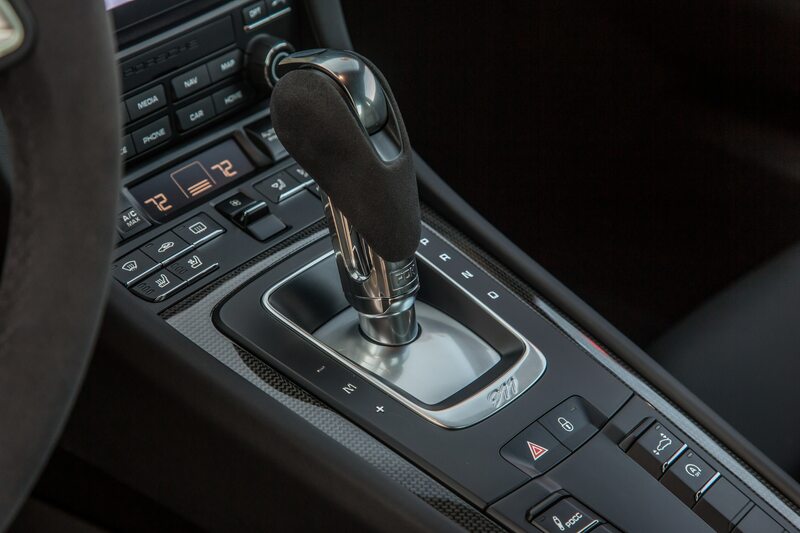 And while the PDK transmission is nothing short of brilliant (leave it in Sport Plus mode, and it will automatically upshift and downshift to perfection), I flat out loved the manual. 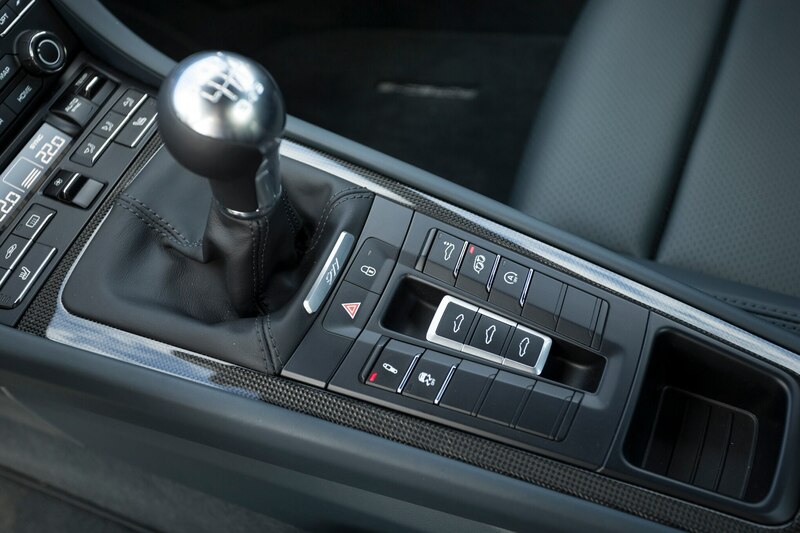 The lever is appropriately stubby, the action quick and direct. 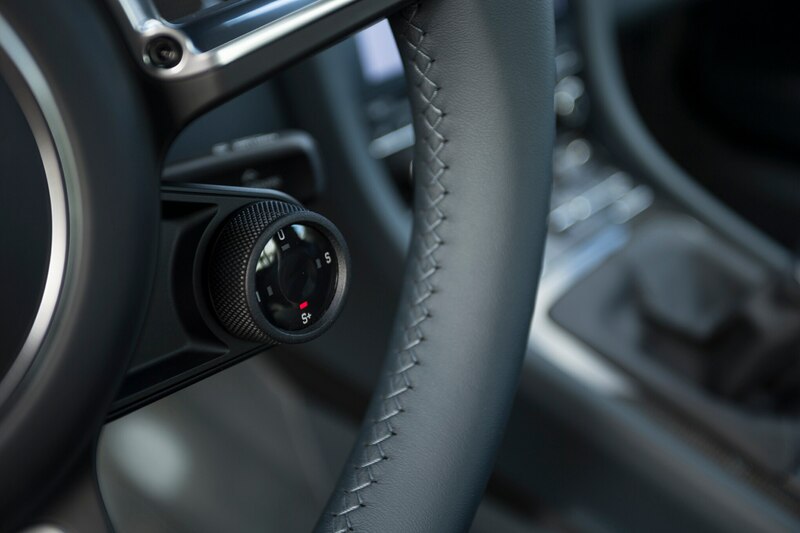 There’s rev-matching on board if you just want to slam the shifter into a lower gear, but who wouldn’t want to heel-and-toe downshift, manually blipping the throttle, in a machine with pedals so ideally spaced, with all the inputs — steering, shifter, brake, throttle — so sweet and responsive? 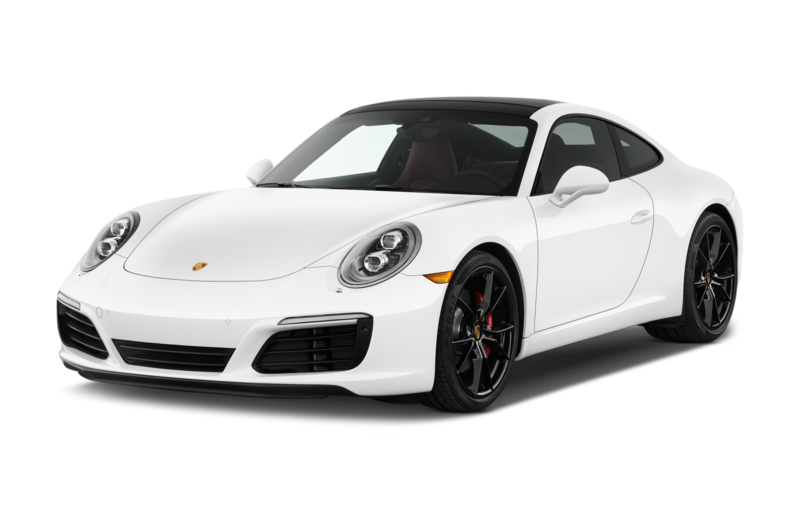 When it goes on sale in March, the new 2017 Porsche 911 Carrera will start at $90,395, which is about $5,000 more than the outgoing model. 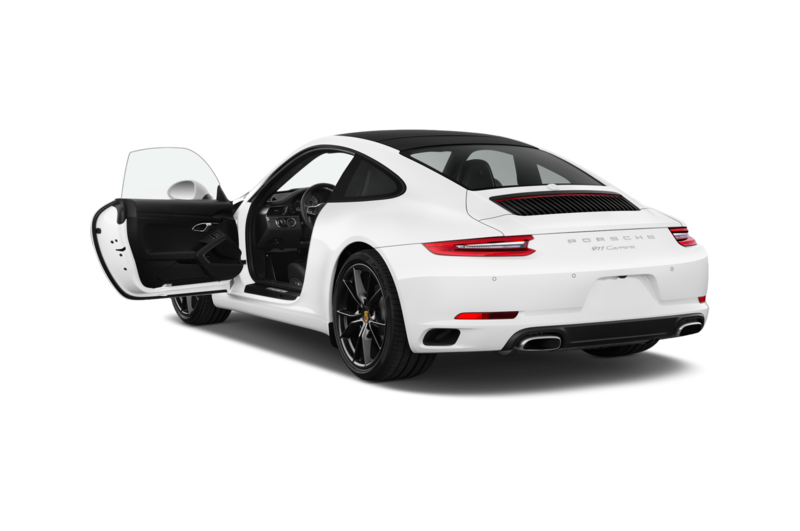 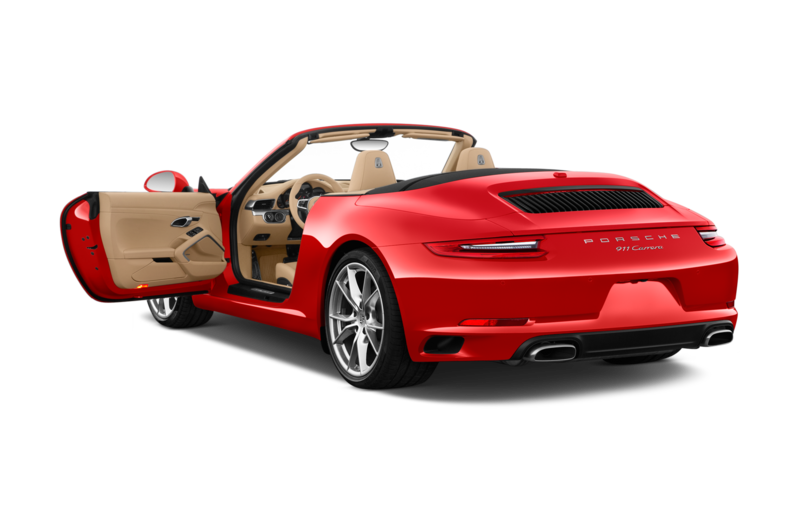 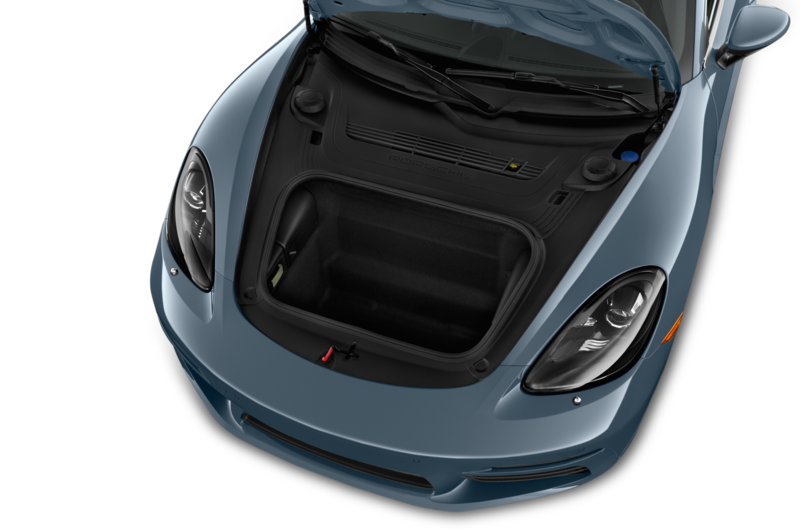 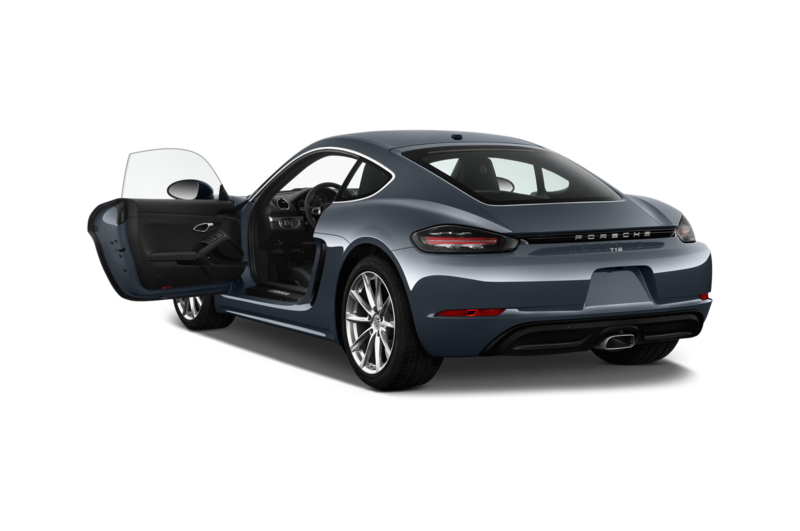 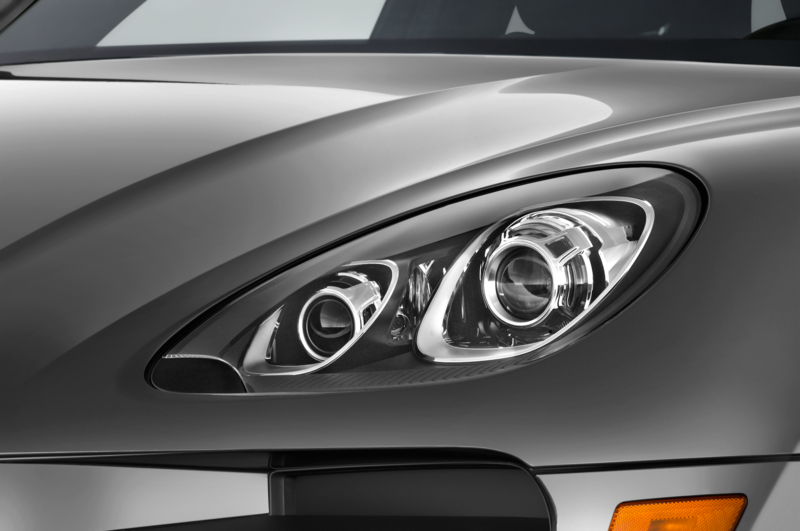 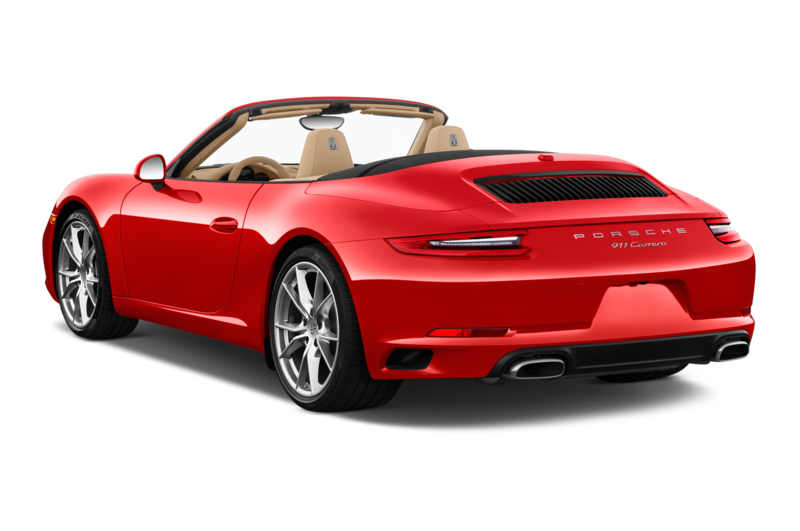 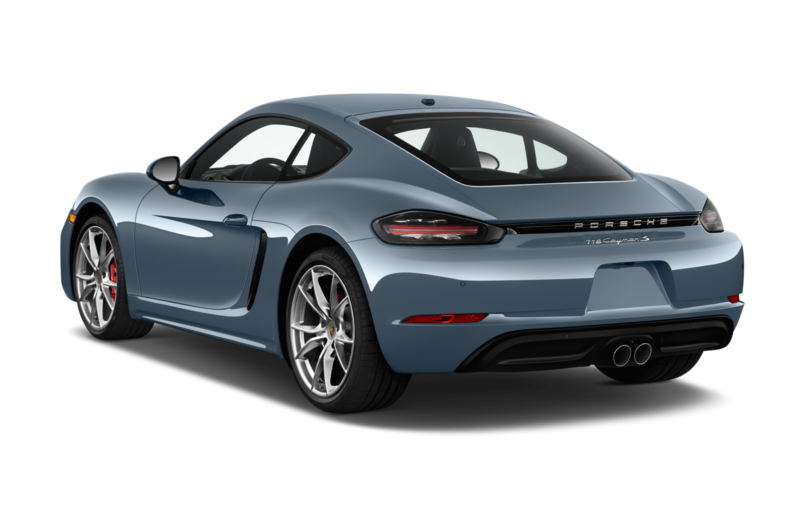 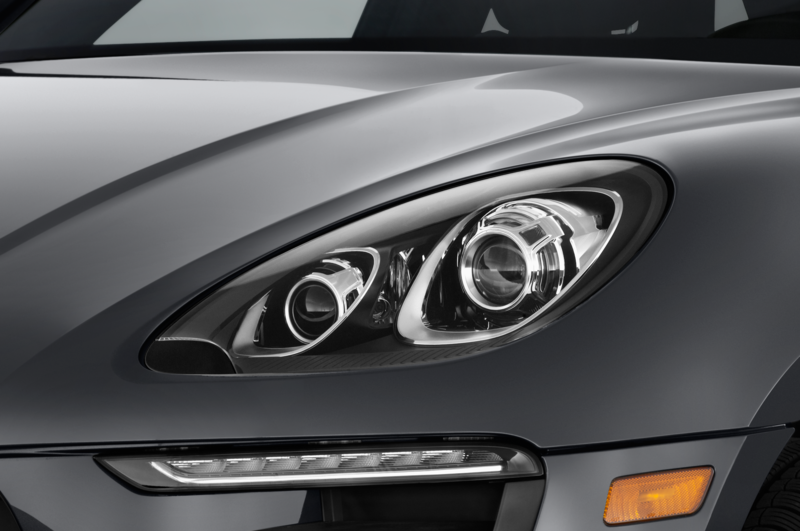 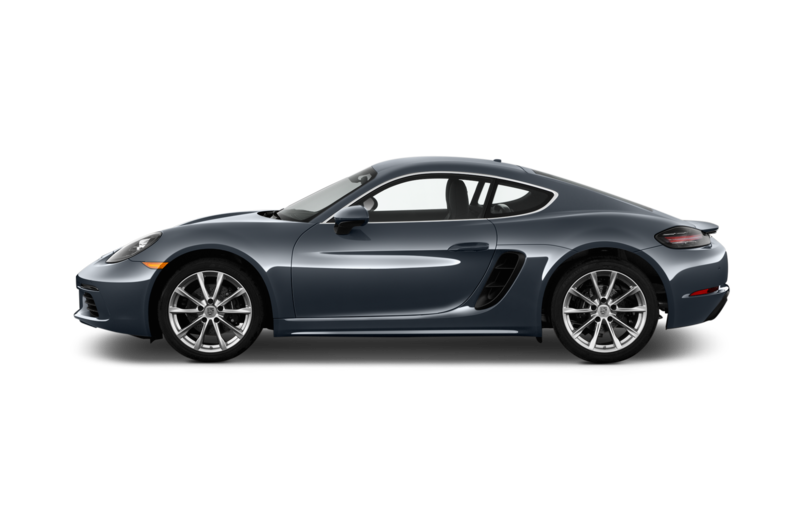 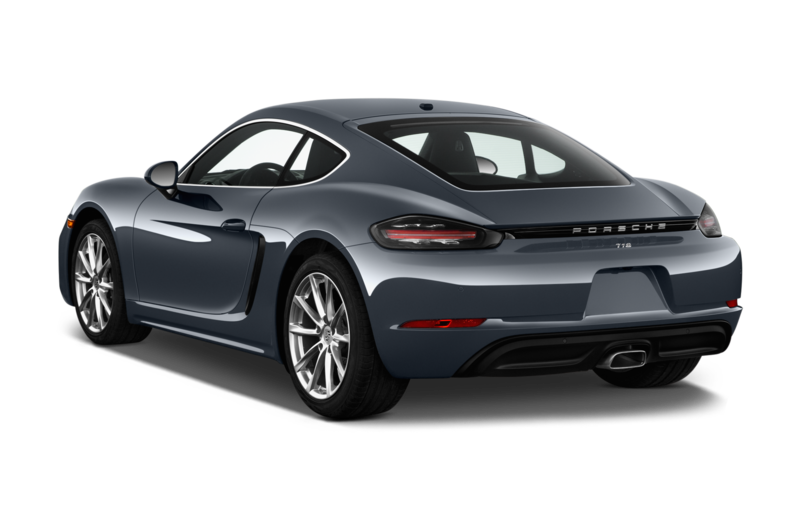 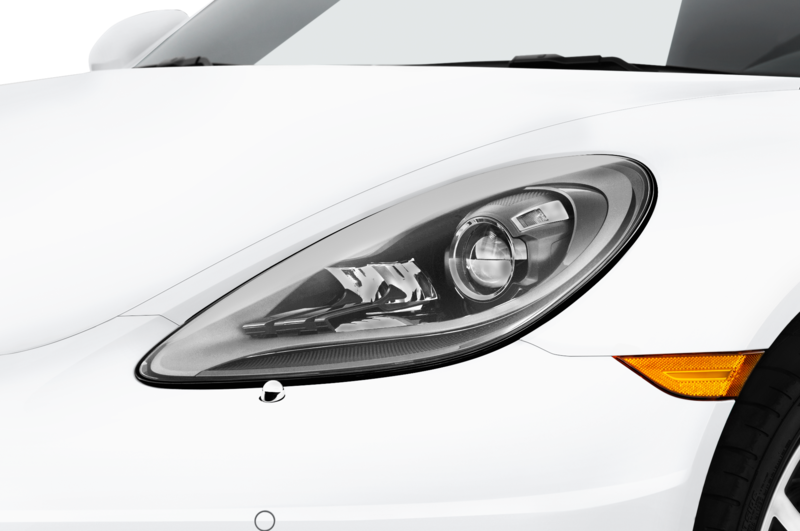 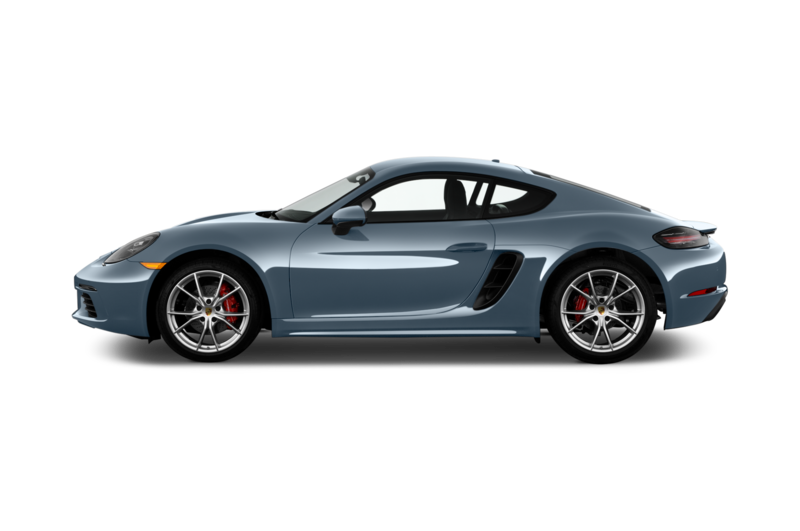 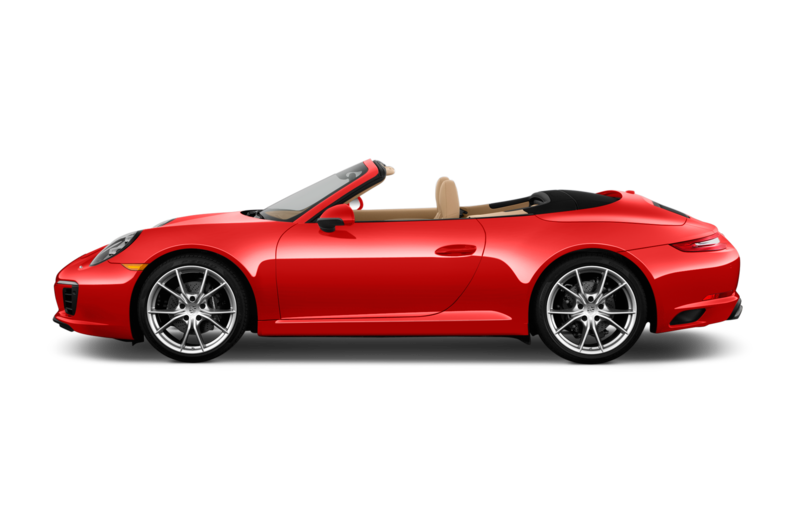 The base Carrera S will check in at $104,395. 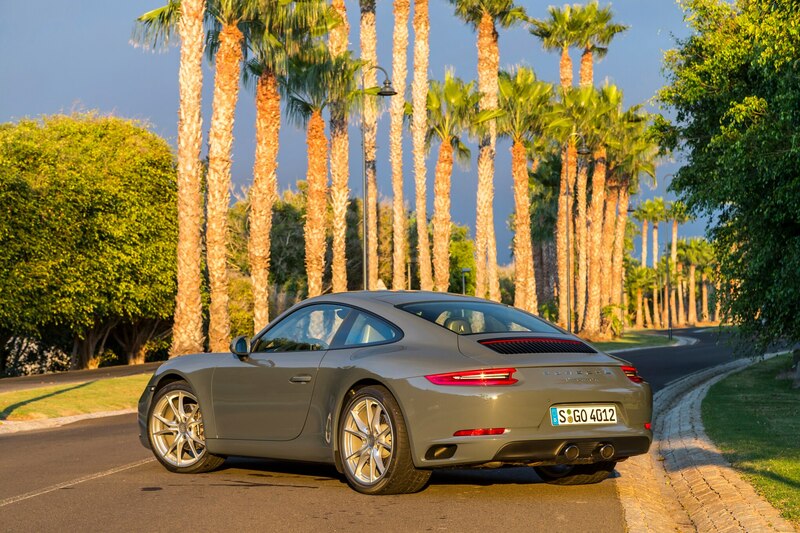 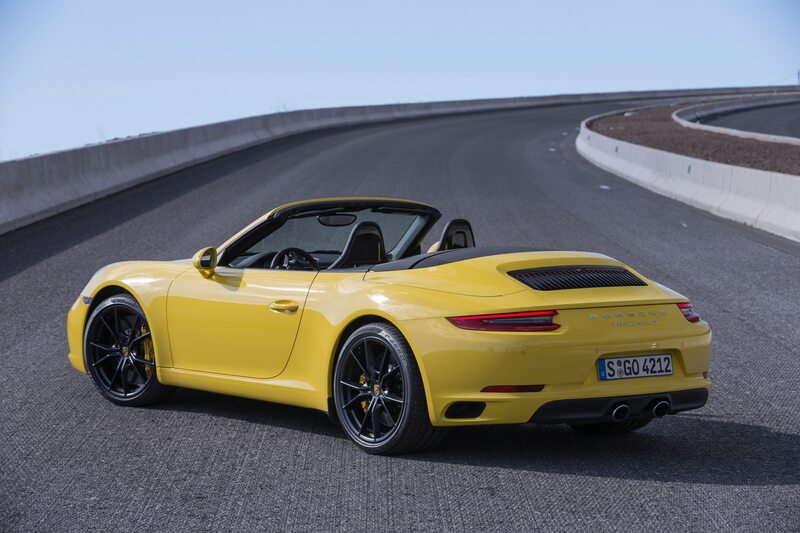 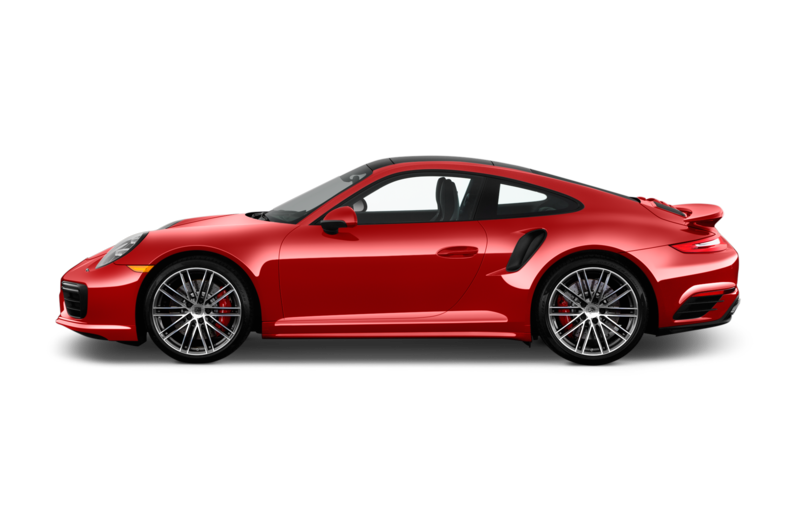 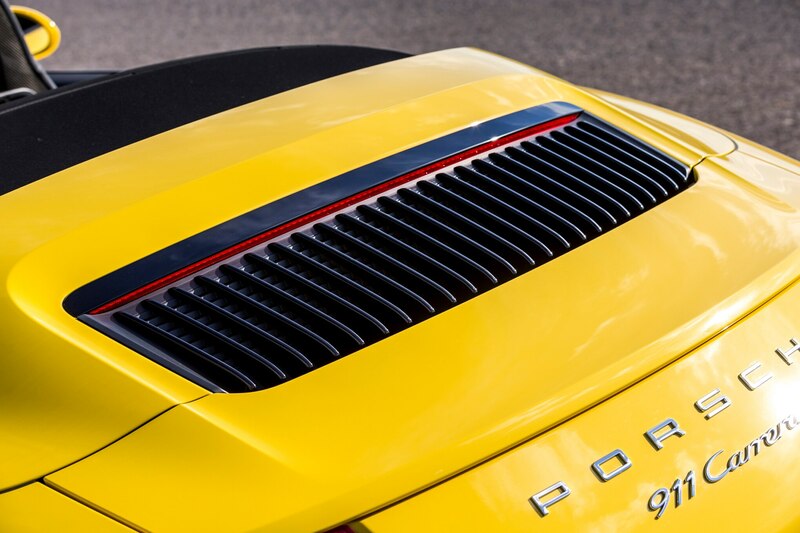 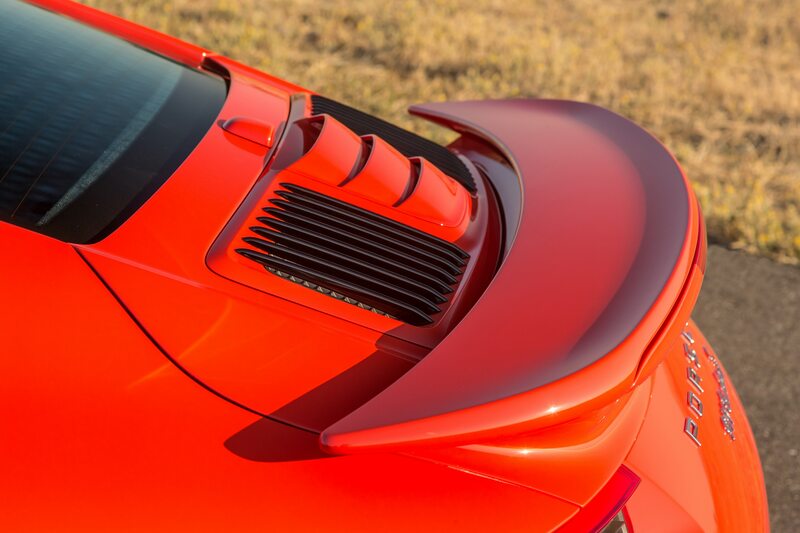 Expect long lines at Porsche dealerships; the new turbo 911s are that good, that true to the tradition. 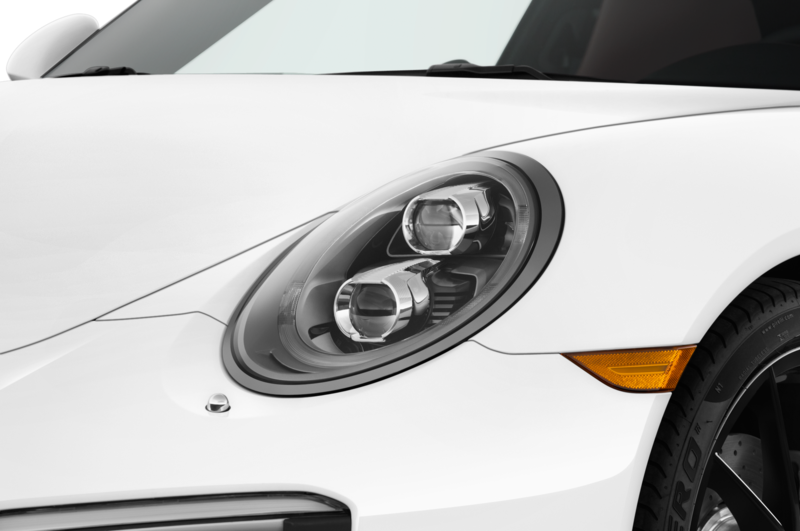 For sure, rivals are going to feel the pressure, too.